This was only supposed to be an exercise in simple details. It proceeded to manifest itself into something much, much more. 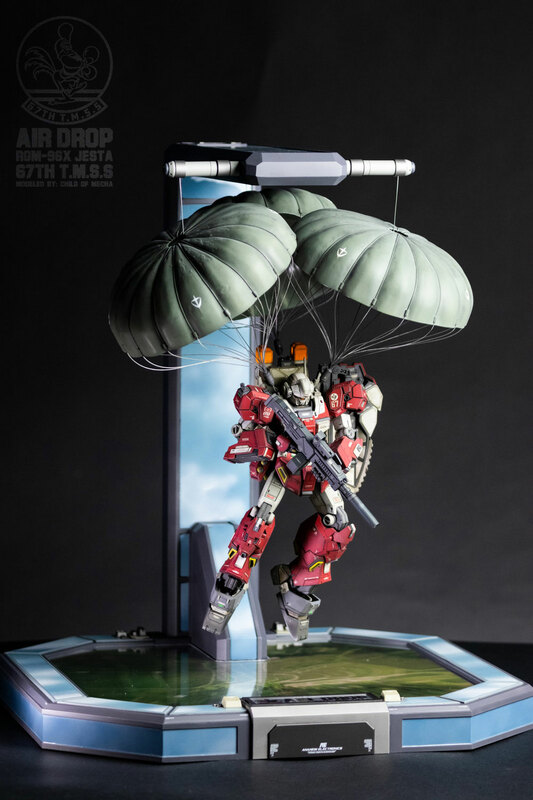 The Air Drop project started out as a “out of box” build to showcase what simple details could do to a model. 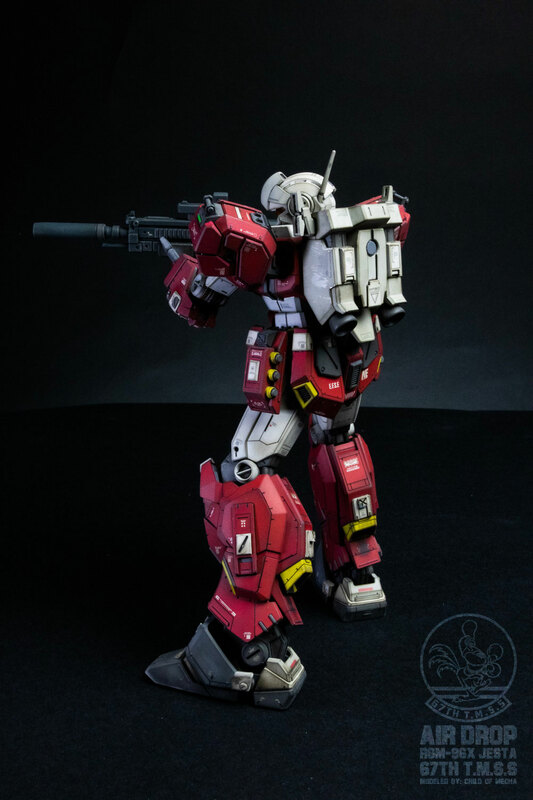 It was a break from my, then ongoing, project the GM Spartan. 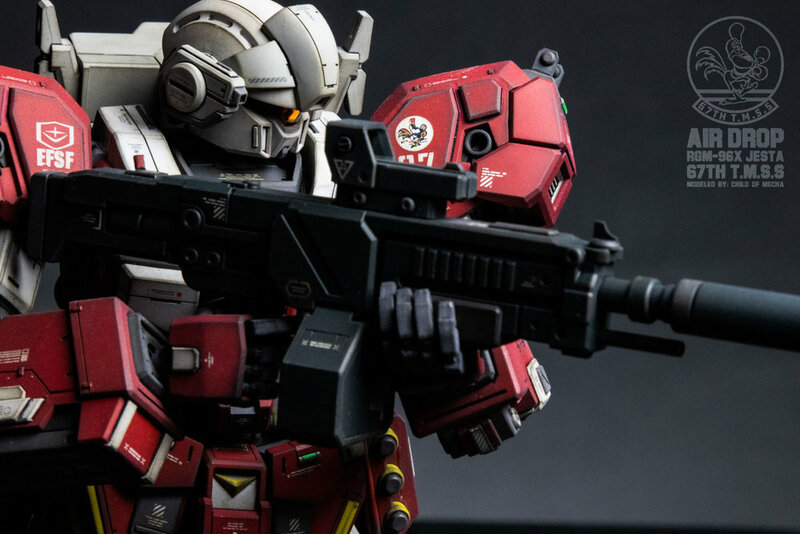 I became bored of that and switched to the Jesta and months and many LIVE streams later, this is the fruit of that labor. 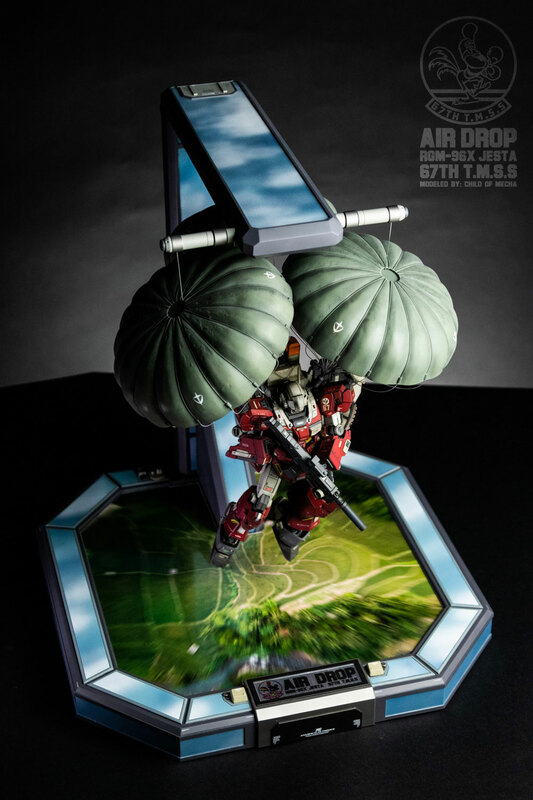 This project also became an homage to the real life 67th Tactical Fighter Wing. 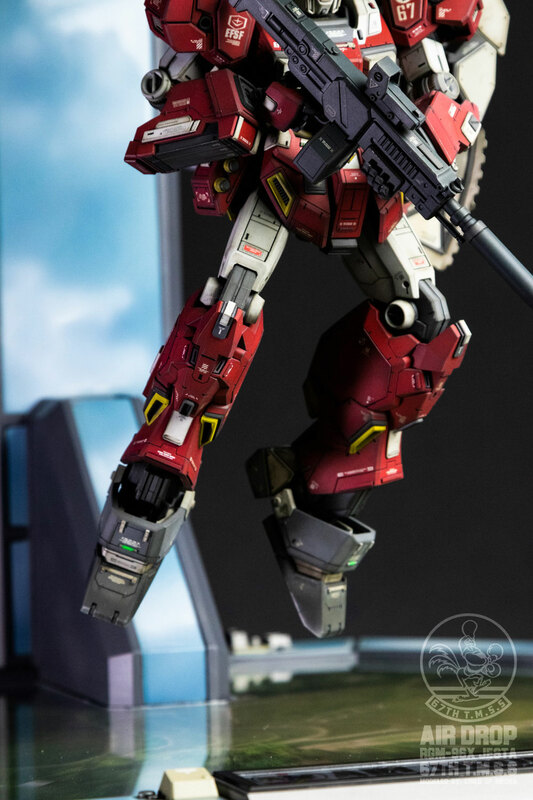 I stayed true to my word that this was an “out of box” build at it’s core. 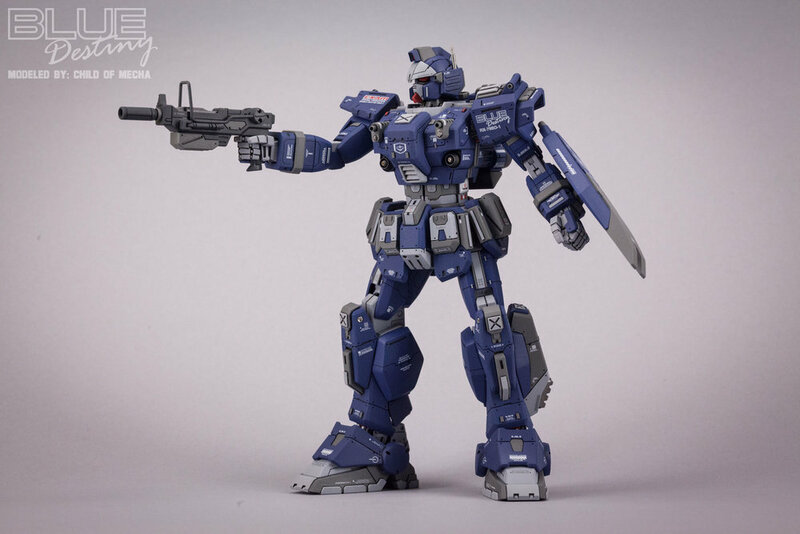 The Jesta itself is not heavily modified or altered in any way. 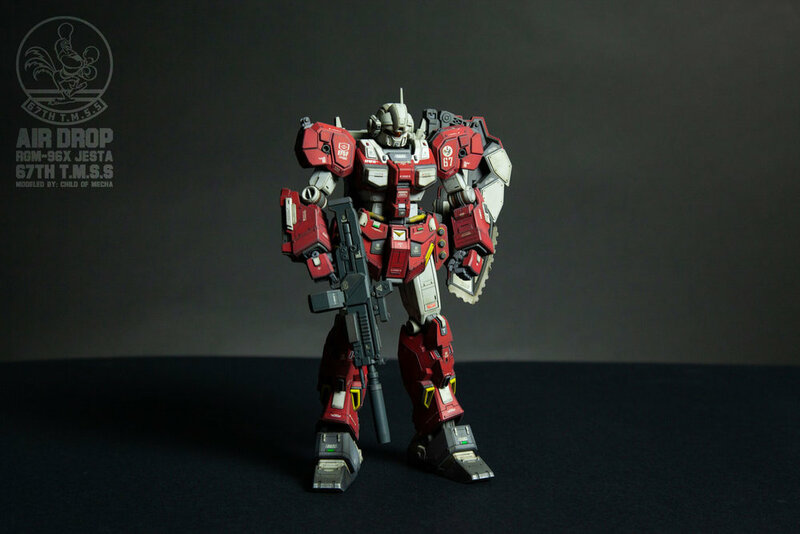 I just added simple details and plastic plating to it. The most extensive modification came in the scratch built box magazine for the rifle. 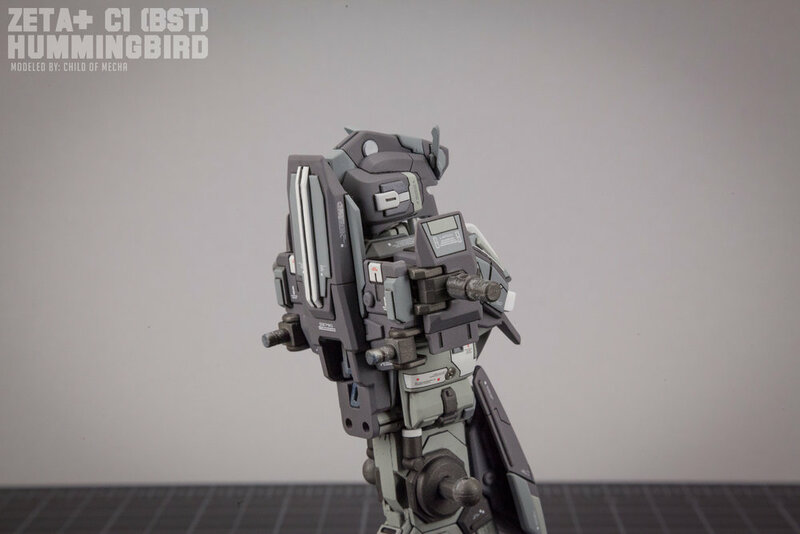 Starting with the Jesta’s head I filled in the round holes in the visor with Loctite Super Glue and sanded them smooth. 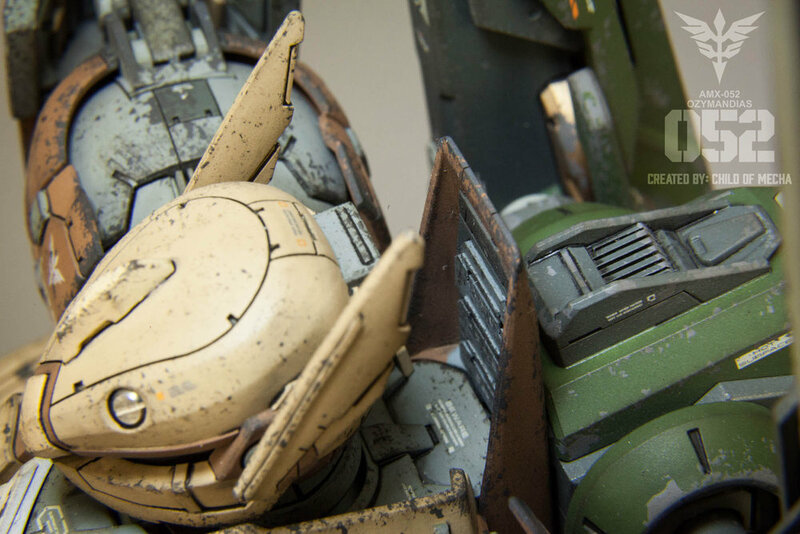 I also replaced both round details on both sides of the head with Kotobukiya minus mold parts. 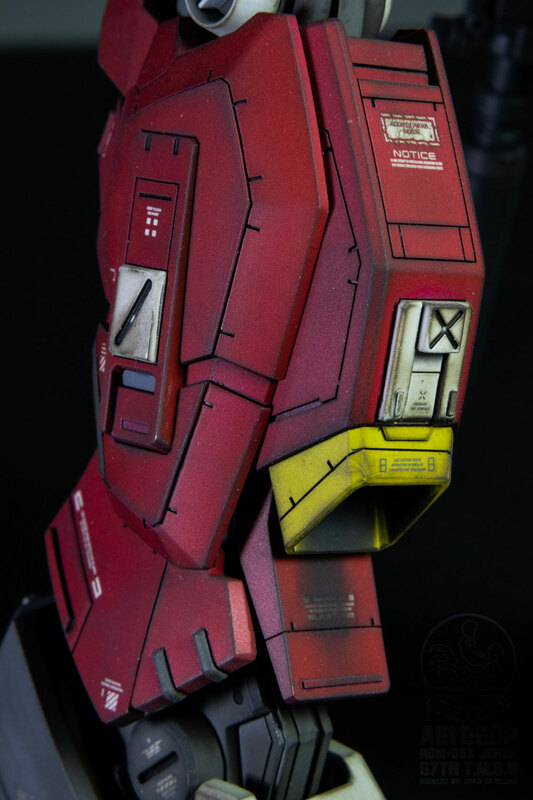 A small chin protrusion was added as well as new panel lines. 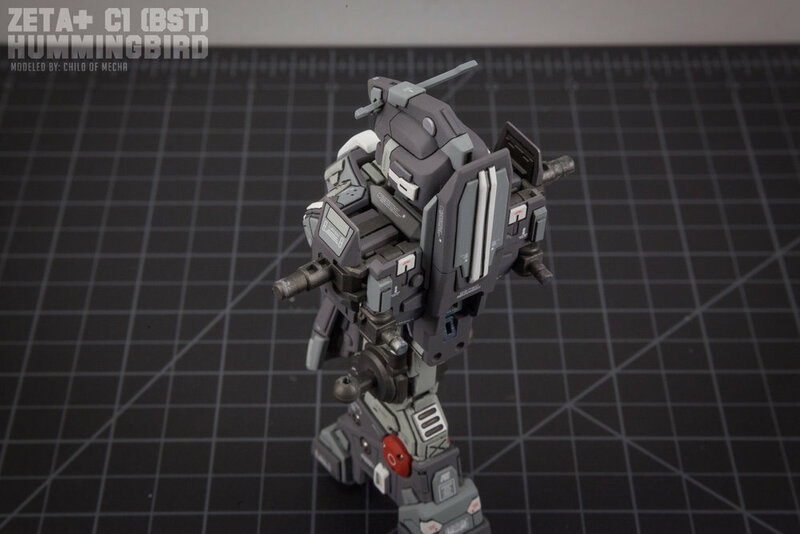 The shoulders were plated to increased the armored look and hoist bars were added to both sides. 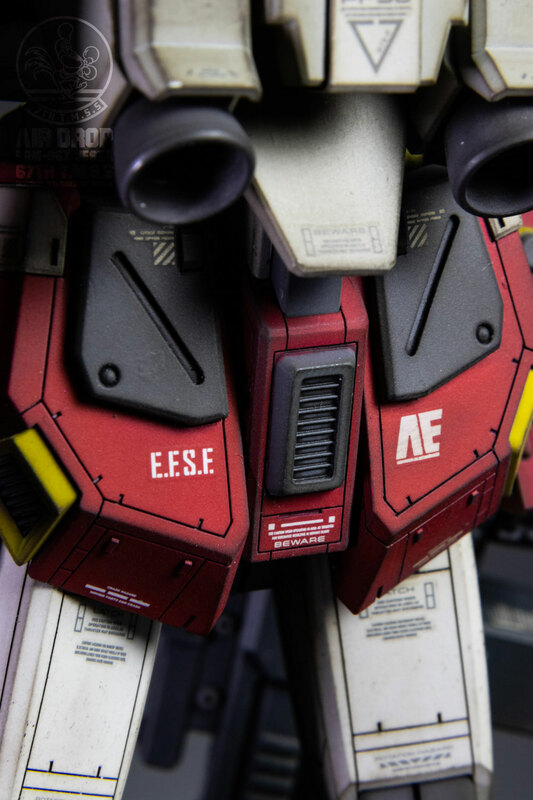 A small vent was installed to the top of both shoulders along with new panel lines. For the arms I only added additional plastic plate and new panel lines along with Kotobuikiya Diagonal Cross plates to the left arm. 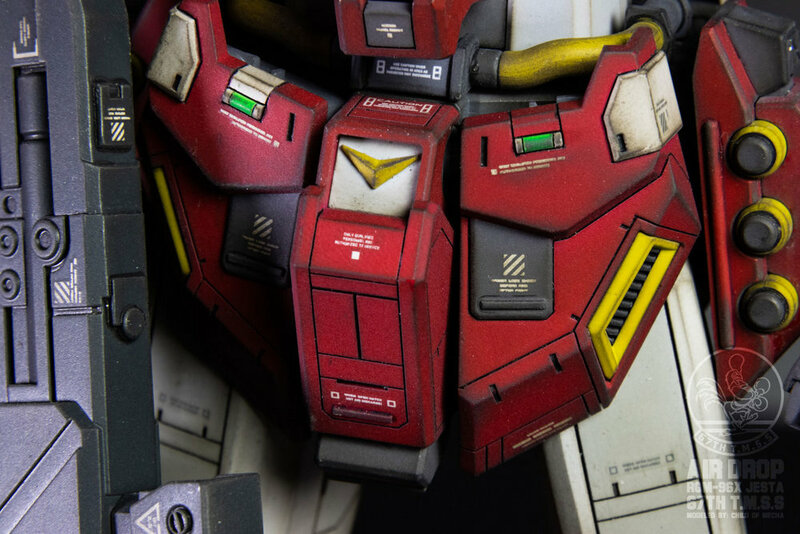 The collar has small added plates and simulated lights as well as new panel lines. 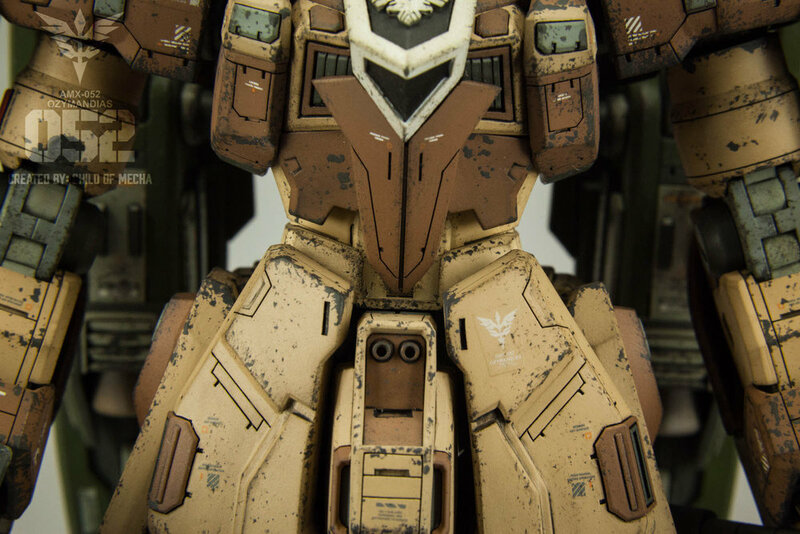 The two chest vents were filled over with plastic plate and new panel lines were added all around the upper torso. The front, back and side skirts saw similiar treatment with added plate, panel lines and notches. 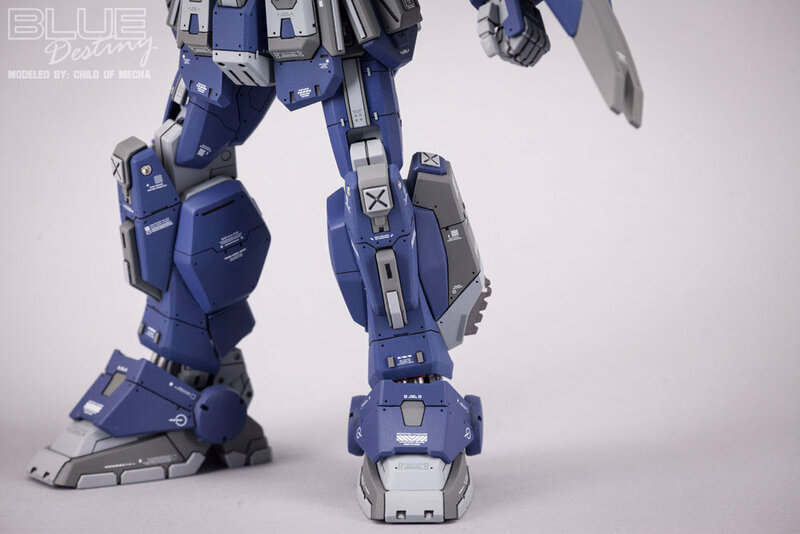 The upper legs have added plastic strips around the outside of the front to achieve a recessed look as well as new panel lines. 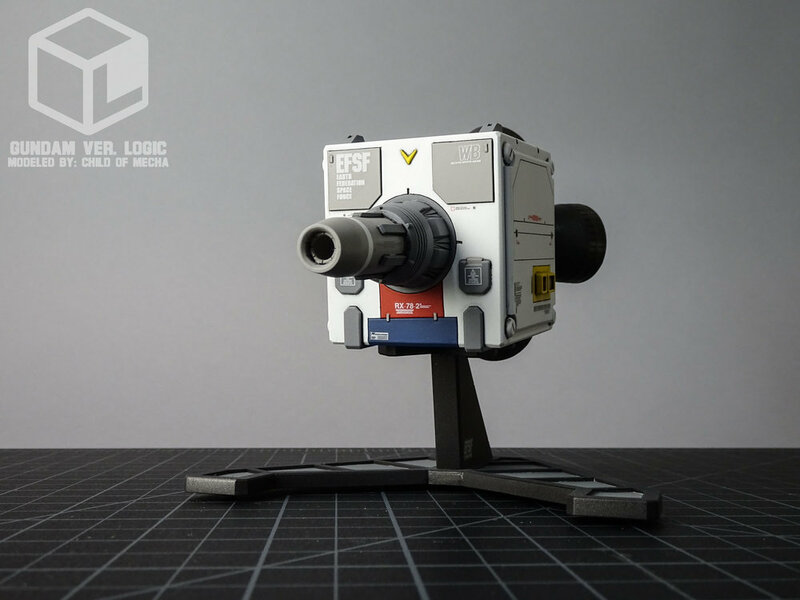 The lower legs sport minimal added plastic plating panel lines. 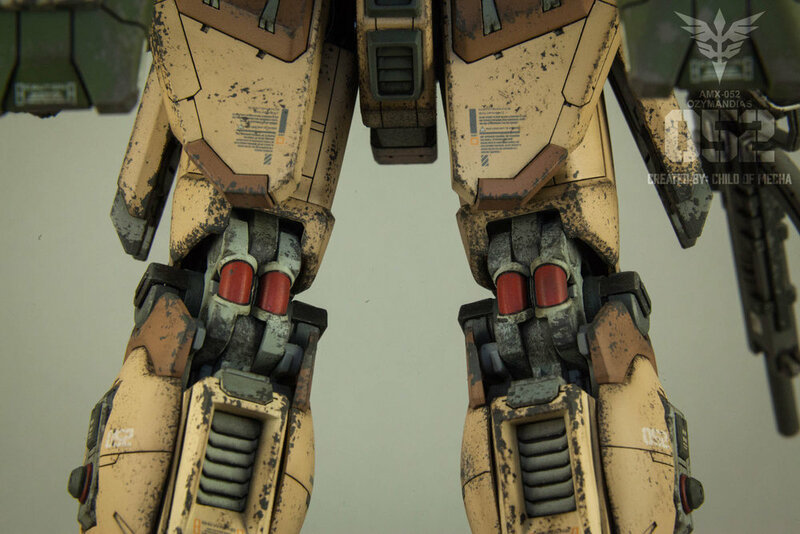 A small Kotobukiya vent was installed on the front of each leg, just below the knee and Kotobukiya Diagonal Cross plates were added to the sides. 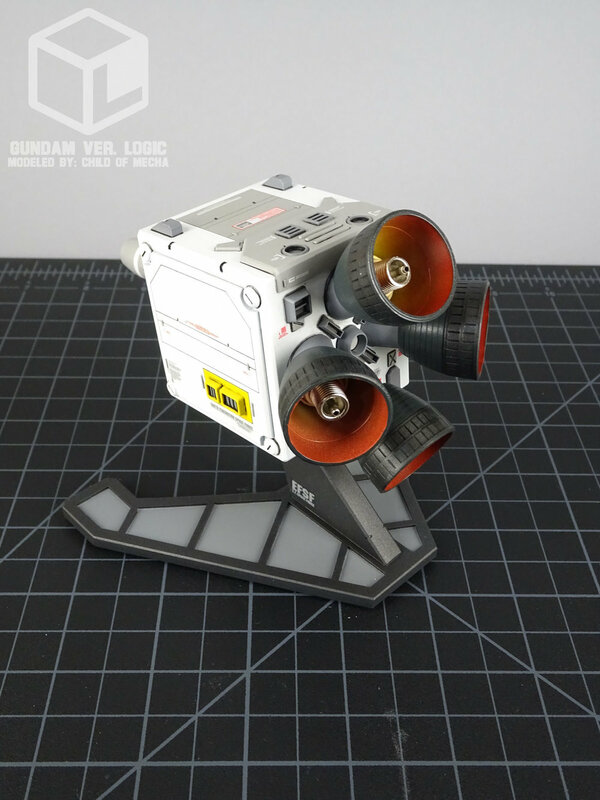 Additional plastic detail was added to the backs of the legs just above the main thruster. Small vents were also sculpted in with chisels on both sides of the knees. 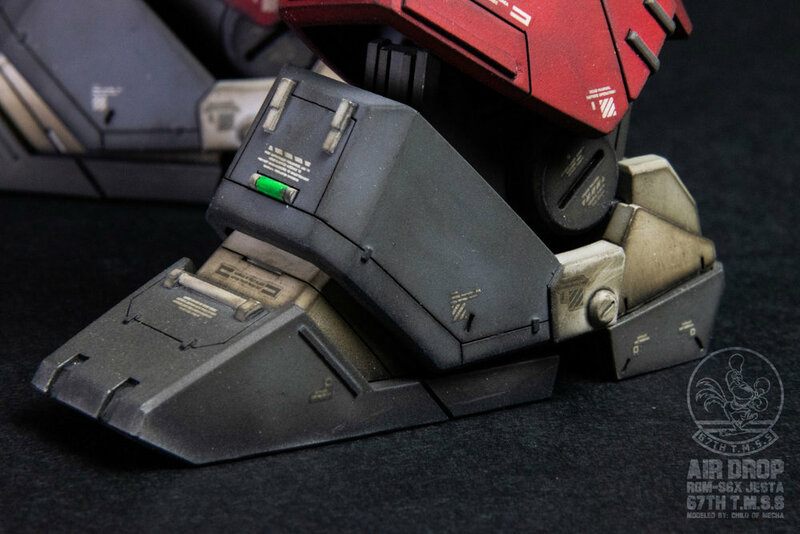 The feet have added plastic plate and details as well as new panel lines. 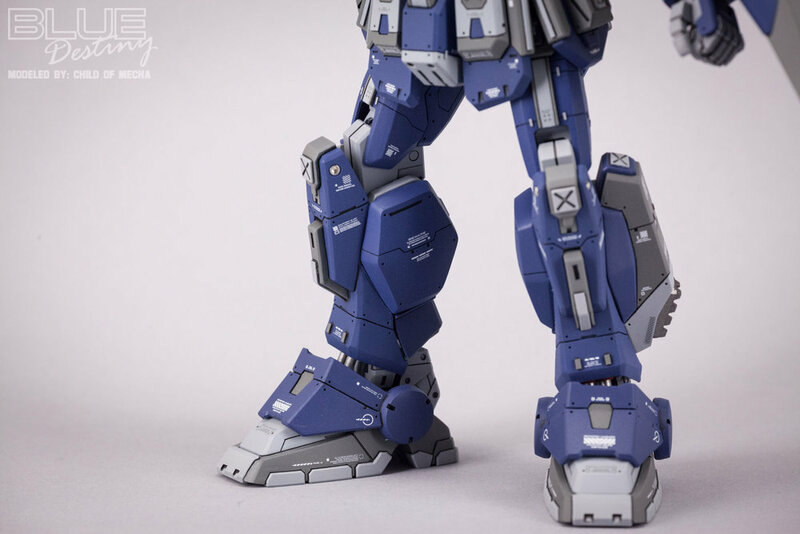 Kotobukiya Minus Molds were added to the ankles as the stock kit is very bare on the ankles. 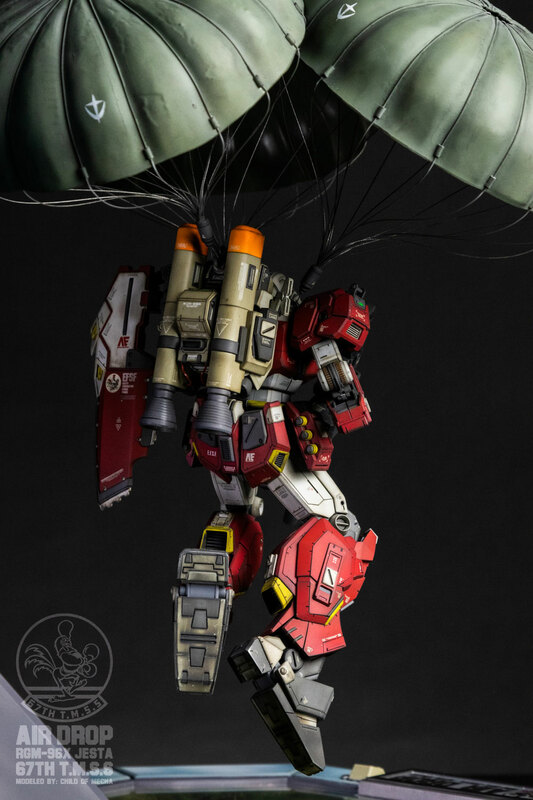 The backpack has minor plastic plating and panel lines added. 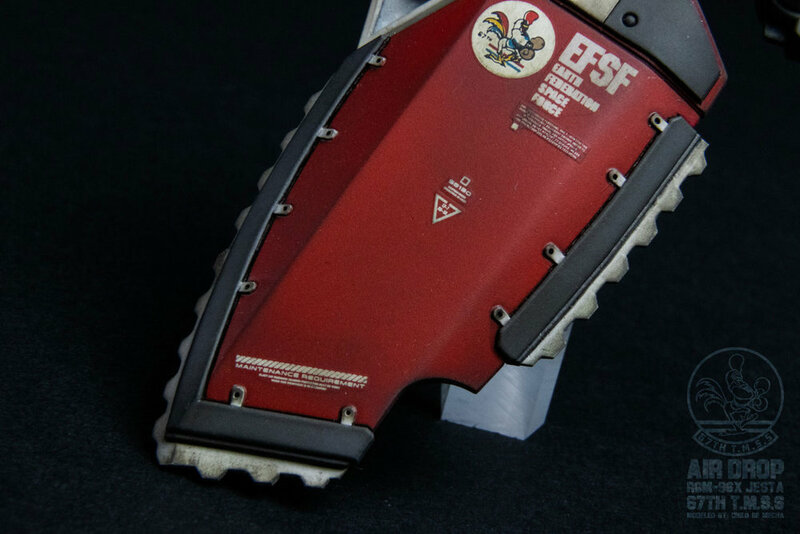 The shield has added plastic plating over a large portion of the upper part and a scratch built serated edge along the lower part of the shield. 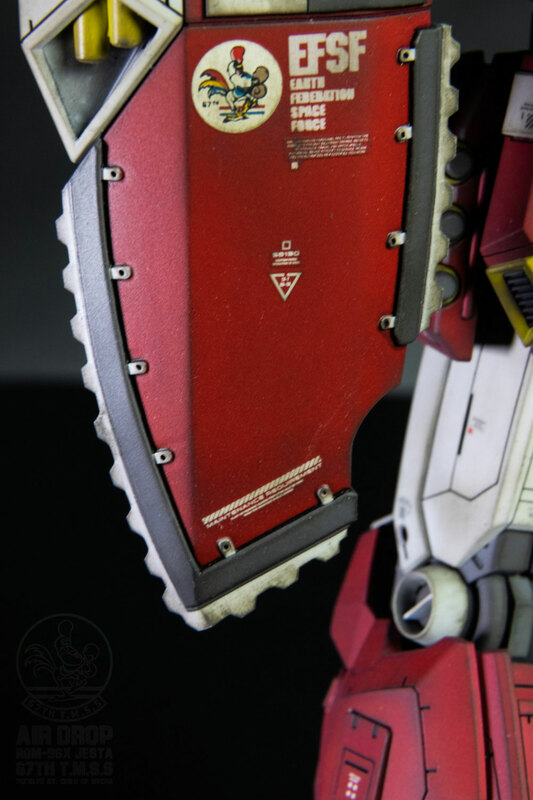 The inside of the shield has added plastic plating and minor additional panel lines. 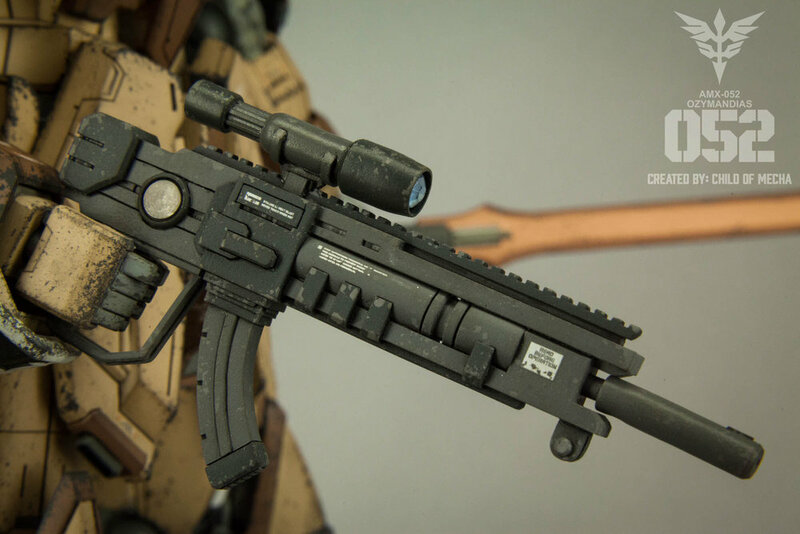 The rifle, as stated before, has the most extensive modification of the main unit, in the scratch built box magazine. 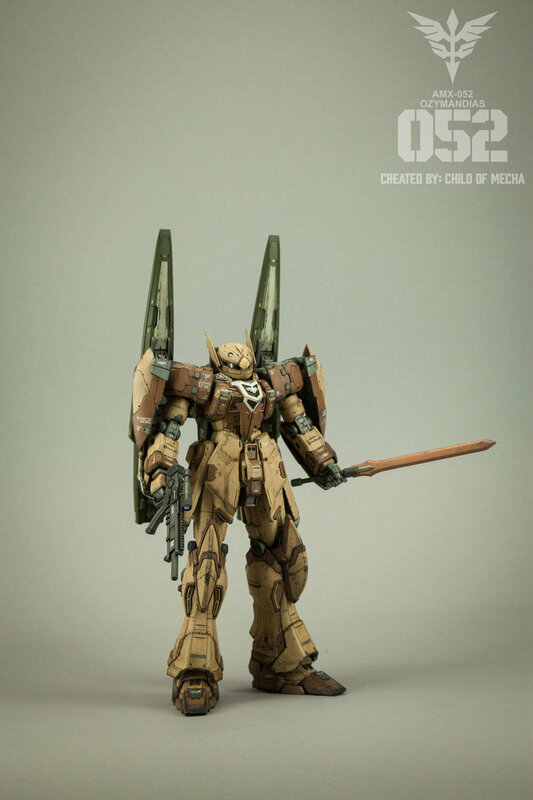 I used the exsisting magazine and scratch built the box shape out of plastic plate and strip. 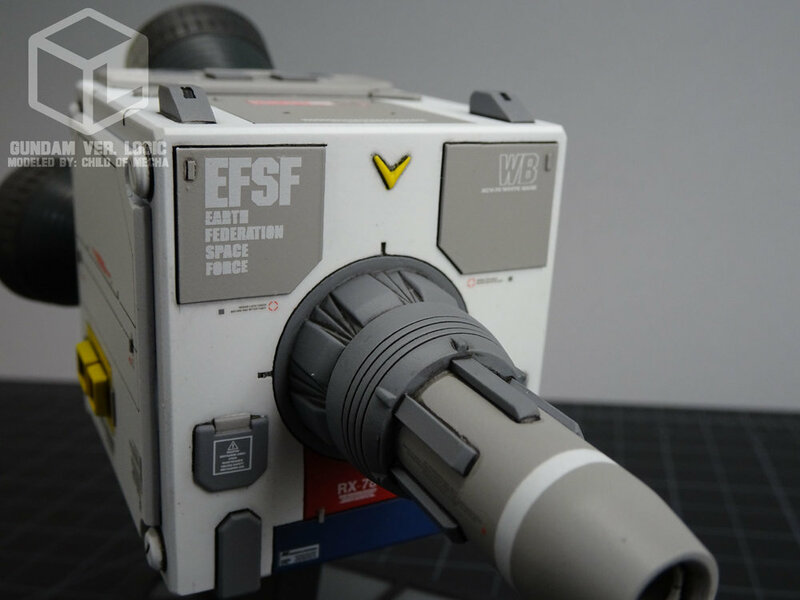 The vertical forgrip was replaced with a pad made of plastic plate and rod. 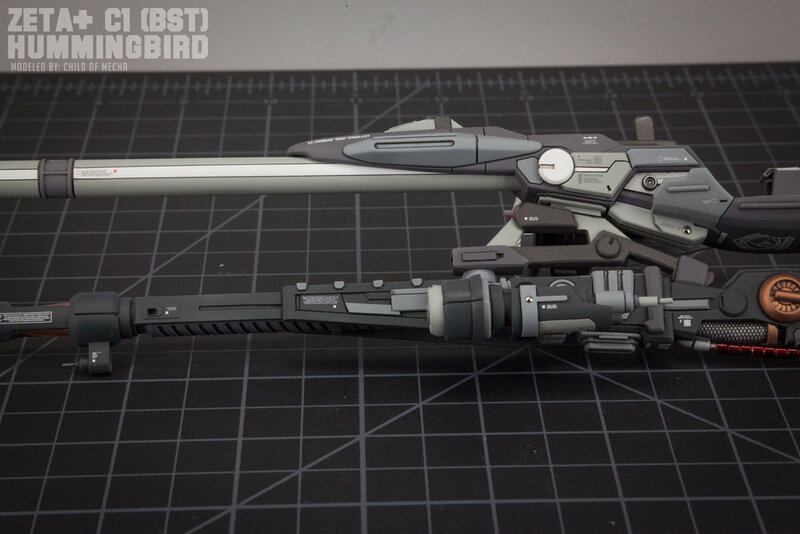 Additional panel lines were added to the rifle as well. 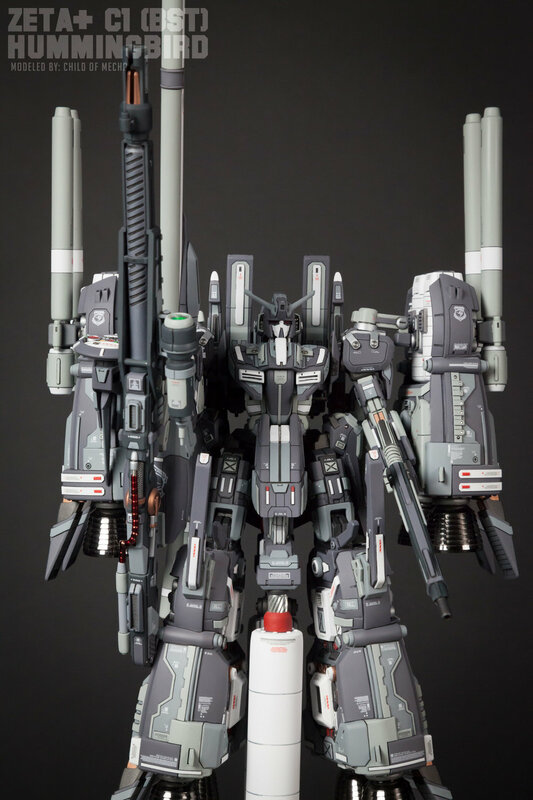 Beyond the core model I scratch built the jump pack out of plastic plate, strip, tube and rod, as well as Kotobuikiya detail parts. The thruster bells were salvaged from my parts box and inflation needles were added to the inside of each to simulate mechanical detail. 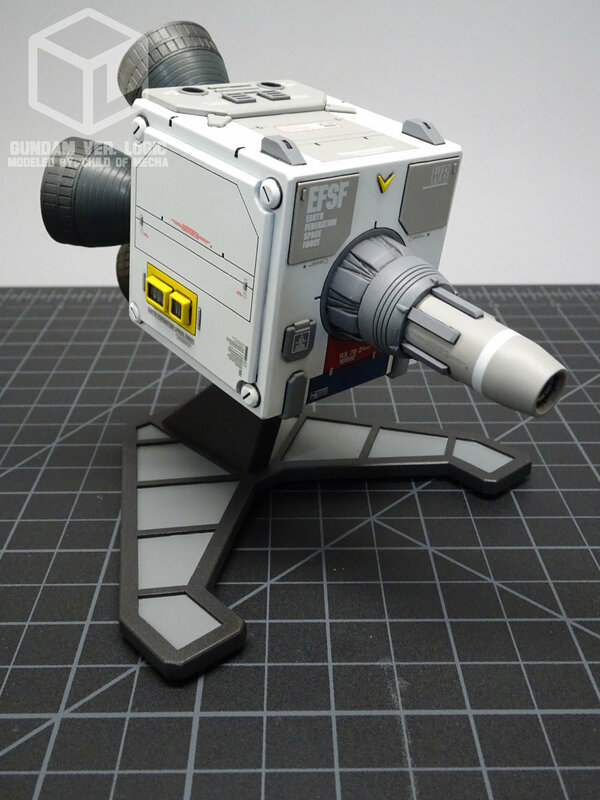 The hunchback part was also was also completely scratch built using plastic plate and strip. 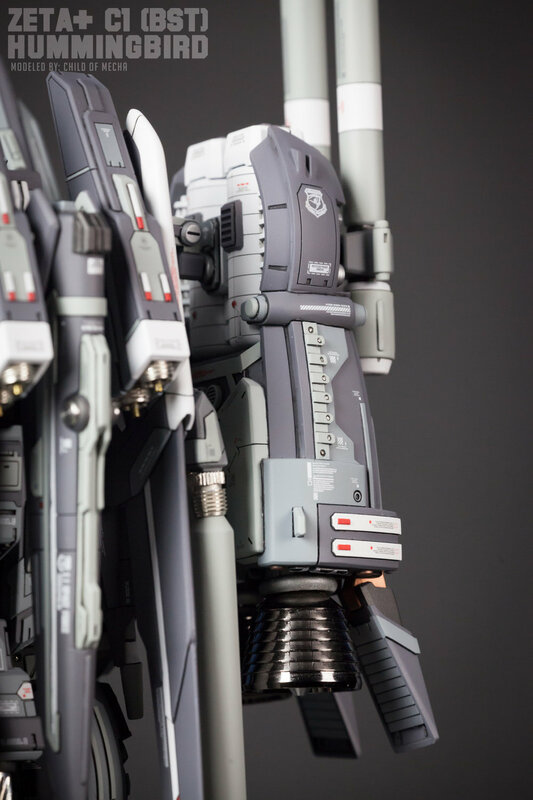 Both the jump pack and hunchback part are held on by magnets. 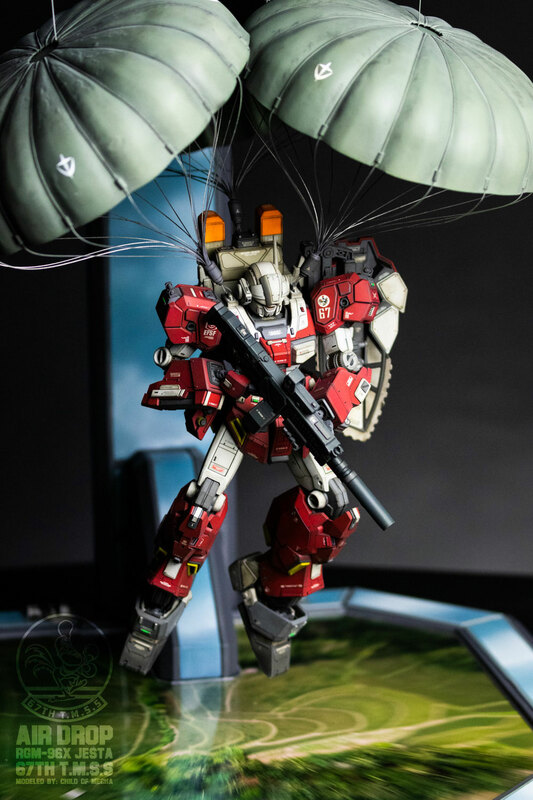 The parachutes were easily the hardest part of this project. I went through four rounds of development to get what you see in the final pics. To make them I finally settled on vacuforming them. I created a positve shape (or buck) out of solid MDF (medium density fiberboard) that I shaped with an angle grinder, files, and my Dremel. Once I had the shape I vacuformed the three parachutes out of 1mm plastic sheet. The rigging was all installed by hand with thin, braided steel jewelry wire that was enrobed in clear viynl. 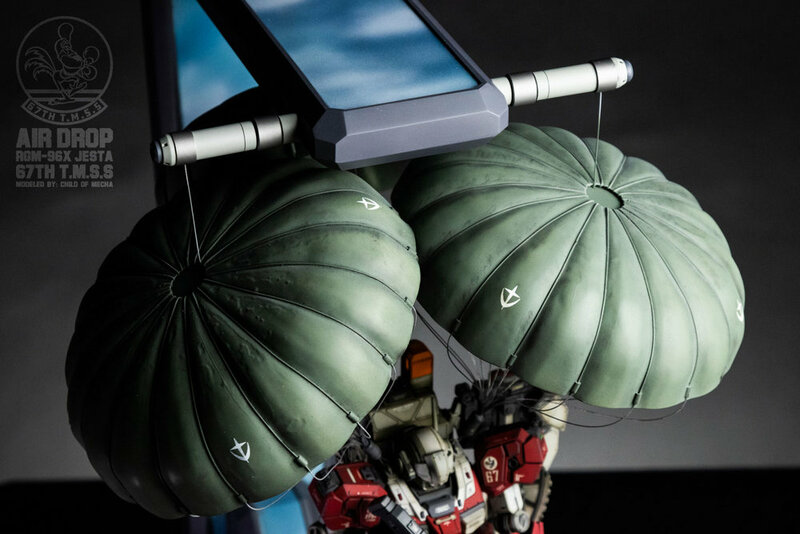 Small pieces of half round tube were added to each wire around the perimeter of each parachute for added detail. All the rigging was secured to the mounting points with super glue. 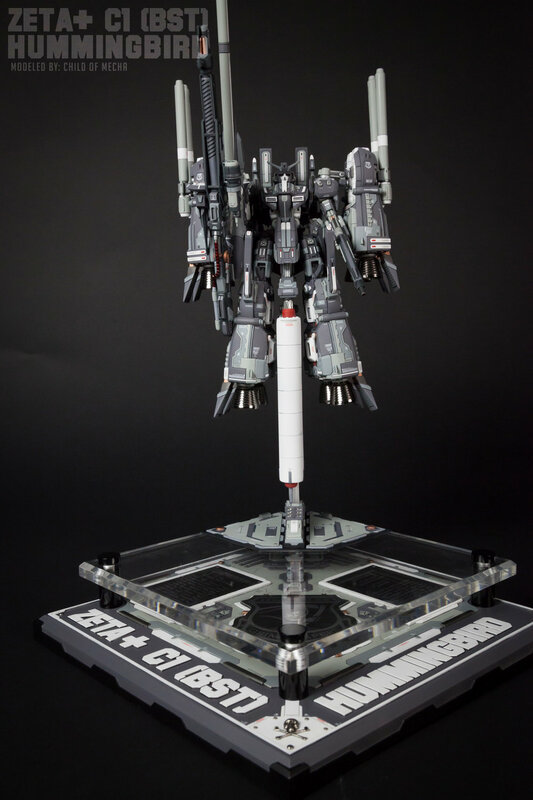 The mounting assemblies were scratch built using plastic tubes, and sheets. It’s all held together by very strong Neodymium magnets. 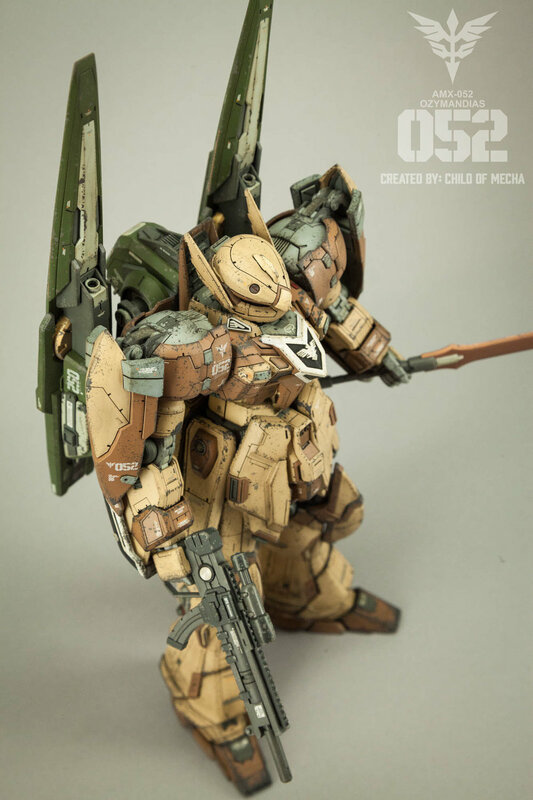 The base is made from MDF sheets that were laminated with plastic sheet and then detailed. 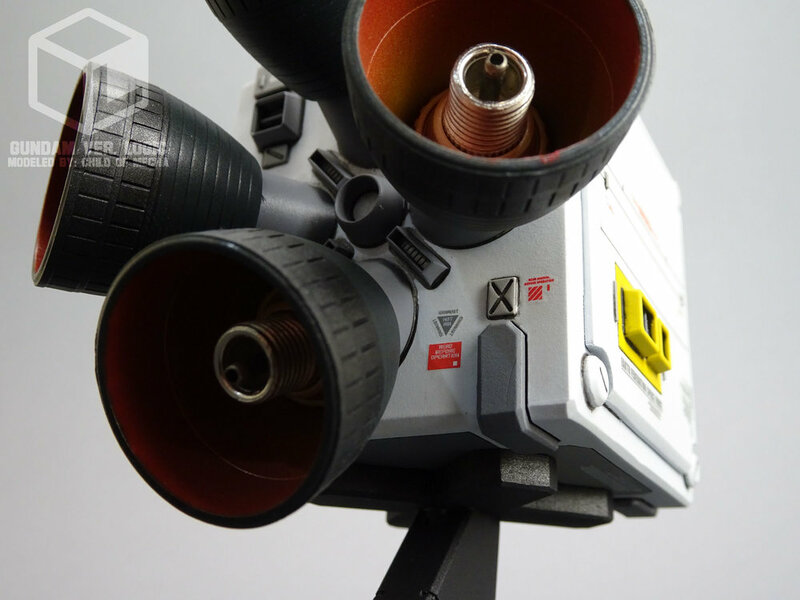 The based is constructed so that it can break down for travel and storage using sturdy 1/4-20 bolts and threaded inserts. 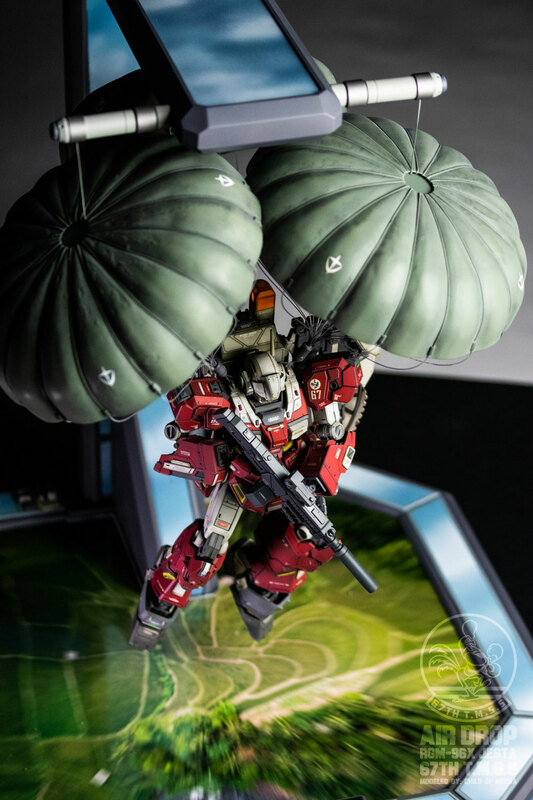 Since I wanted the Jesta to look like it was floating down to the earth I found an image of terrain and applied a central radial blur in Photoshop and laminated the print to a thin piece of plastic plate. A plexiglass sheet was custom cut to fit the insert to give the image more depth. 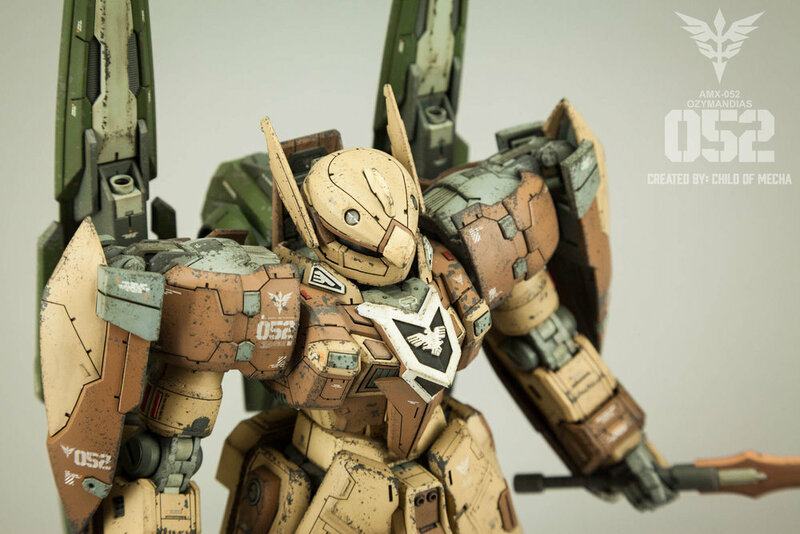 The entire project was painted using Mr. Color paints and weathered with Tamiya Weathering Master sets. 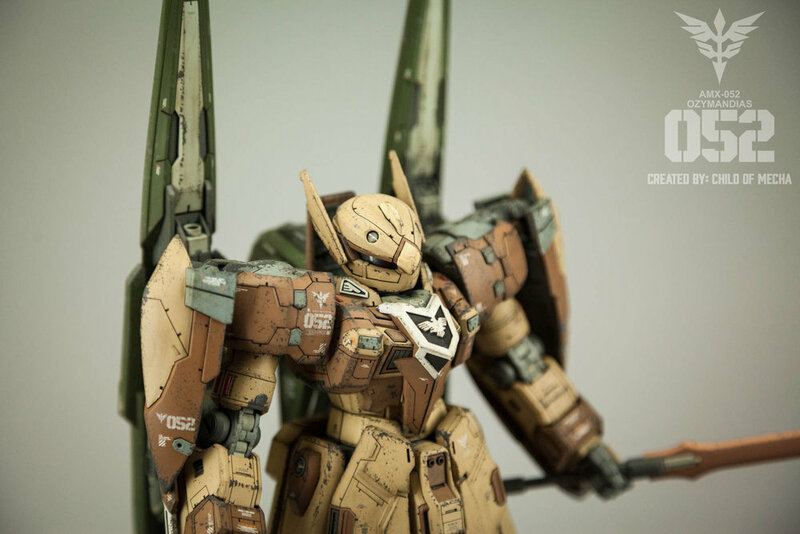 Various bought and custom made decals were applied throughout the piece. The 67th Rooster logo was found on a military sheet that I purchased when my local hobby store was closing down. 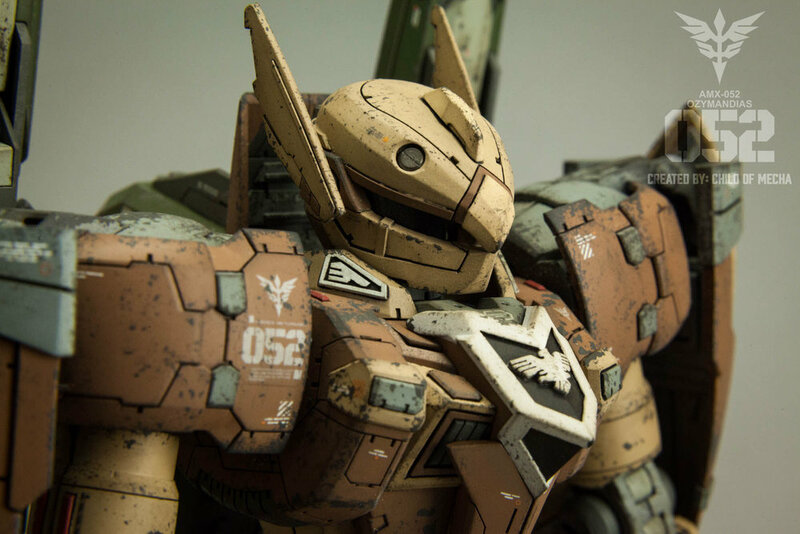 That logo set the stage for the color scheme and overall design of the paint and weathering process. 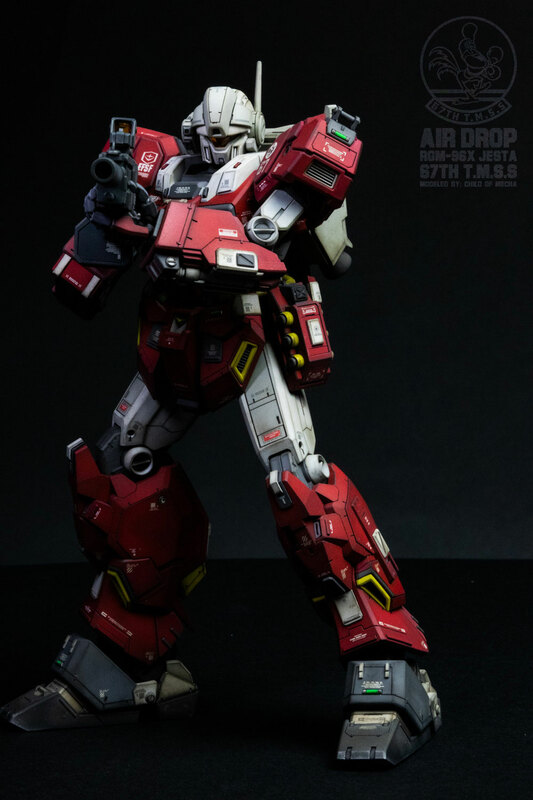 It helped spawn the 67th T.M.S.S. 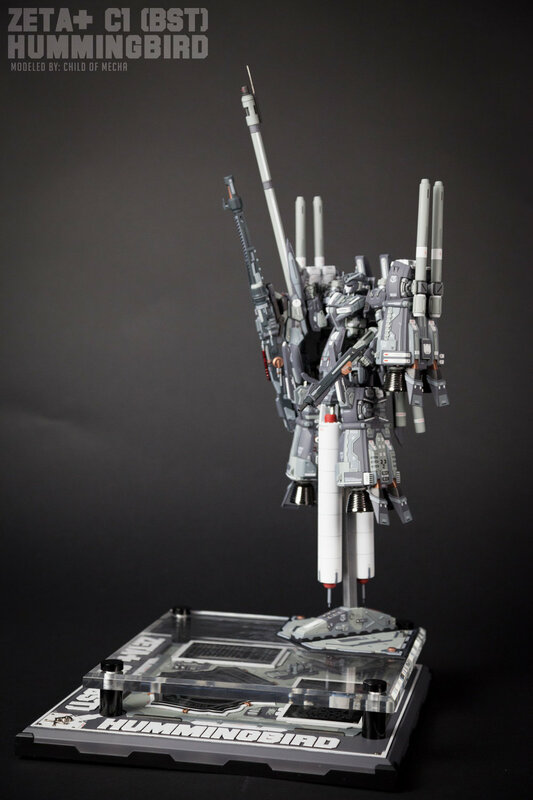 An homage to the real life 67th Tactical Fighter Wing. On the base I painted the sky and clouds using various shades of blue and white. 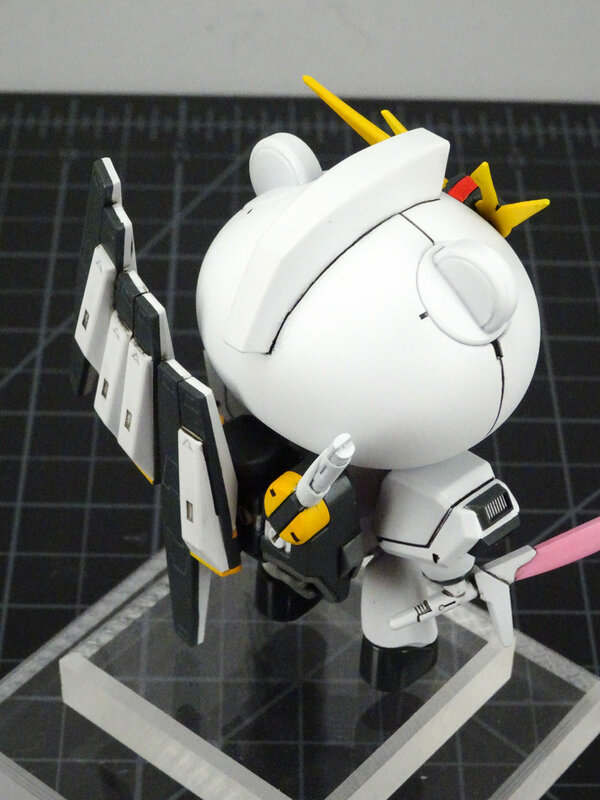 The sky parts are clearcoated in high gloss and contrasted with a matte clearcoat on all other parts. This helps to simulate a windowed look. Even though this morphed from a simple “out of box” build into something much more, I’m very pleased with the results. 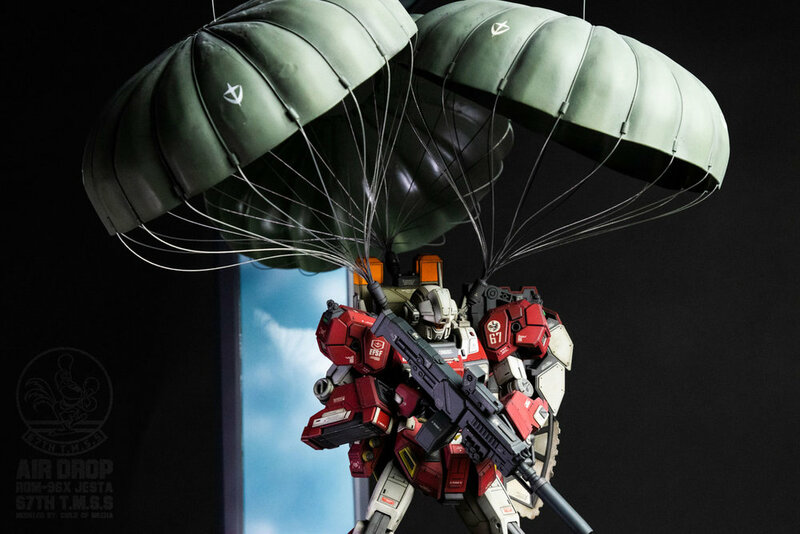 The illusion of the Jesta falling is pulled off rather well, I think. I hope you enjoy it! 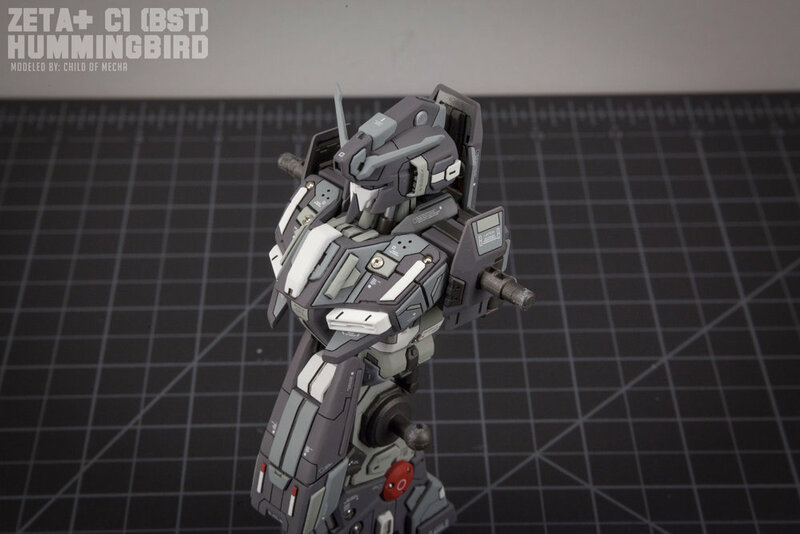 Most of this build is documented on my LIVE streams. Over 100 hours of work on this piece can be seen on my YouTube Channel and Facebook page. 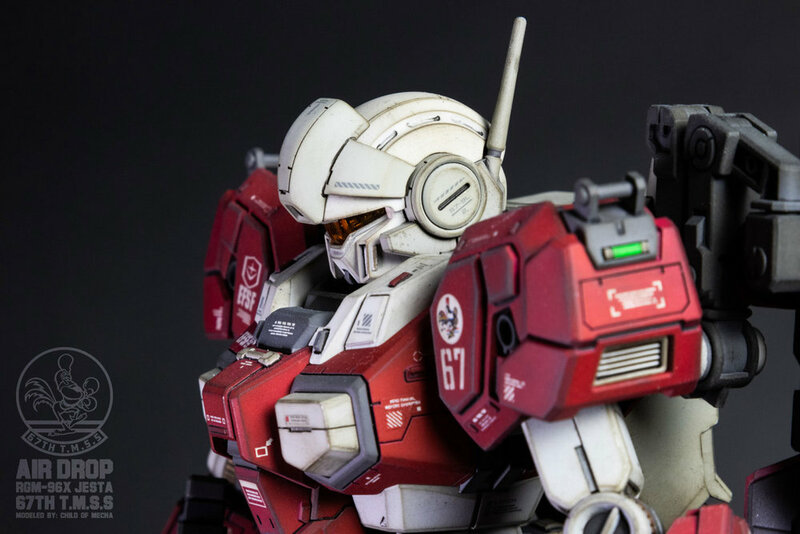 I show how I achieved the details and the techniques that went into them. You can see them all with the following playlist. If you'd like purchase 67th T.M.S.S apparel or poster sized prints to hang on your wall, you can buy them in various sizes in my online store! I'll be completely honest with you; I'm not happy with how this turned out. I think that's very important to admit, that's why I put it in big bold letters. I cut corners and didn't show complete attention to detail, but I'm ok with that. I feel that's also important to admit. Not every project is going to be a masterpiece, and we all have to come to terms with that. 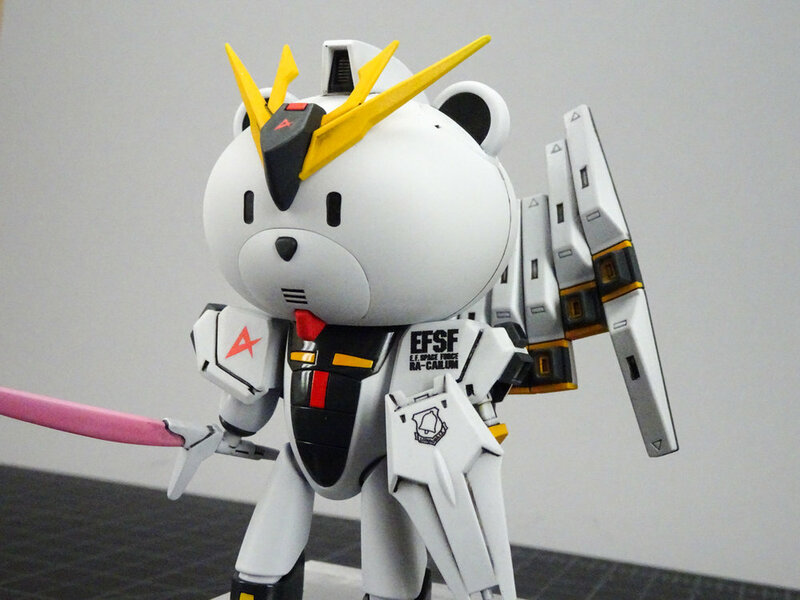 That being said, the Petit Crossbone Beargguy is made from kitbashing a Petit'gguy and an SD Crossbone Gundam. 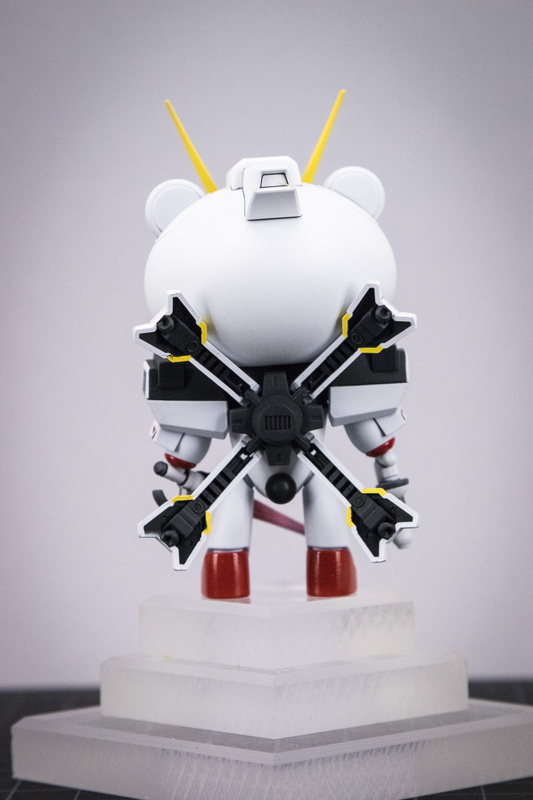 The mohawk, V-fin, shoulders, backpack, gun, and saber have all been custom fit to the Petit'gguy. 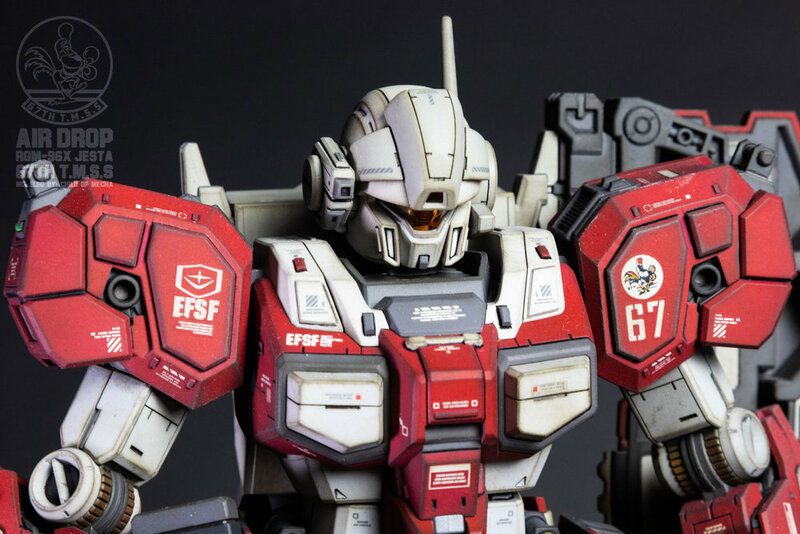 Additional panel lines have been scribed into the chest and mouthpiece to better replicate the look of the Crossbone Gundam. 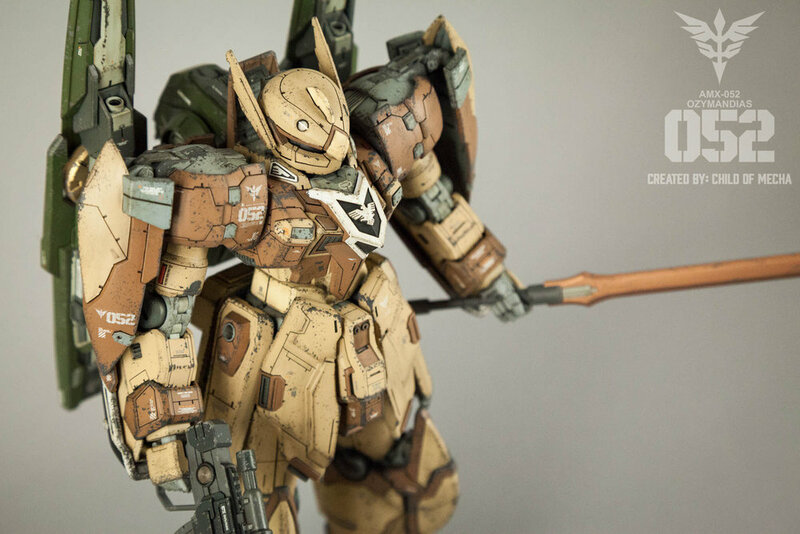 The piece is entirely painted with Tamiya paints thinned with Mr. Leveling Thinner, and has been clear coated in Mr.Super Clear Gloss and Mr.Super Clear Matt. 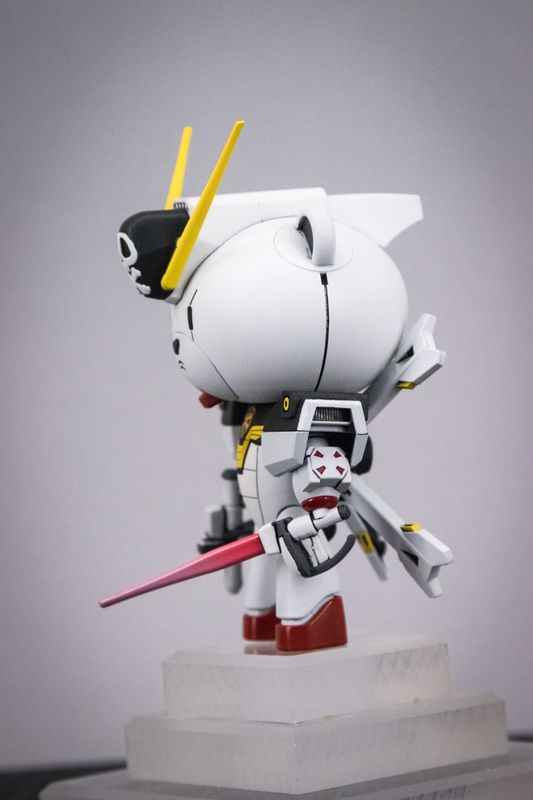 The decal is from the Crossbone X2 waterslide sheet. 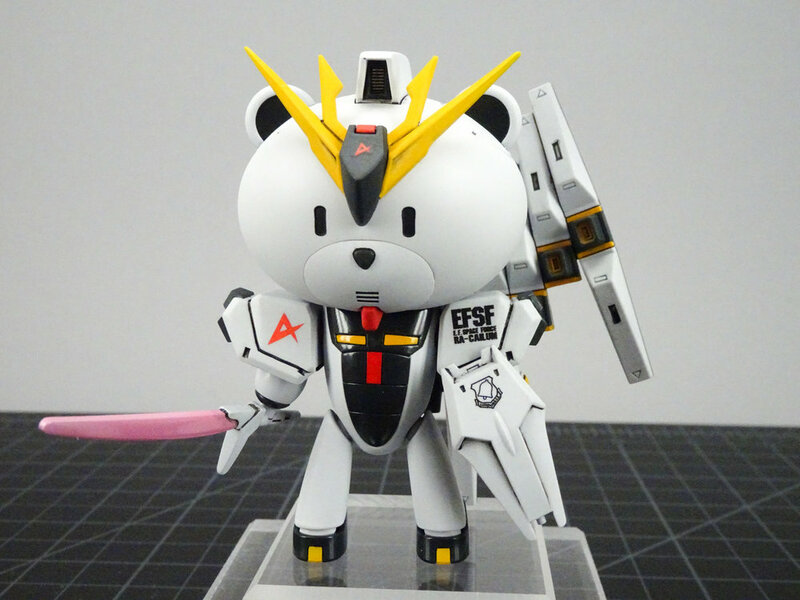 Even though the Petit Crossbone Beargguy isn't my best work, he's still really cute and that's what I was going for. I hope you like it regardless! 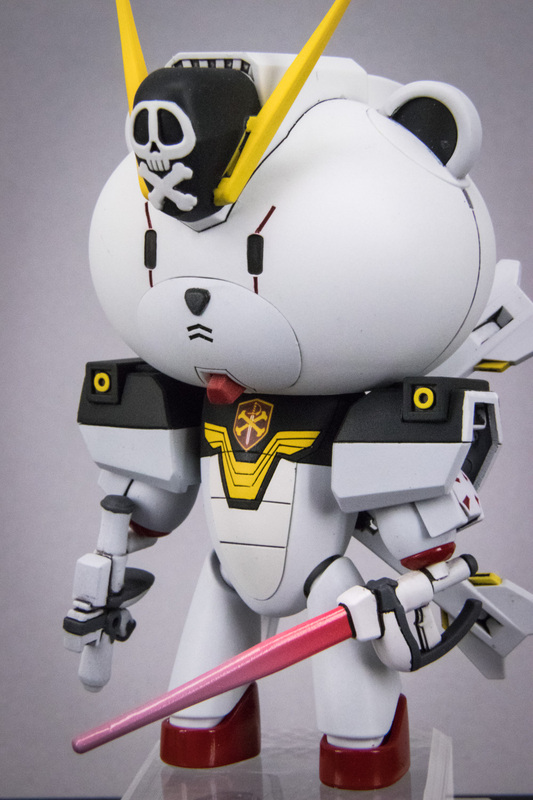 You can see the Petit Crossbone Beargguy WIP gallery HERE. 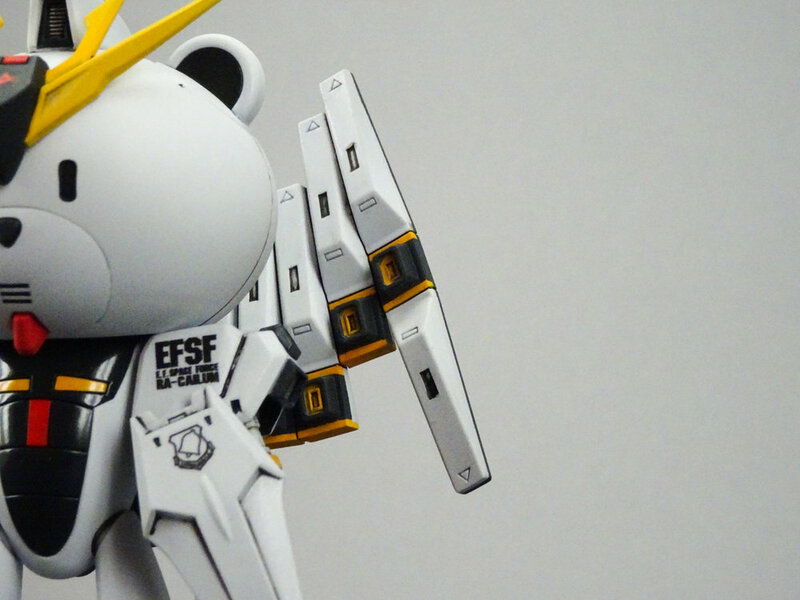 Do you like Beargguys? 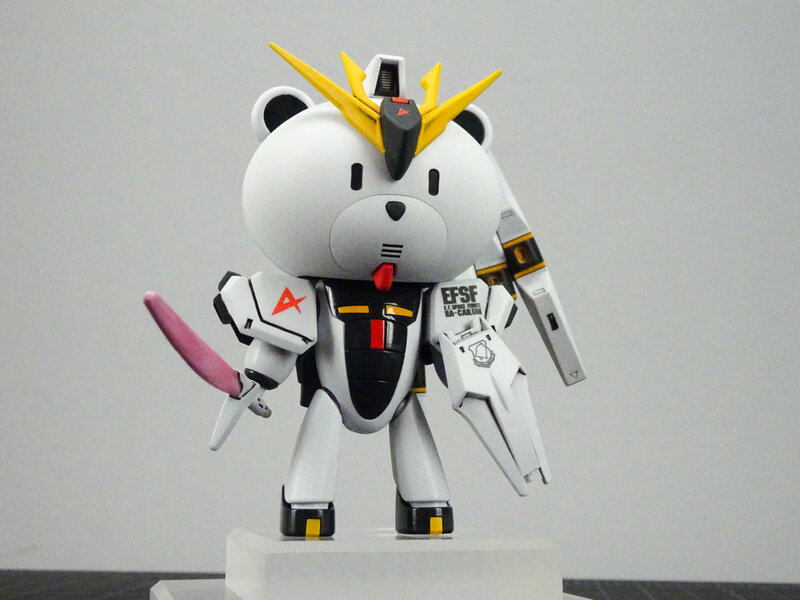 I like Beargguys! 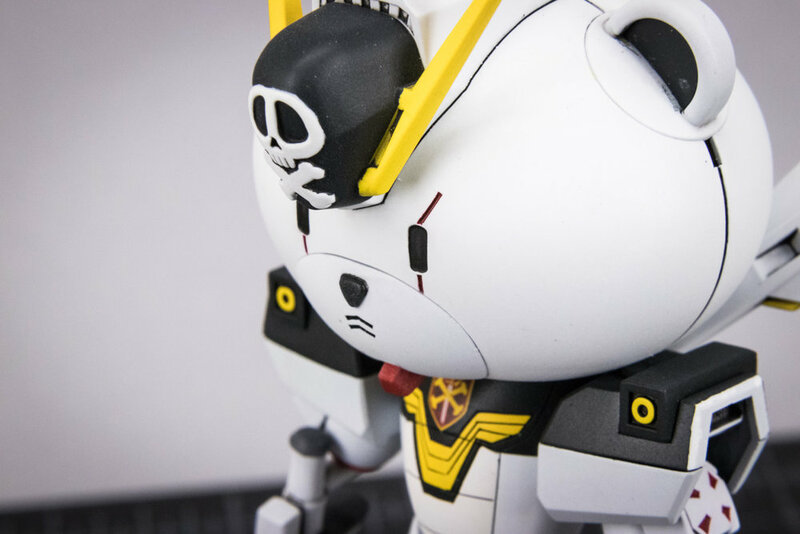 You can shop for Beargguy merch in my store! 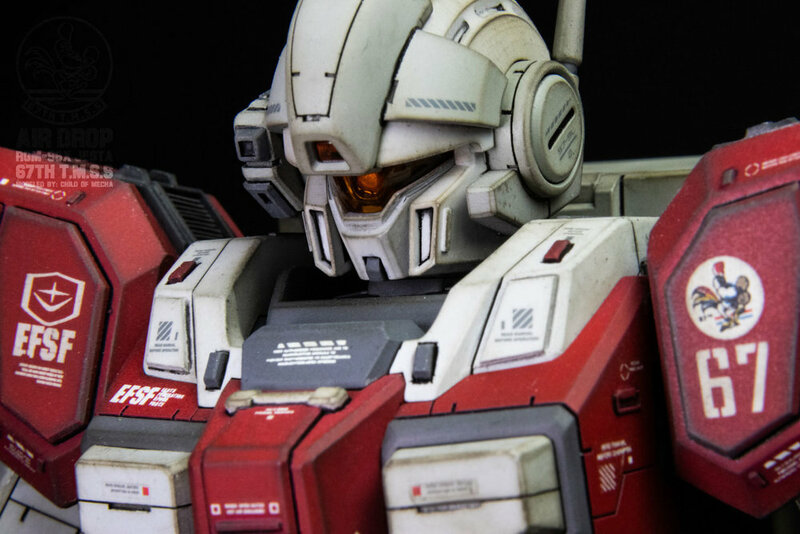 This model started out as a MG Sinanju Stein ver. 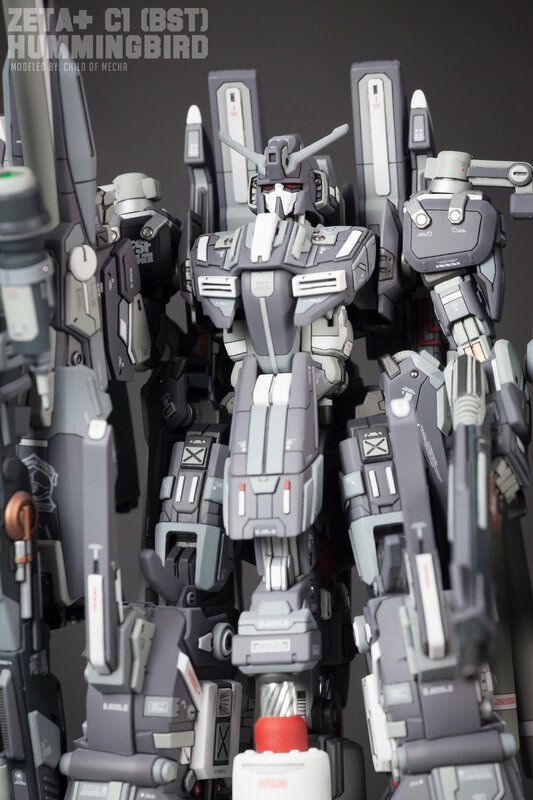 Ka and has been heavily modified and kitbashed with parts from the 1/100 and 1/144 Grimgerde, PG Wing Zero, 1/144 GN Arms, MG ZZ, and MG Gouf Custom. 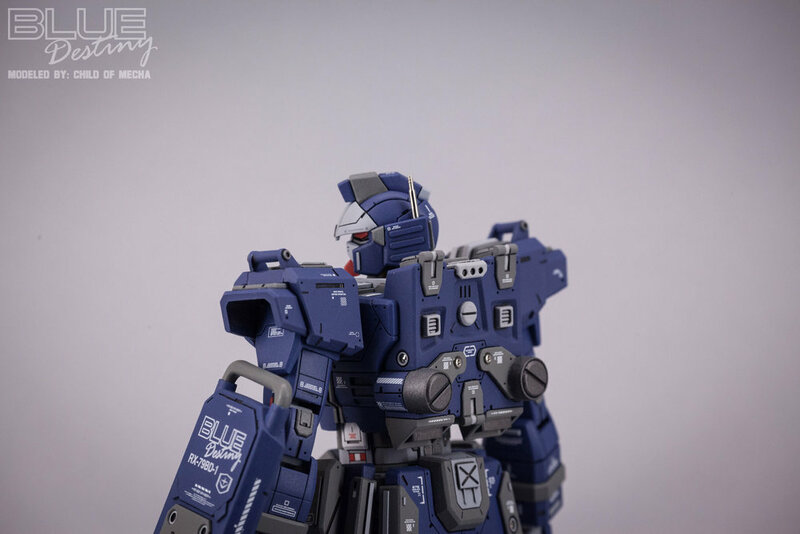 The head started as the head of a MG Gouf Custom and was reshaped with Tamiya Quick Type Epoxy Putty. 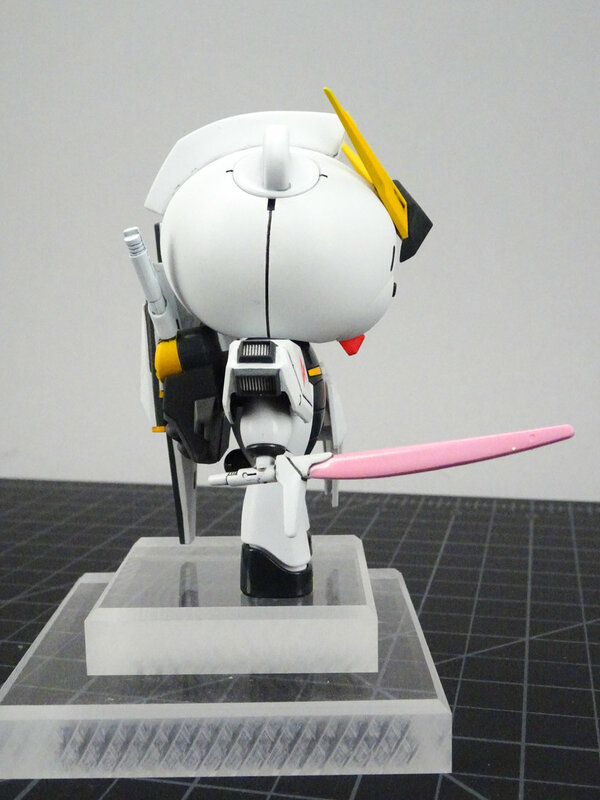 Styrene sheet and strip were added for details and the winglets are from the 1/144 Grimgerde. 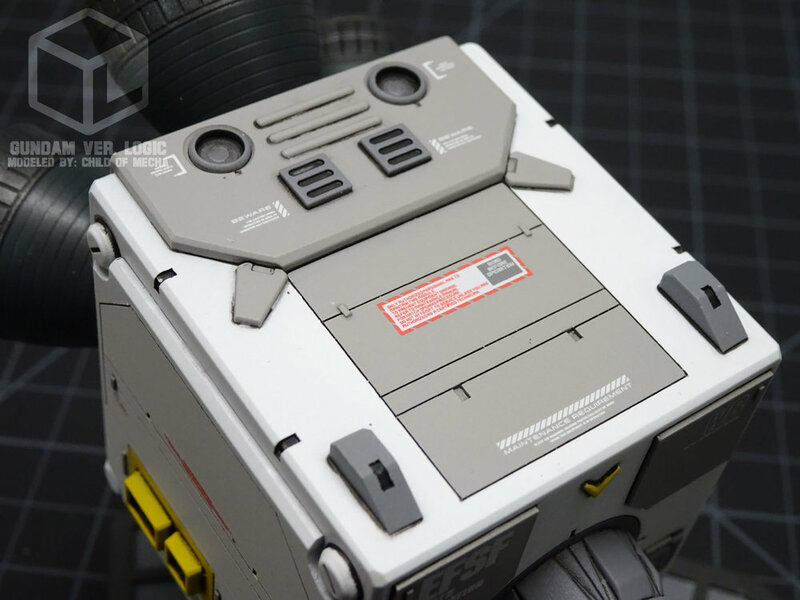 The chest was reshaped with Tamiya Epoxy Putty, and plastic sheet. The cockpit hatch has been laminated with plastic sheet to give it more accentuated angles and detailed with plastic strip to form the borders. 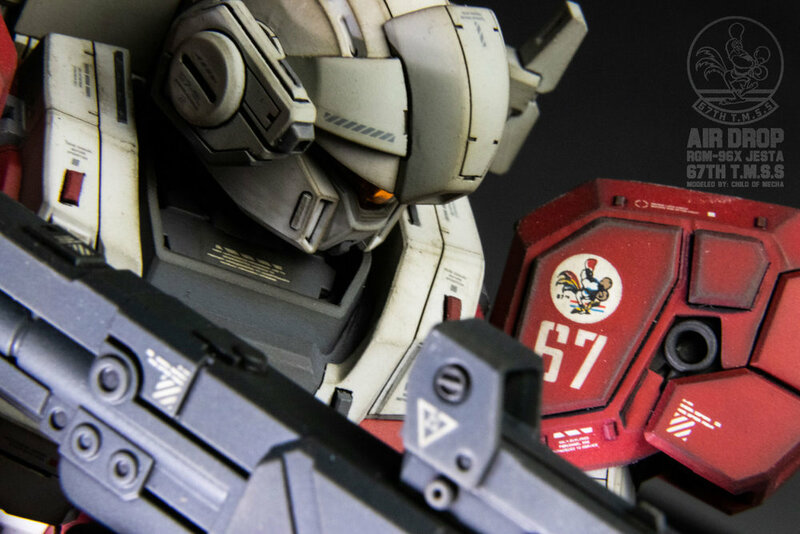 The eagle is a Kotobukiya MSG detail part. 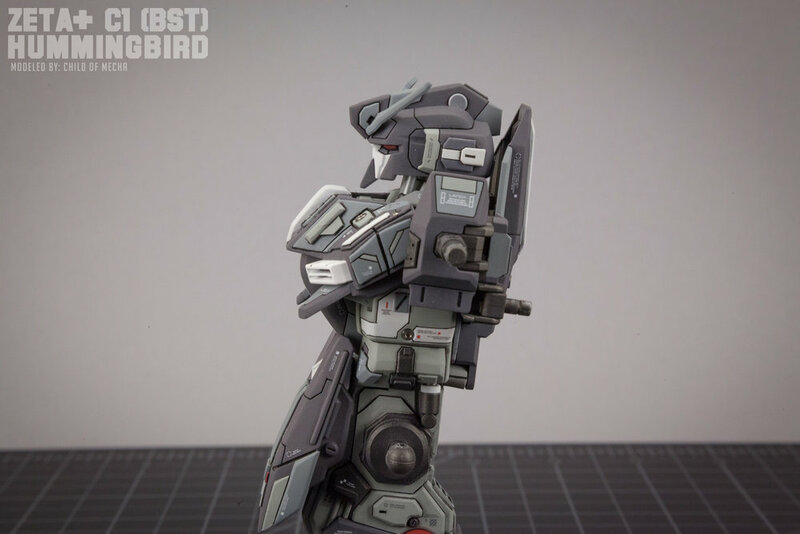 The shoulders came from the 1/100 Grimgerde and were modified with the internal structure from the Stein's shoulders. 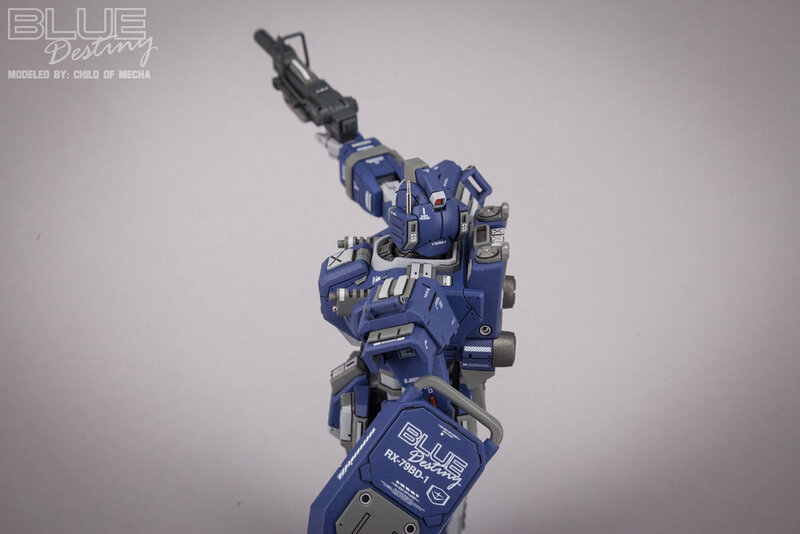 The attachment arms are taken from the MG ZZ and were modified to fit in the new shoulder. 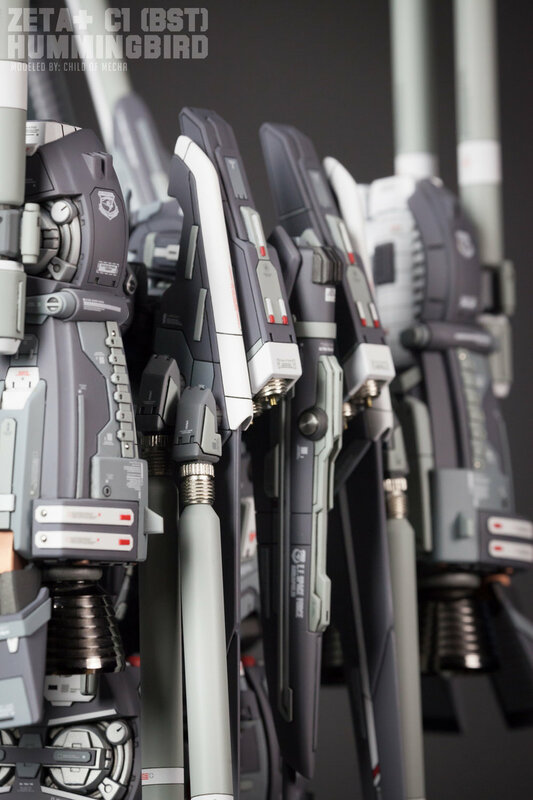 They are holding additional shoulder armor that came from the PG Wing Zero. The inside of the additional shoulder armor has been detailed with styrene sheet. The front skirts have been semi scratch built with some of the Stein's front skirts and built up with styrene sheet and strip. Side vents were sculpted into the styrene sheet using chisels. 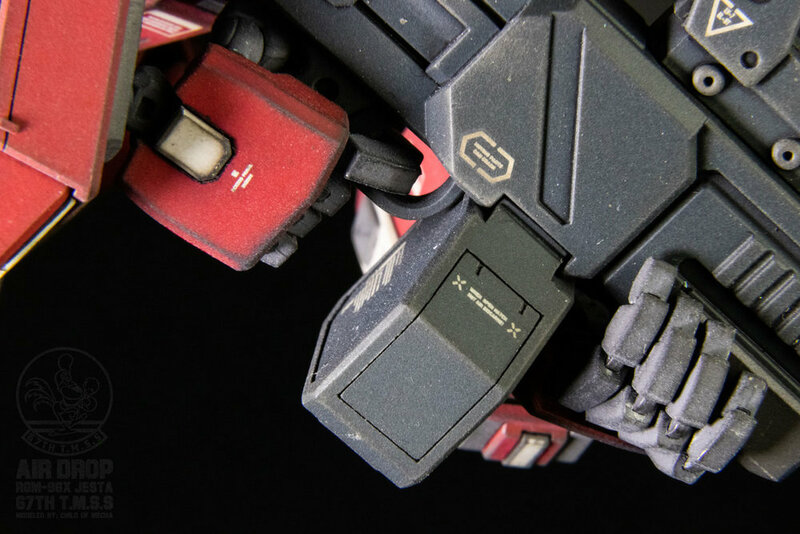 The side skirts are originally the arm shields from the 1/100 Grimgerde and modified with the back of the Stein's side skirts. Additional detail was added. 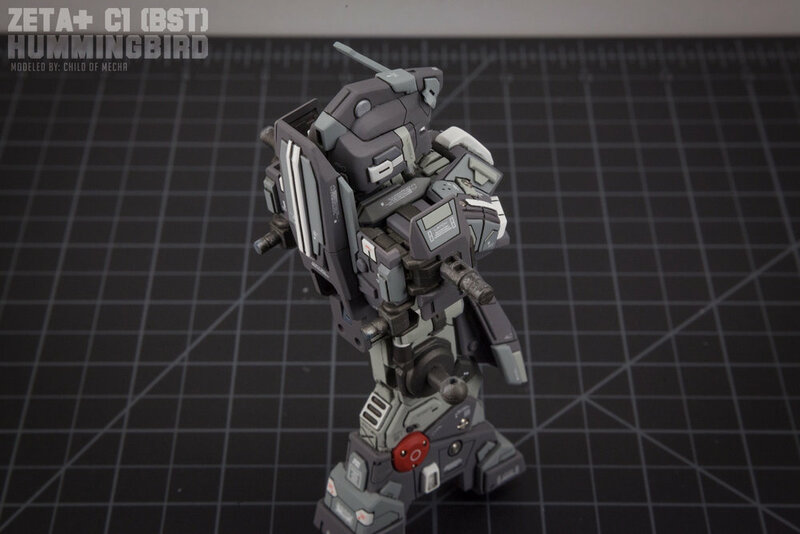 The back skirts were almost all scratch build with the exception of the front piece which is from a MG Ground GM's front skirts. 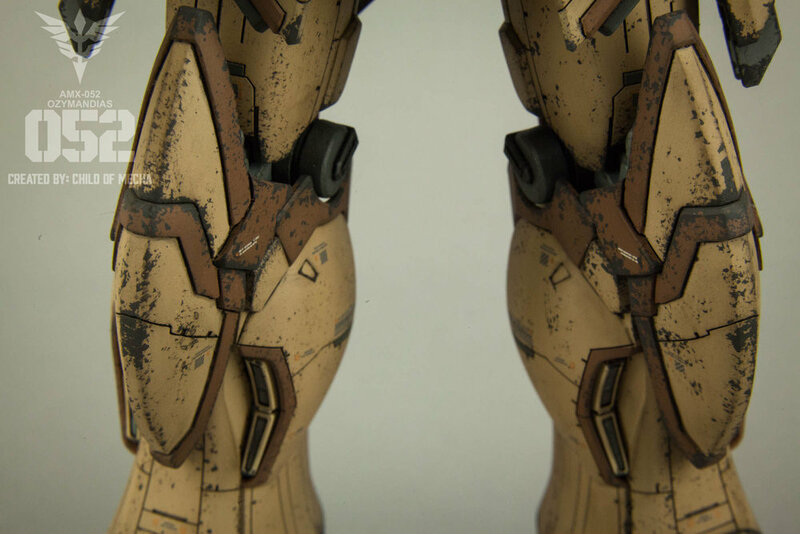 The knee armor was heavily reshaped with Tamiya Epoxy Putty and plastic strip. 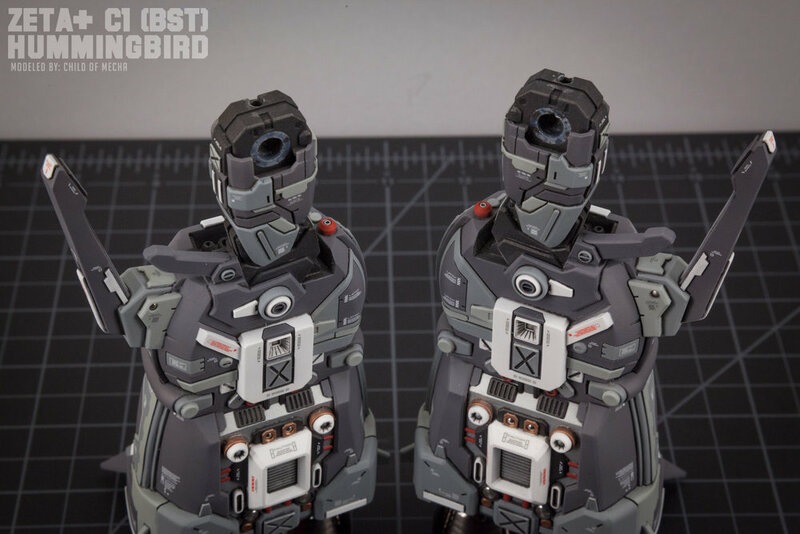 The original was molded and then recast in resin to get two identical copies. 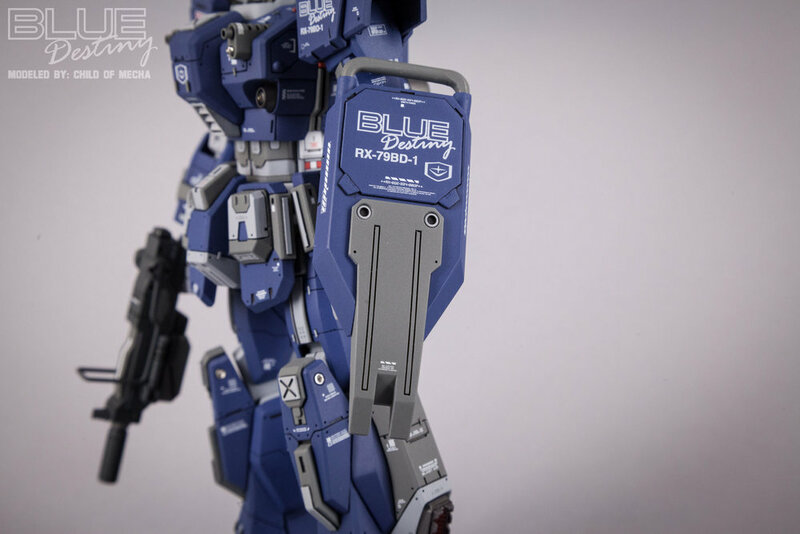 The back of the legs have added thrusters using parts from a MG Z+ and 1/100 HG Buster Gundam. Vented inserts were scratch built to fit into the new thrusters. The bottom of the legs have been tapered down and modified with plastic sheet and strip. 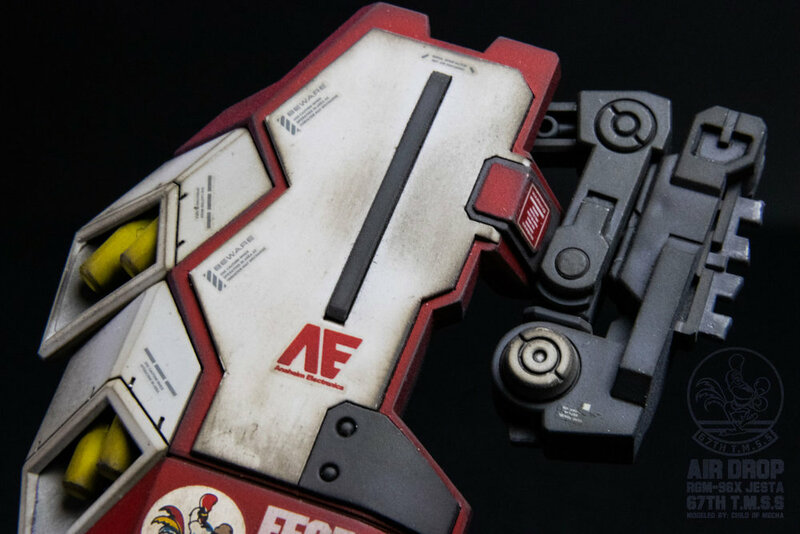 The toe armor has been scratch built from plastic sheet and made to fit over the Stein's toe bottom. 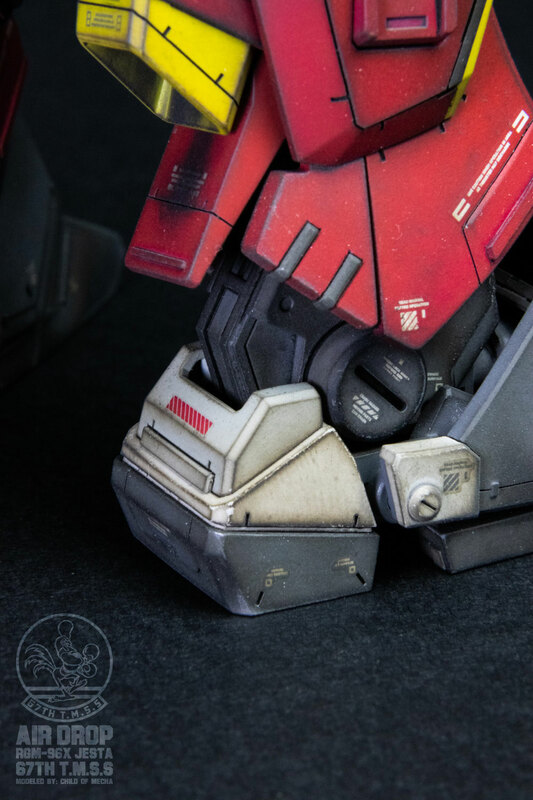 Many parts of the foot have been smooth for a more curvy look. 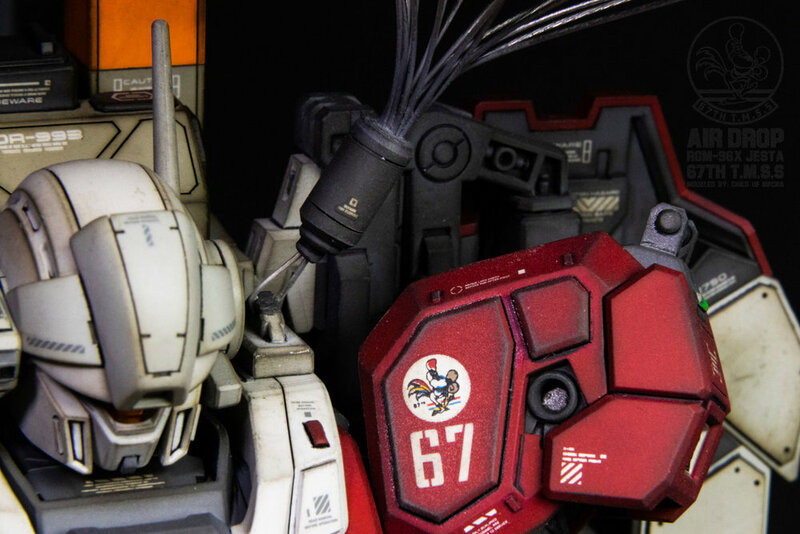 The backpack is made from the existing Stein back pack and parts from the 1/144 GN Arms and HGUC Gaplant. 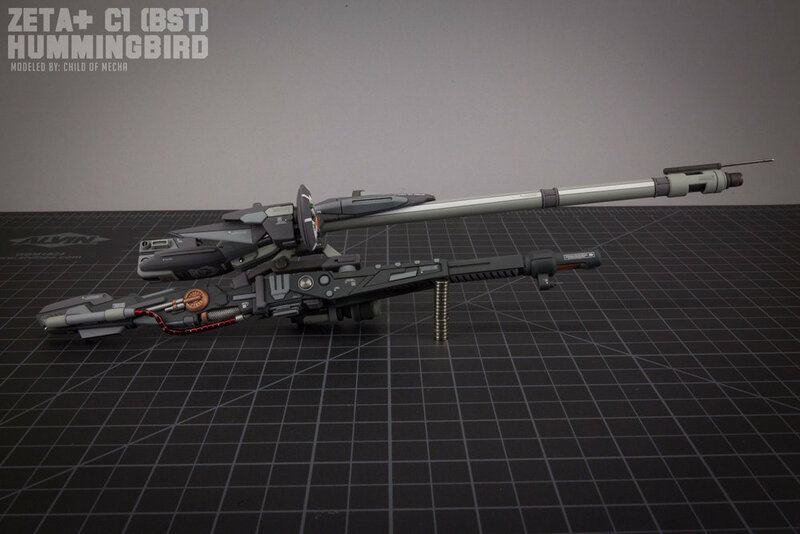 Double pivoting attachment arms were scratch built using plastic strip and tube. 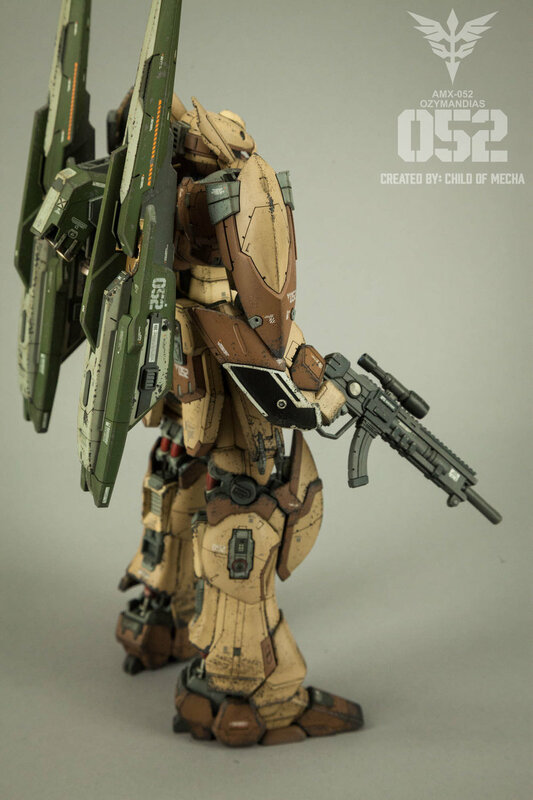 The gun was completely scratch built using plastic sheet, strip, tube and metal detail parts. 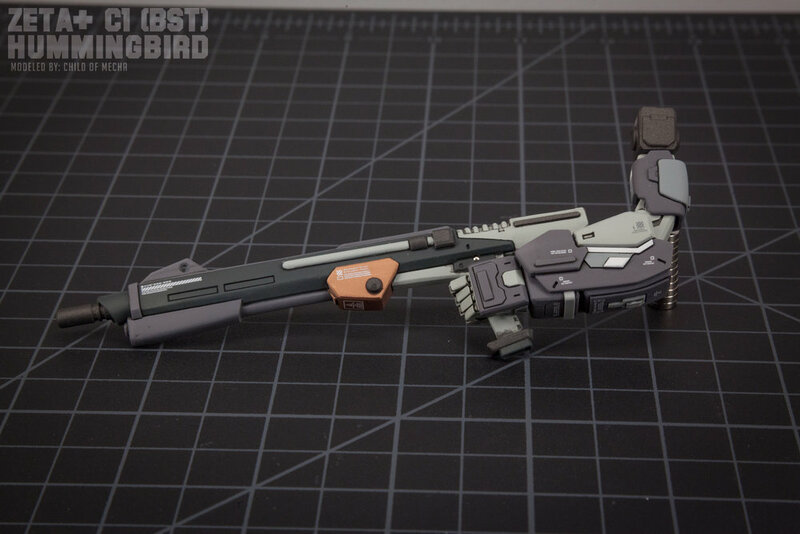 The sword is a modified 1/100 Grimgerde's using plastic rod and tube to customize the look. 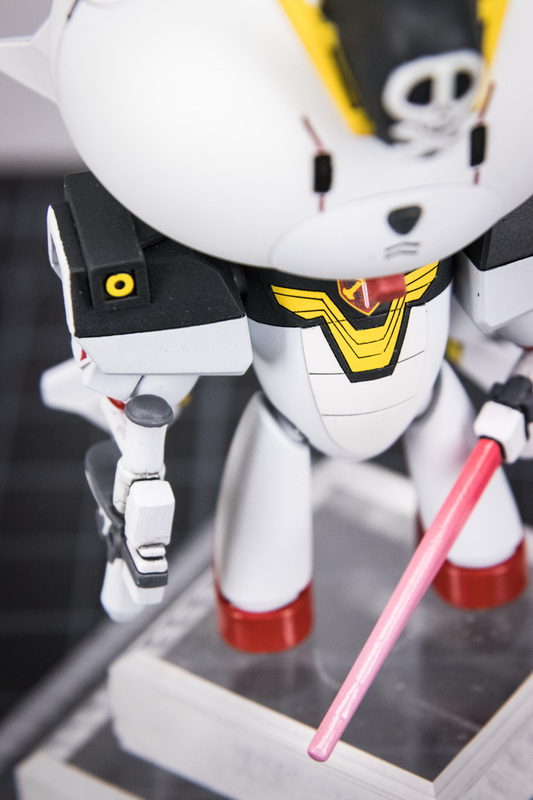 Many parts had their angles sanded smooth to give it a more curvy Zeon look. 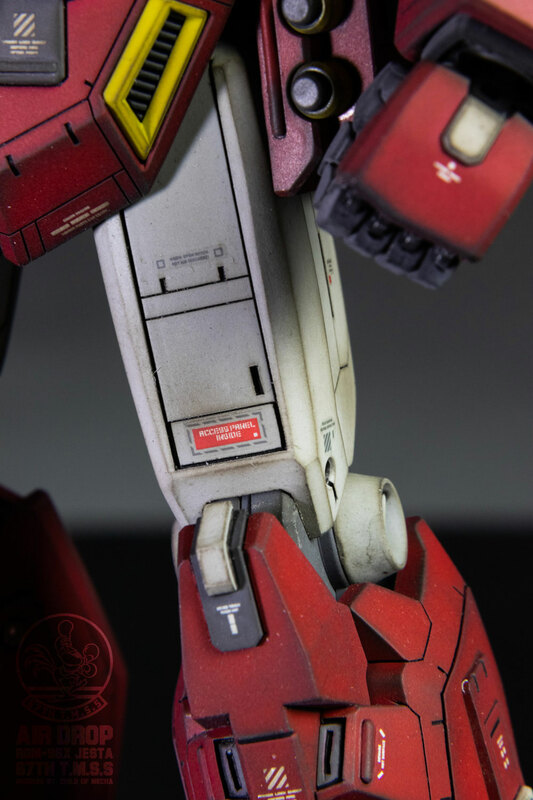 Most parts have custom panel lines scribed in as well. Everything has been primed with Mr. Surfacer 1000 and painted with Mr. Color Paints. 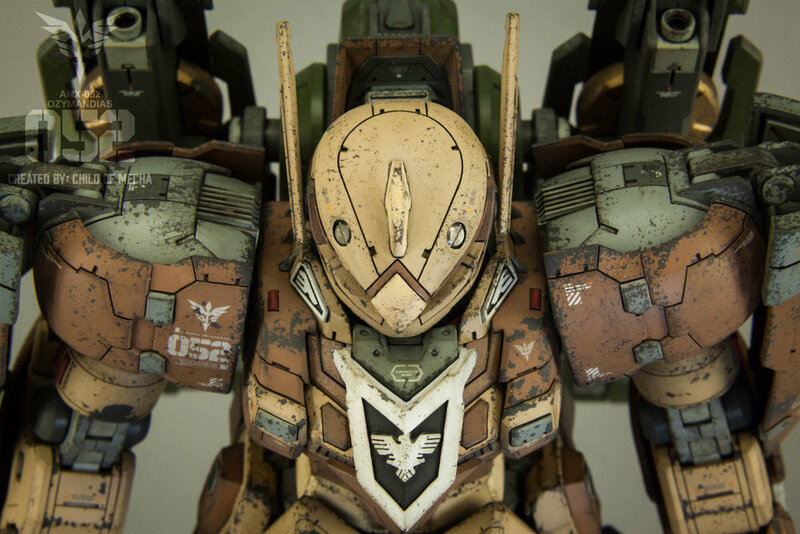 It was then glossed with Mr. Super Clear gloss and Tamiya Panel Line Accent Color was applied. 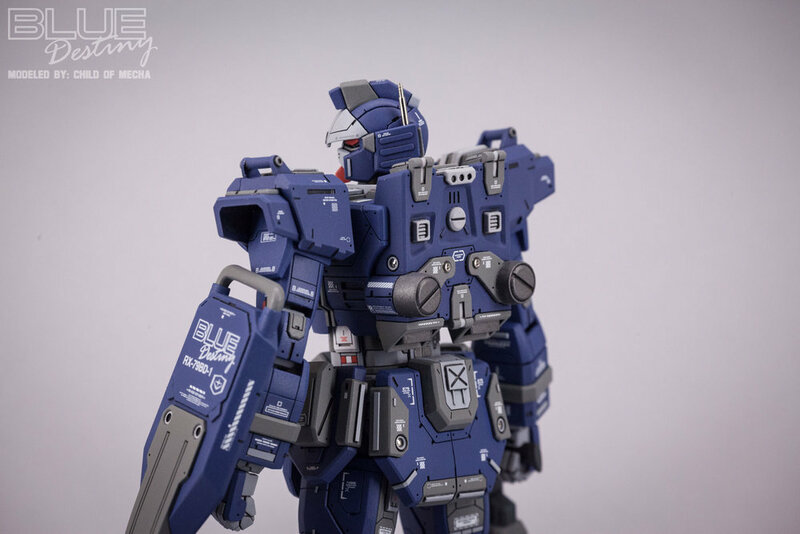 Decals from Hi-Q and DL were used as well as custom printed decals. 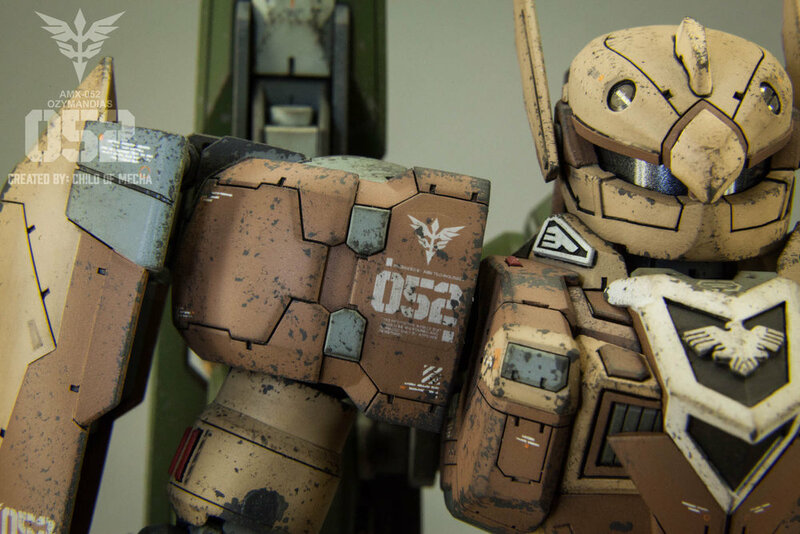 The decals were glossed over for protection and the model was chipped using Tamiya acrylics and small pieces of sponge. 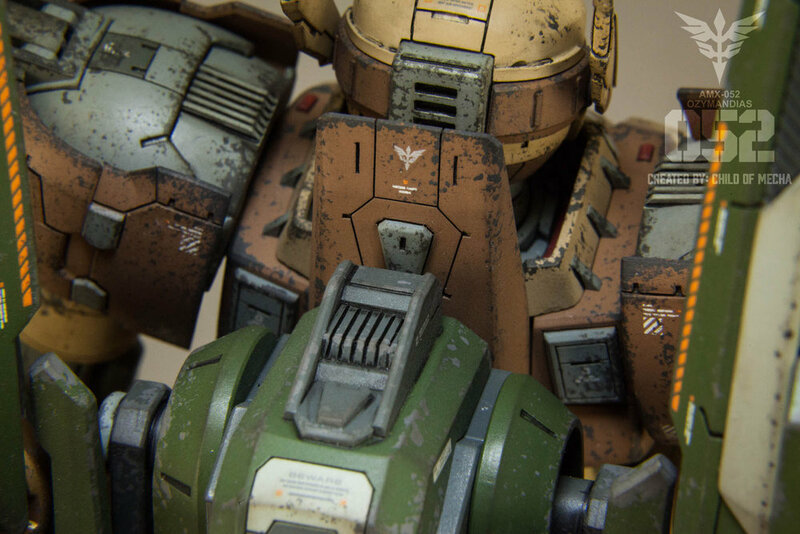 Tamiya Weathering Master Oil Stain was applied to all surfaces to give it subtle color variance and to slightly accentuate the edges. 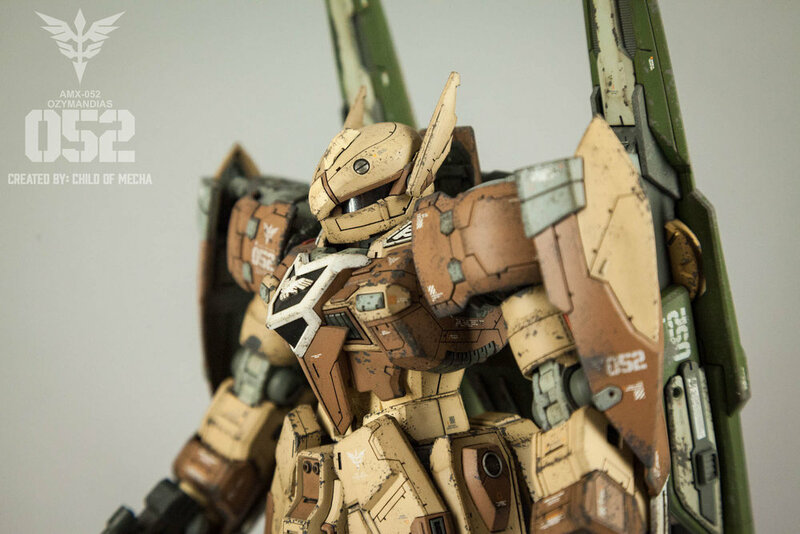 The model was finally sprayed with Mr. Super Clear Matte. Overall, I'm really happy with how the Ozymandias came out. I was originally not going to weather it, but after not getting it done in time for NYCC, I decided to go ahead and do it. 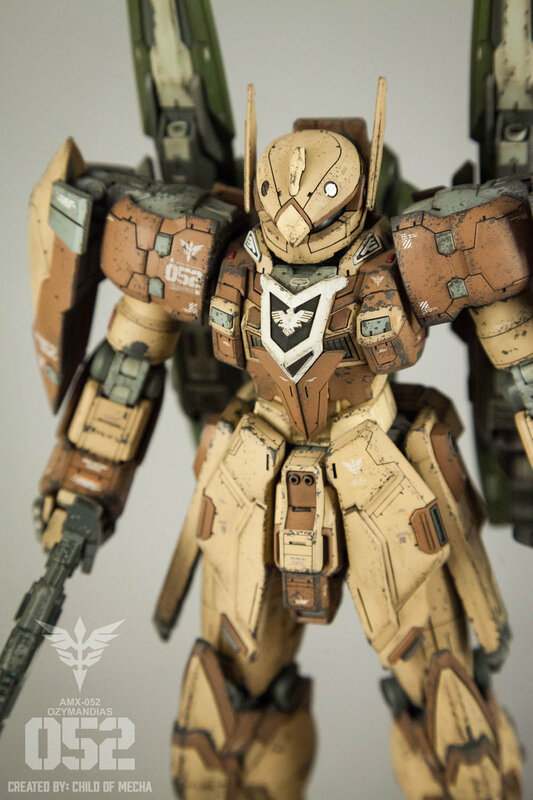 The chipping may be a bit heavy, but I wanted it to look very battle tested and considering this is my first attempt at it, I can't really complain. I truly hope you like the Ozymandias and if you feel others should see this please feel free to share it to your friends or groups! Link to the full WIP gallery HERE. If you'd like purchase Ozymandias apparel, accessories or poster sized prints to hang on your wall, you can buy them in various sizes in my online store! 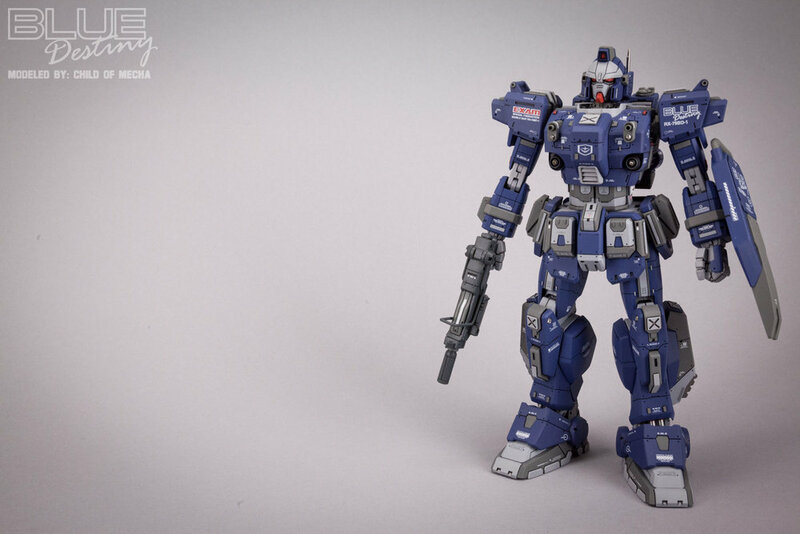 I originally built the Blue Destiny back in 2004, but over the past few years pieces started to fall off and the paint started to flake off, so I decided to dismantle it and strip it, so I could refurbish and upgrade the model. 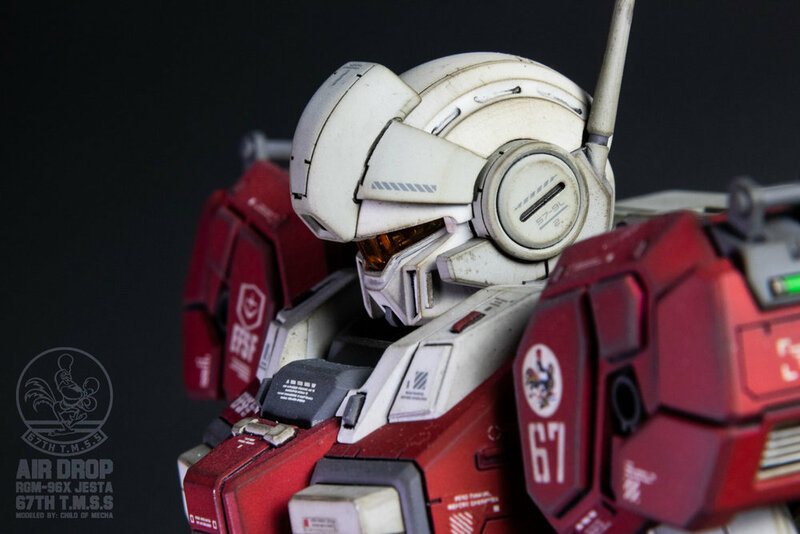 When I started the refurbish, I wanted to keep some of the details that made the original project successful to me, but I also wanted to bring it up to par with my latest works. I started the upgrade mods with the shoulders. I notched out 1mm of resin off the top so I could add detail. I also added circular molds to the support bars. 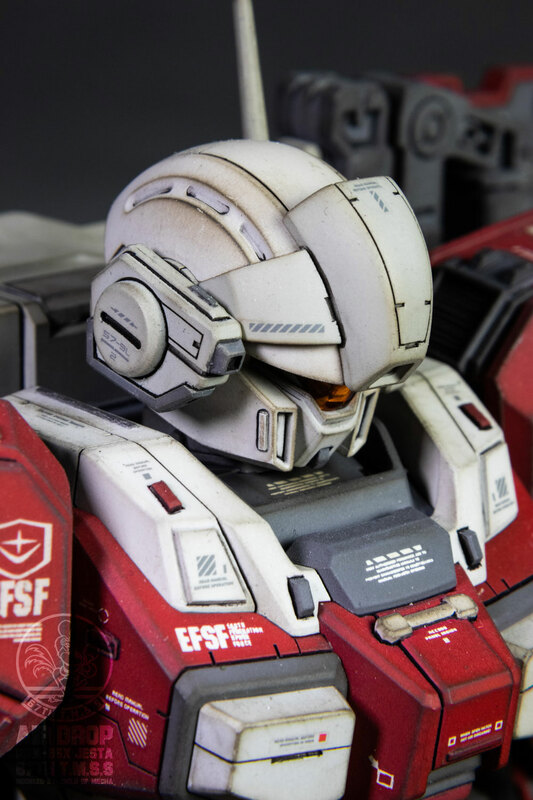 On the head I grafted front vents onto the cheek armor, as well as strip detail. 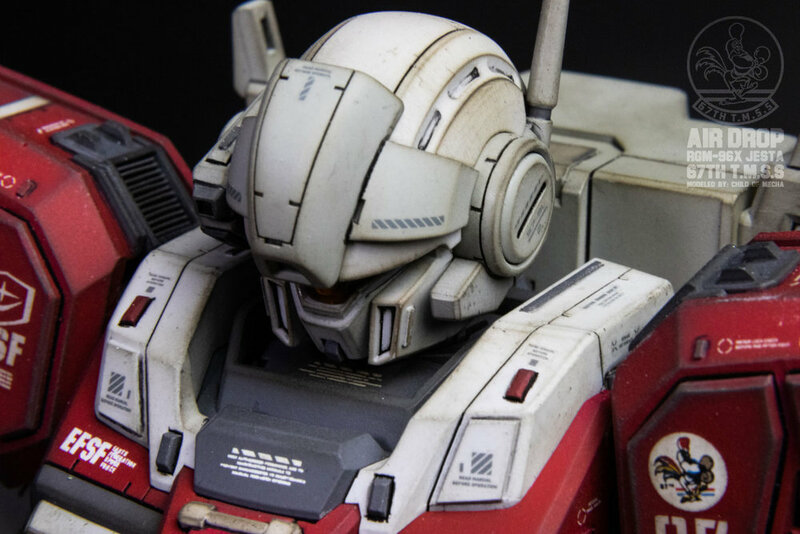 Strip detail and extra panel lines were added to the front visor. An antenna, made from a watch spring bar, was added to the side of the head. 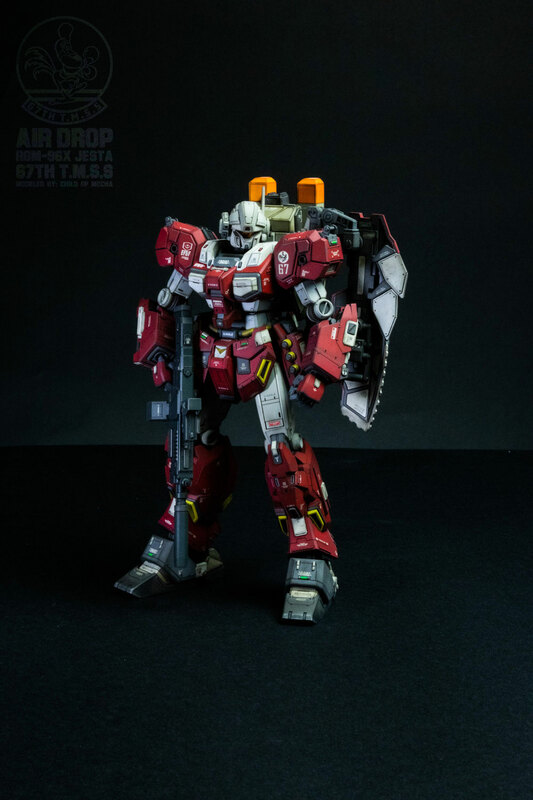 I removed 3mm of resin from the middle seam in the chest parts under the arms and added side and top detail made from styrene strip and sheet. I also added small details to the neck area. 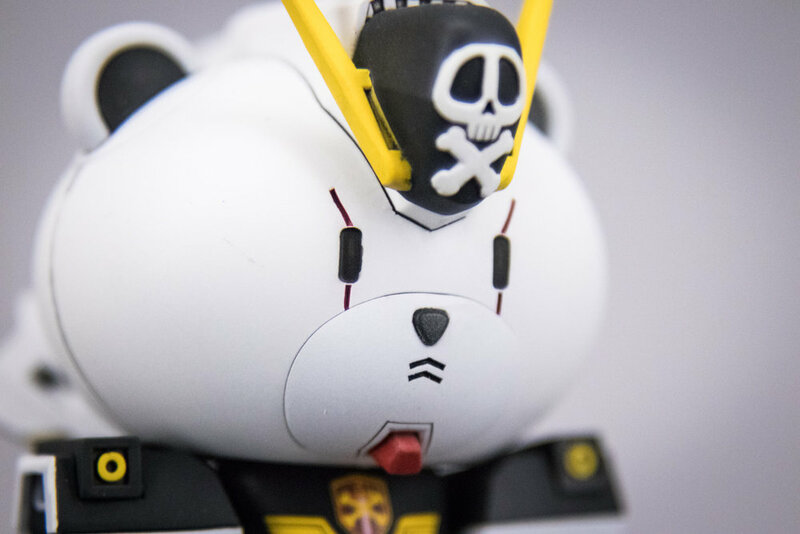 Metal details were added to both the top and bottom chest cannons. 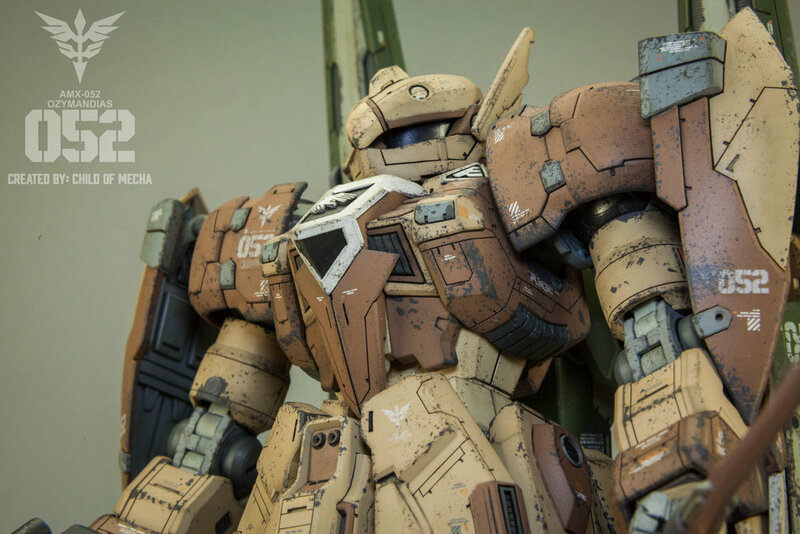 The torso was completely re-sculpted from the original resin piece and clad completely in styrene sheet. 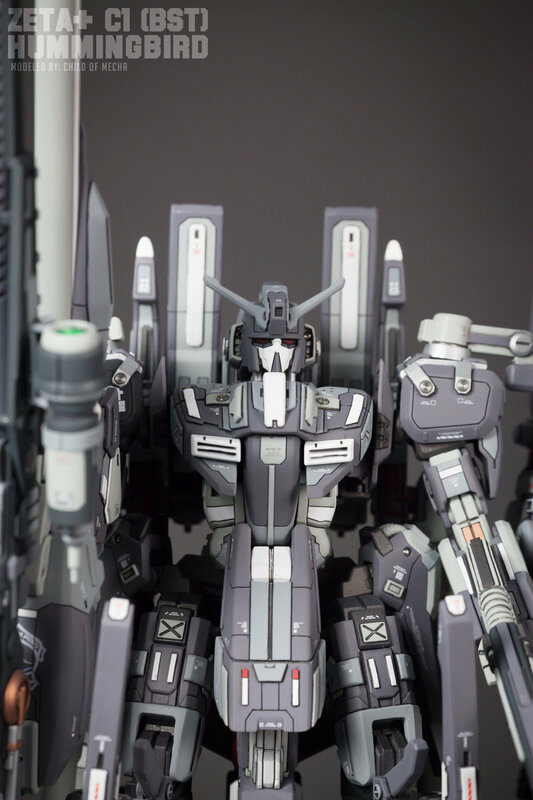 The piece was completely detailed with raised styrene and panel lines. 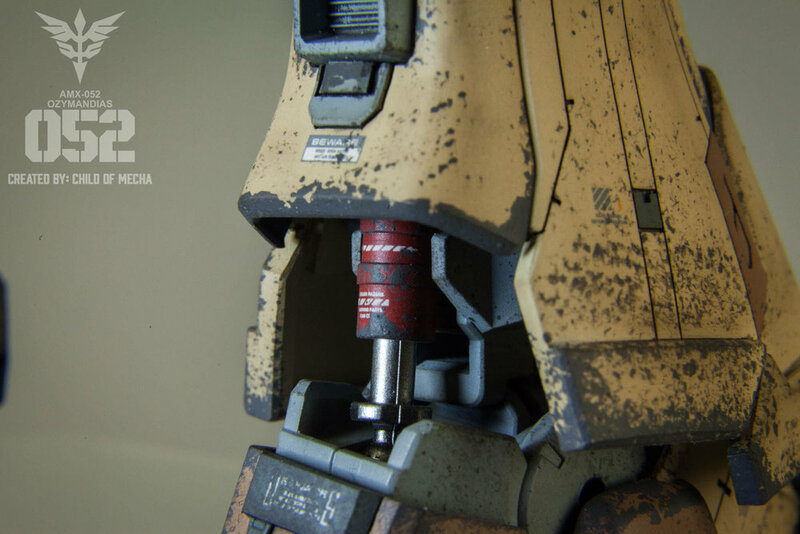 The back of the piece also features a mechanical spine detail as well. 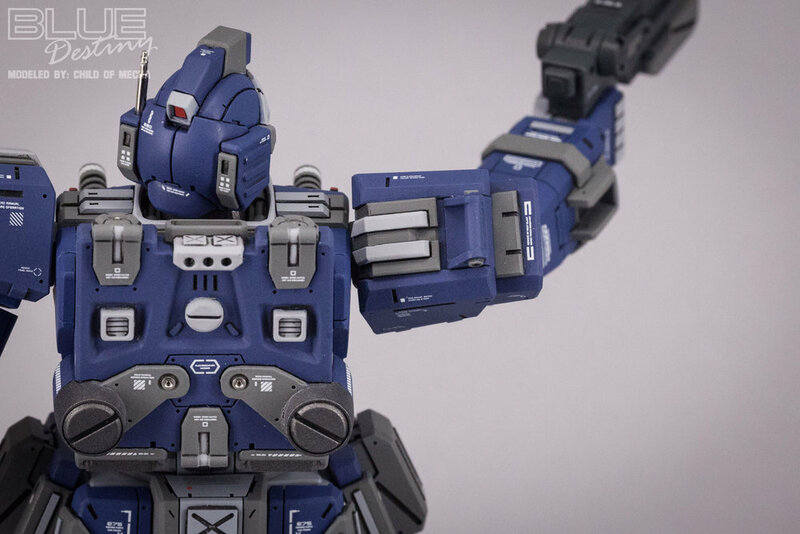 Strapping detail and new panel lines were added to the arms as well as completely new wrist mounts for the hands. 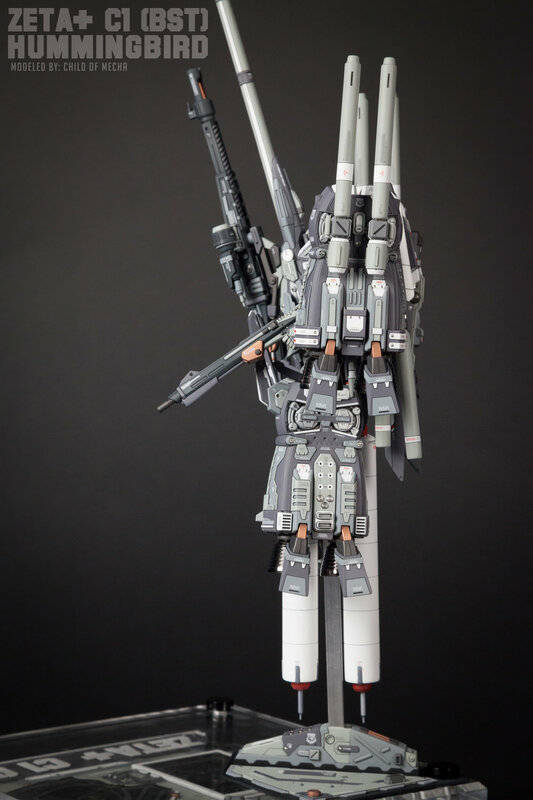 The original hands have been replaced with static pose Kotobukiya hands and the hand armor has been detailed with reinforced knuckles. The skirts have added styrene sheet cladding and added panel lines. 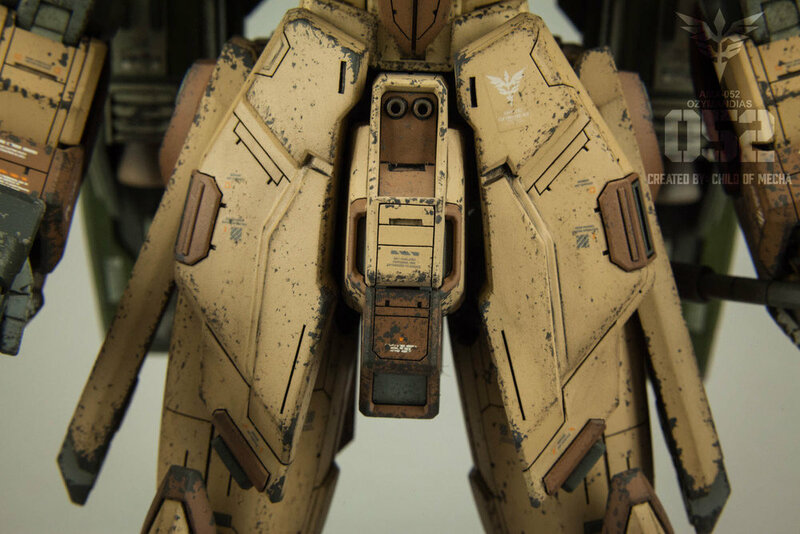 The back skirt features small metal details as well. 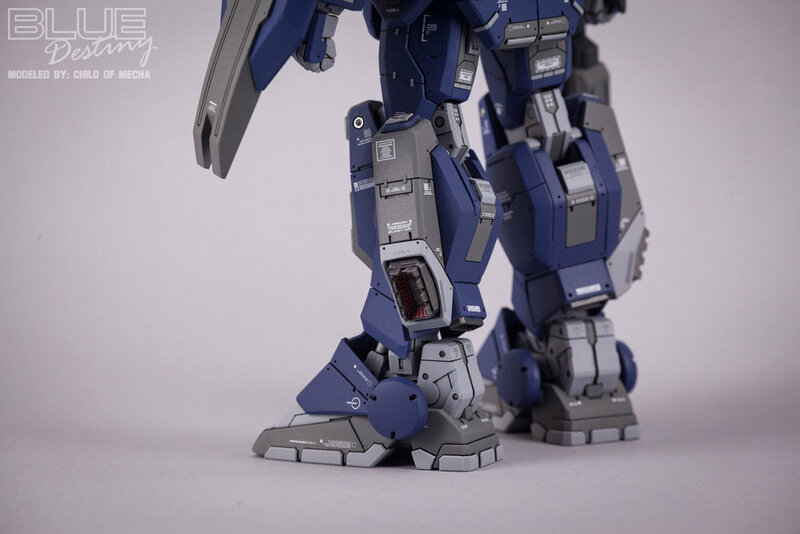 The upper legs have been widened by 1mm each and brand new panel lines and latch details were added to each, as well as a new strapping on the front and back of the legs. 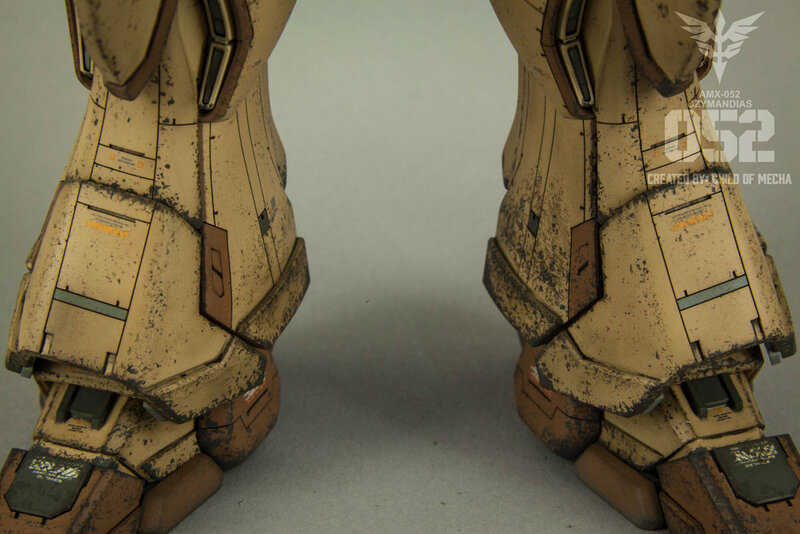 The armor on the lower legs has been re-shaped in places for better fit and look. 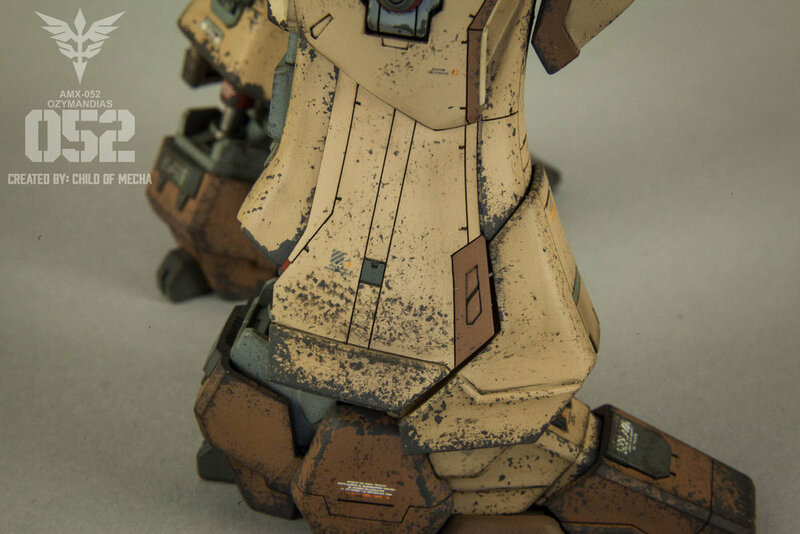 Styrene detail has been added to the knee and shin areas as well as the calf and outer side areas. 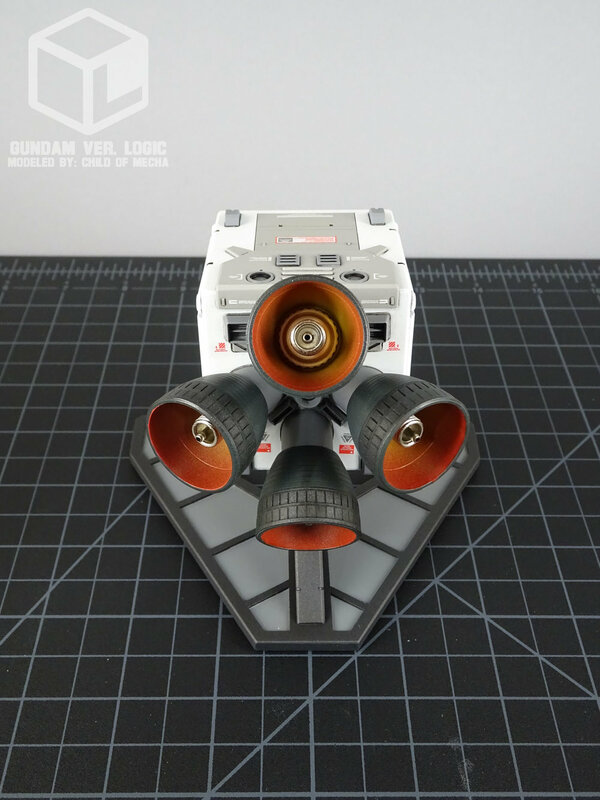 The side thruster vents were semi-scratch built out of Kotobukiya vents and styrene sheet. 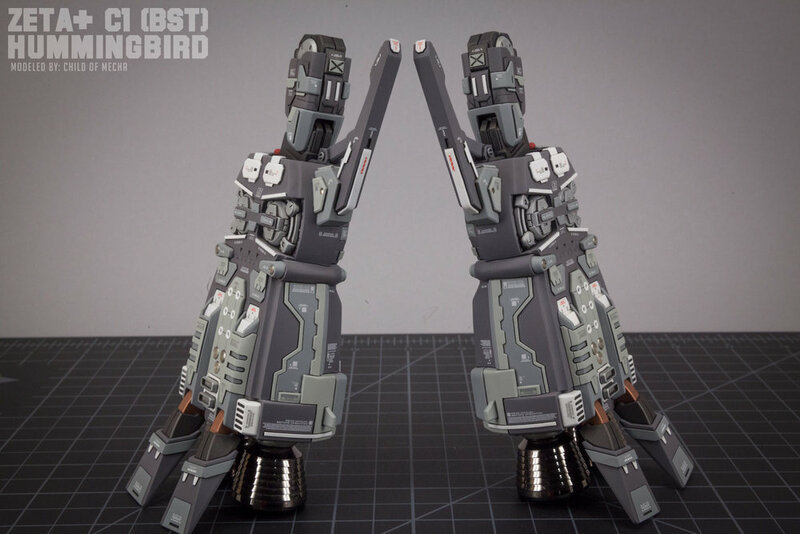 The original feet were scrapped and replaced with stock plastic feet, then clad in plastic sheet. 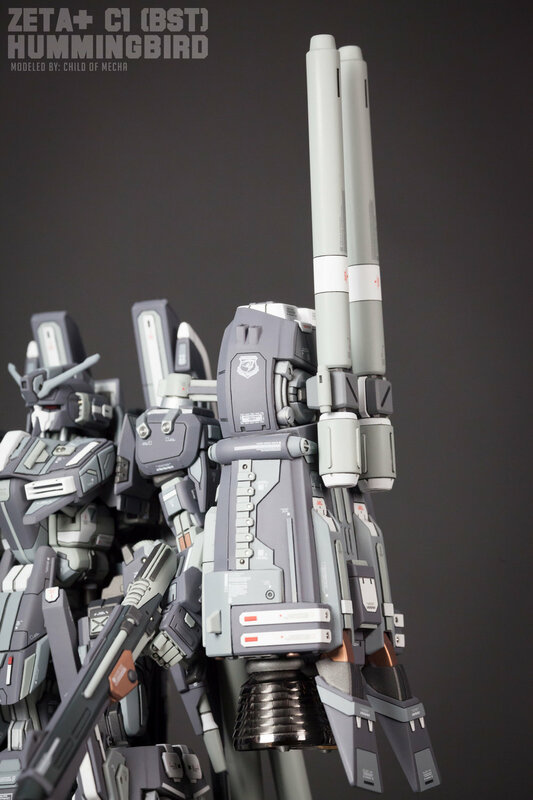 The backpack has added metal details on the sides and back and also features styrene detail and Kotobukiya details as well. 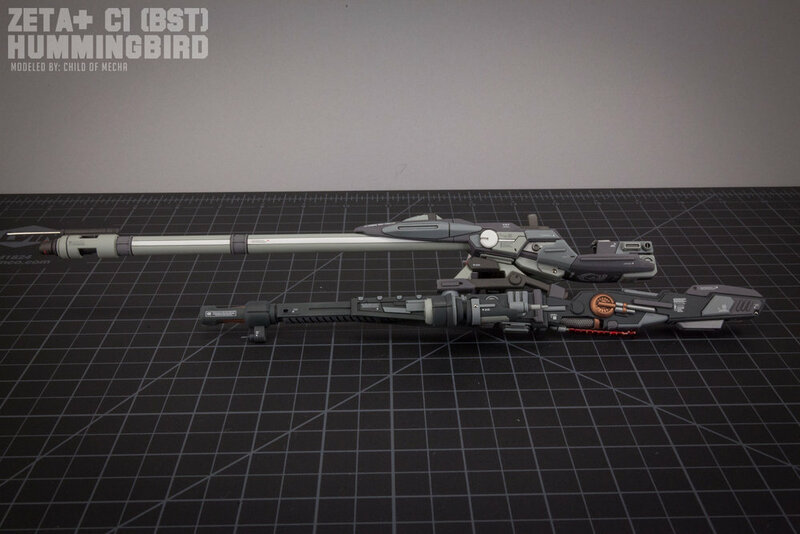 The muzzle of the gun was cut off and replaced with a new scratch built muzzle out of styrene tube and Kotobukiya round molds. Small strip details were also added each of the three magazines. 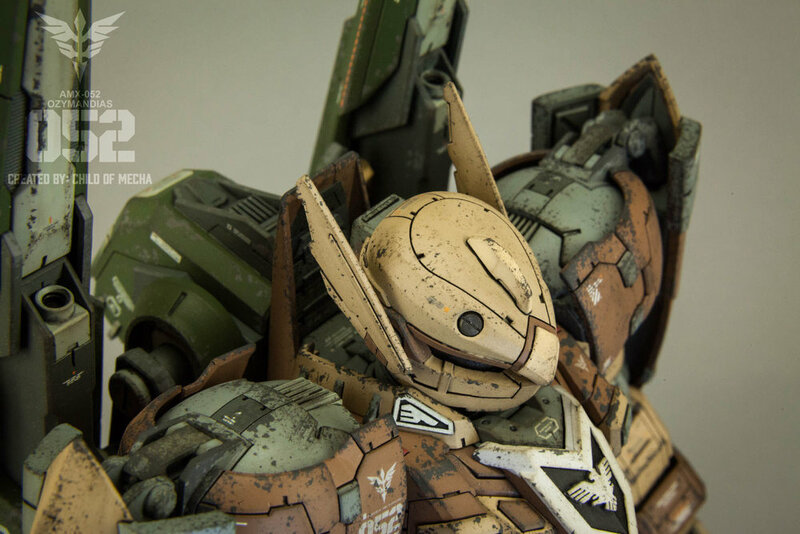 The shield body was completely scratch built our of styrene sheet and strip. Kotobukiya parts and some salvaged parts from another shield were also added. The entire piece has been primed with Mr. Surfacer 1000. 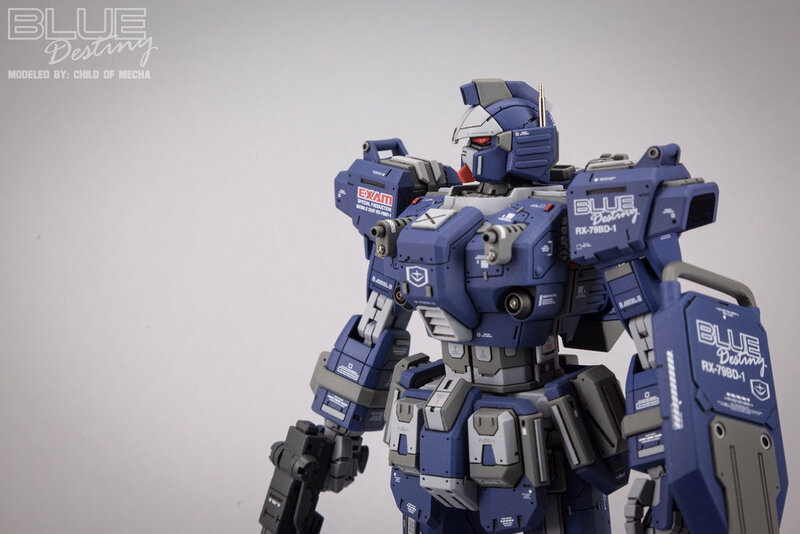 The blue was the original blue that I used when I originally built the first version. All other colors are Mr. Color. 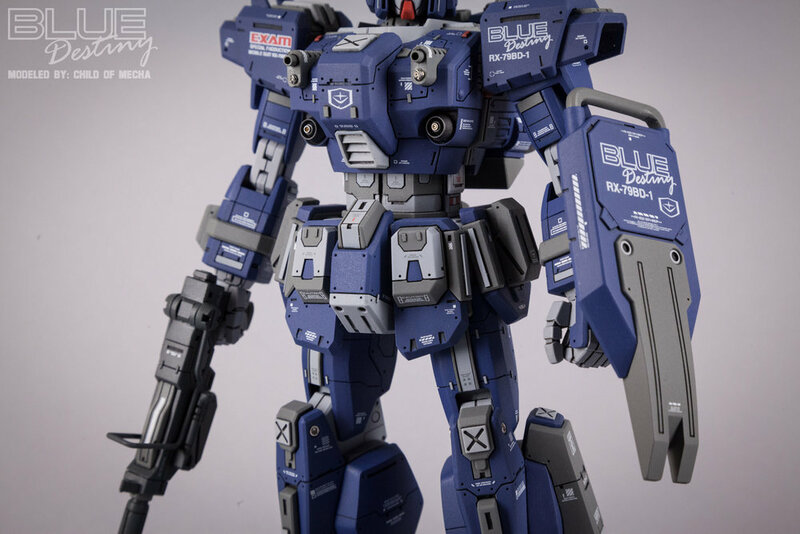 The decals are a combination of custom made and Hi-Q decals. 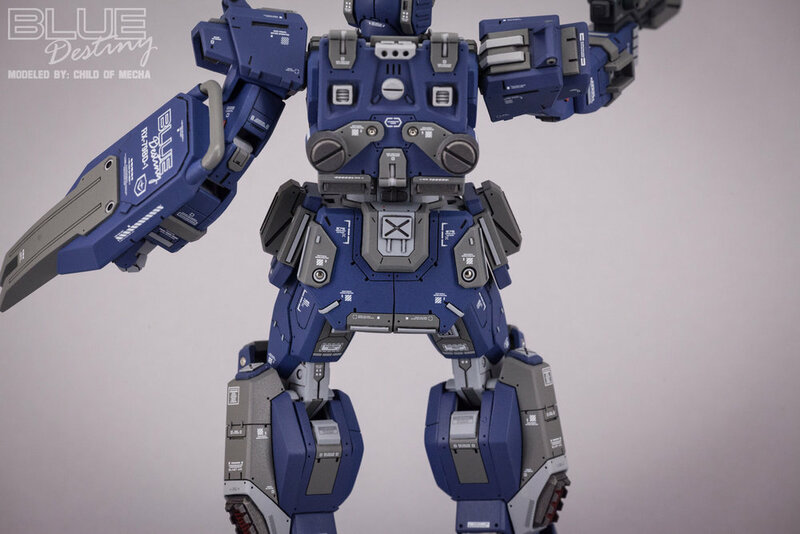 The last picture in this gallery shows a side-by-side comparison of both version of the Blue Destiny, so you can see all of the upgrades. I hope you enjoy it! 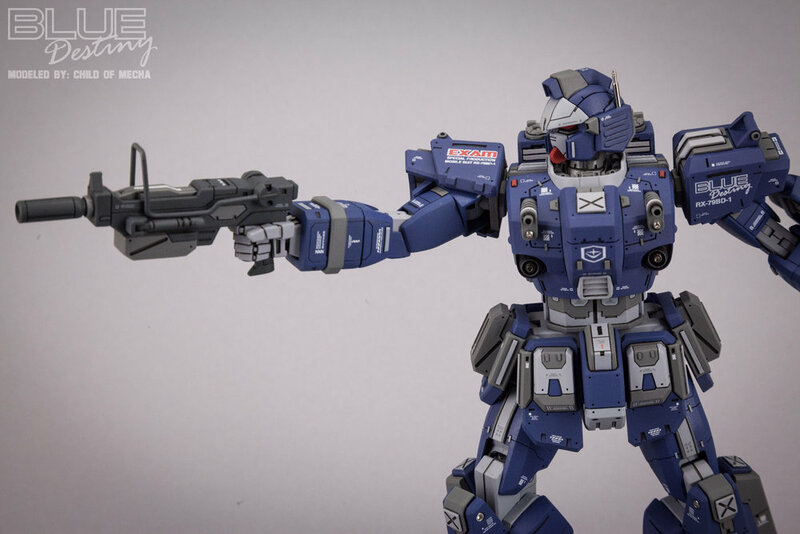 Link to the Original Blue Destiny gallery HERE. 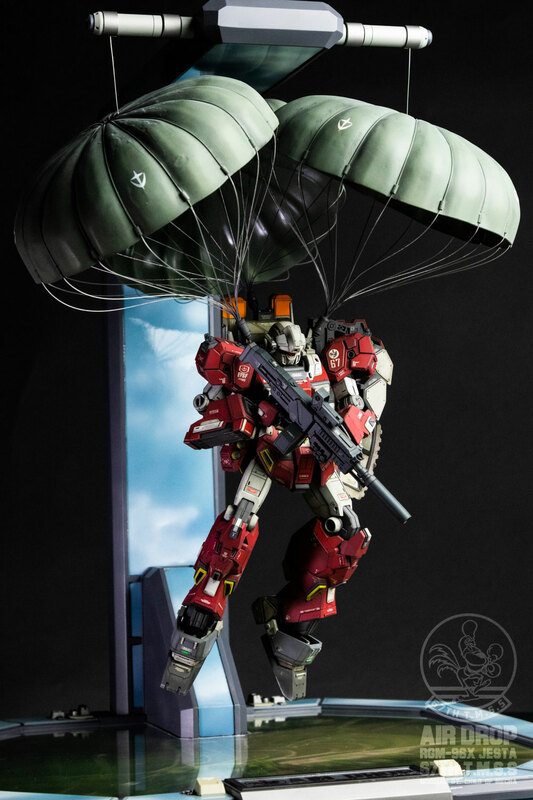 If you'd like purchase Blue Destiny apparel, accessories or poster sized prints to hang on your wall, you can buy them in various sizes in my online store! The Hummingbird has been a labor of love for the past four years. It’s been my focus and my passion. 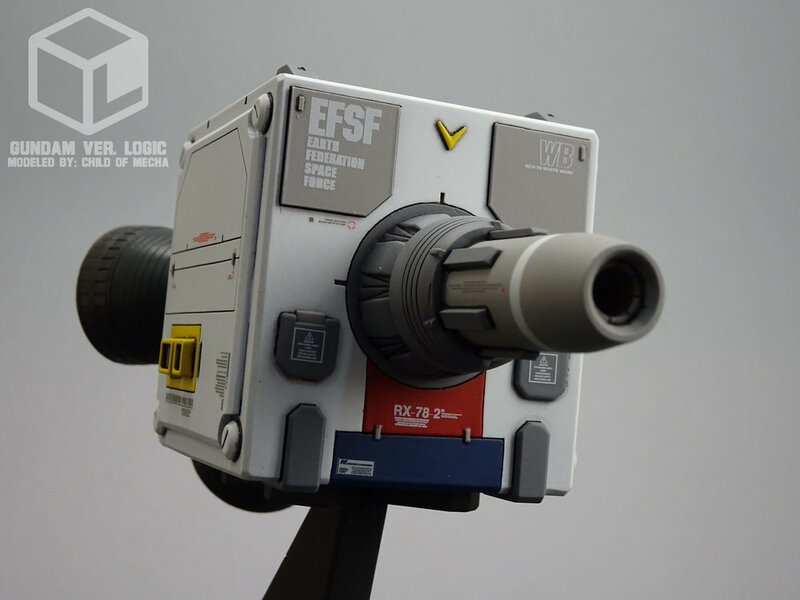 It has changed and evolved many times over and gone through several different re-models. 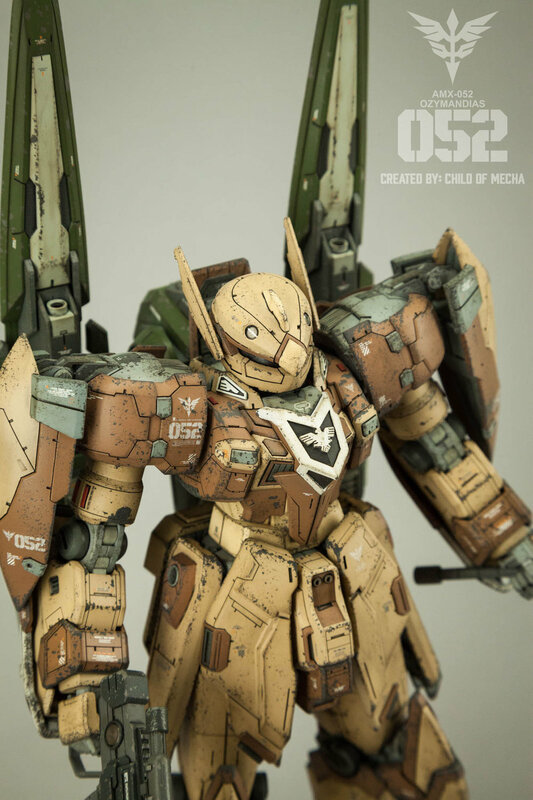 A wide array of skill sets has gone into making the Hummingbird as well as a wide variety of materials. 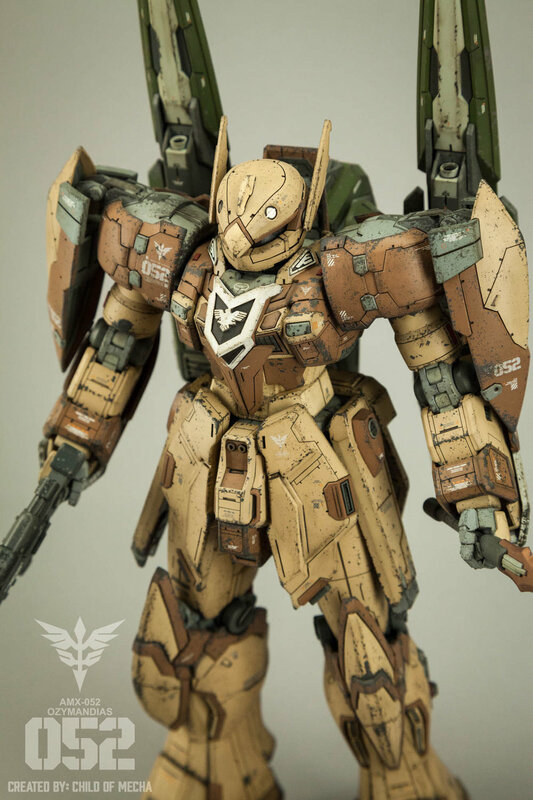 There’s not a single piece on the model that hasn’t been modified in some way. 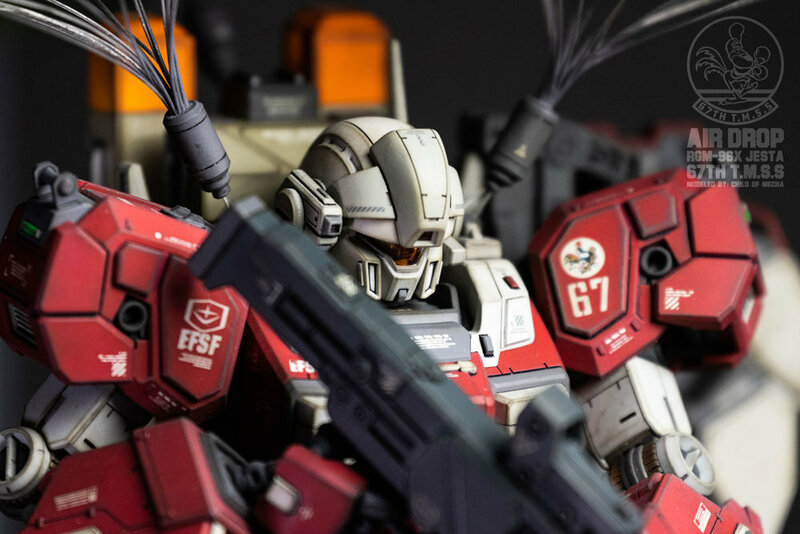 Some pieces have added panel lines or modifications for better fitment, while other pieces have been extensively modified, or completely scratch built. An eclectic mix of kits has gone into making the Hummingbird as well. 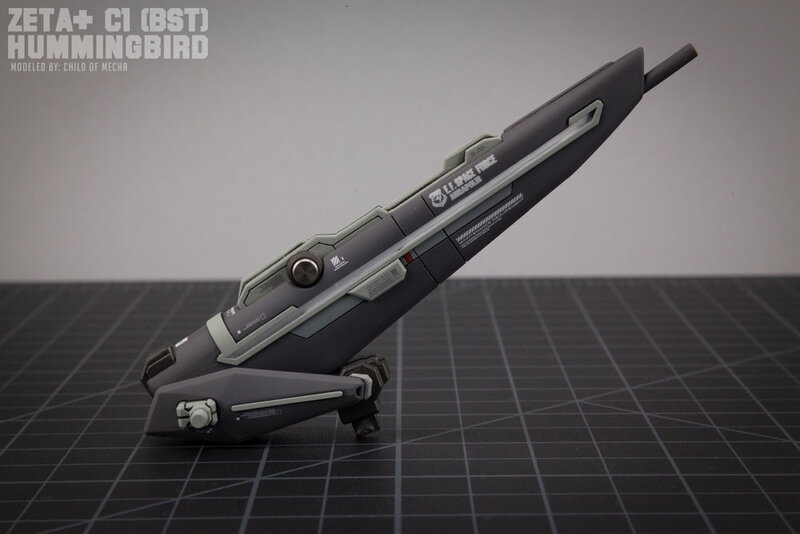 The model has been crafted in my own vision of what I think a more refined version of the proposed prototype Hummingbird might have been like, so it’s not 100% faithful to the Katoki line art. 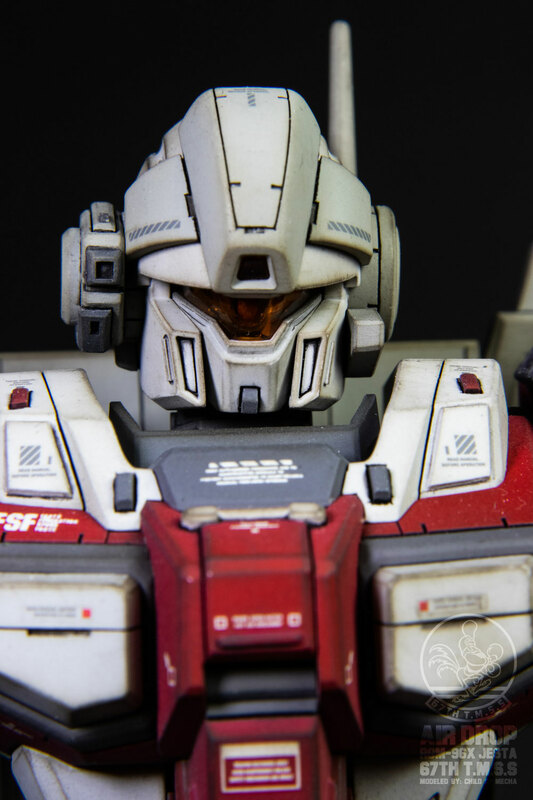 Starting with the head, I elongated it by 2mm to give it a more “Sentinel” look. I cut the “Mohawk” off of the original head and scratch built a more fitting replacement that has added detail and is sleeker in profile. 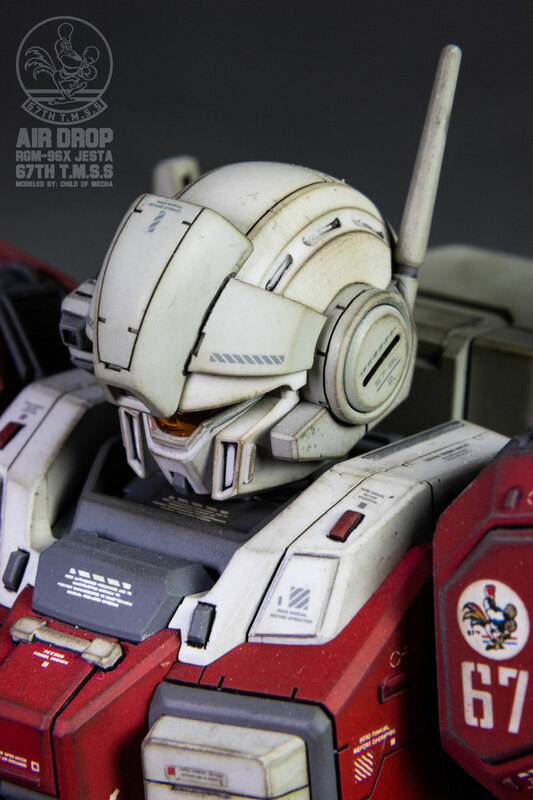 The head also features custom panel lines and plating. 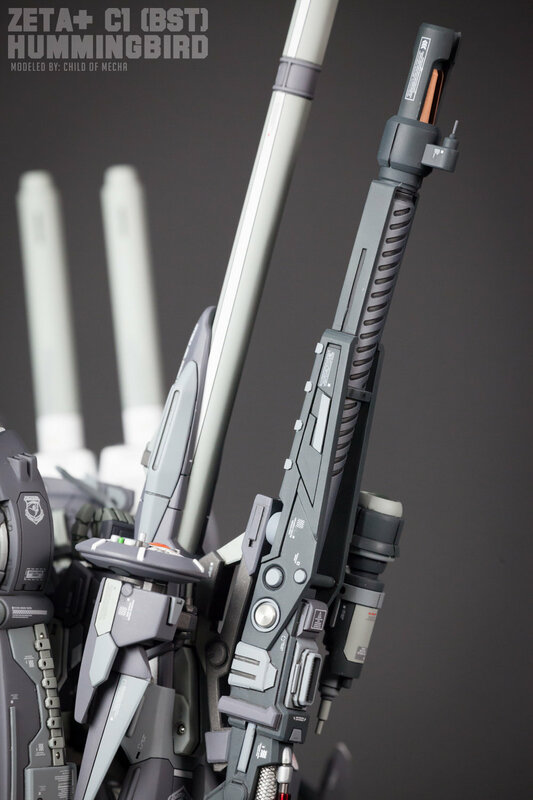 Metal details have been added to the back as well as metal barrels for the head mounted guns. 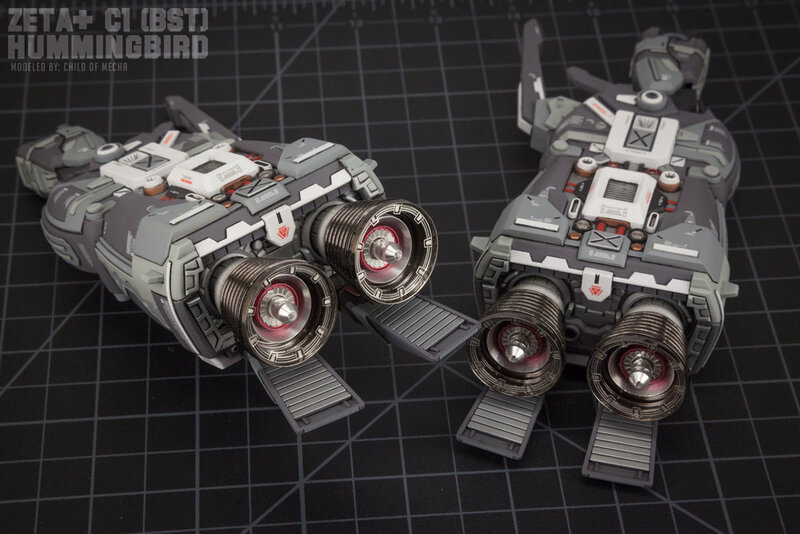 The shoulders have new, scratch built, mounting assemblies added to the top for the booster support arms and have added metal and scratch-built details. 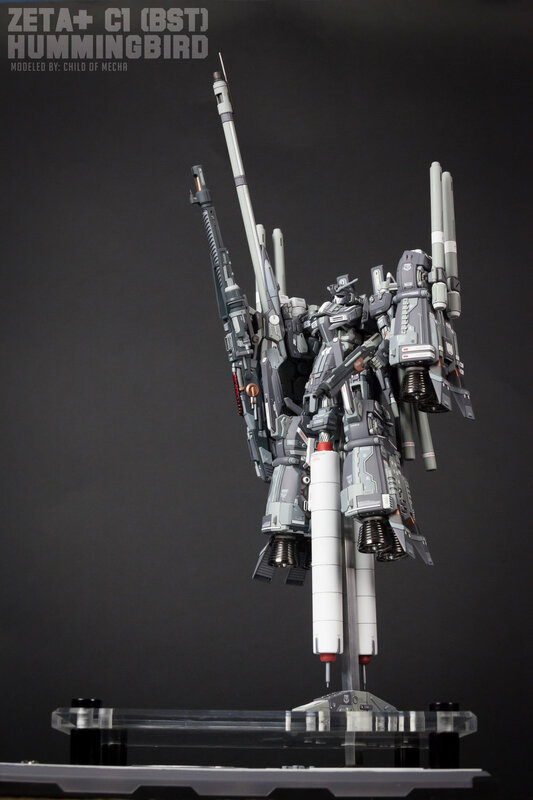 The booster support arms were completely scratch built and resin cast to get two copies. 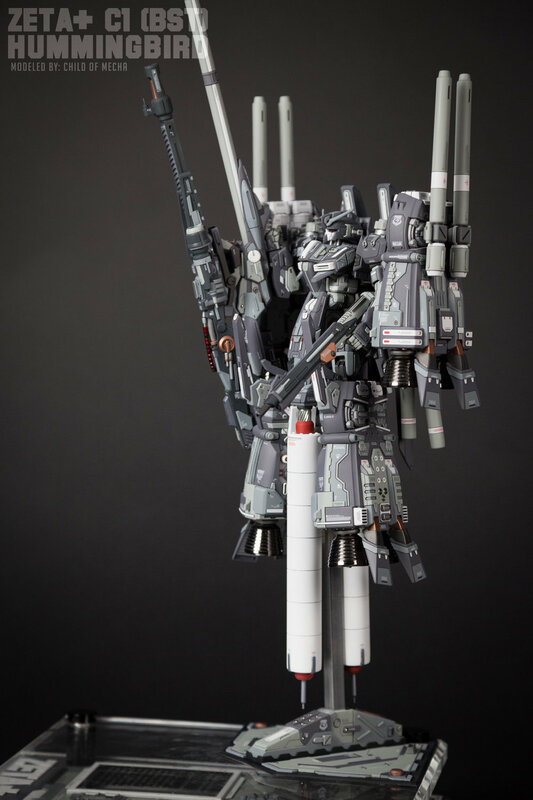 The shoulder boosters, originally from the Master Grade Ex-S Gundam, have been heavily modified and remodeled. 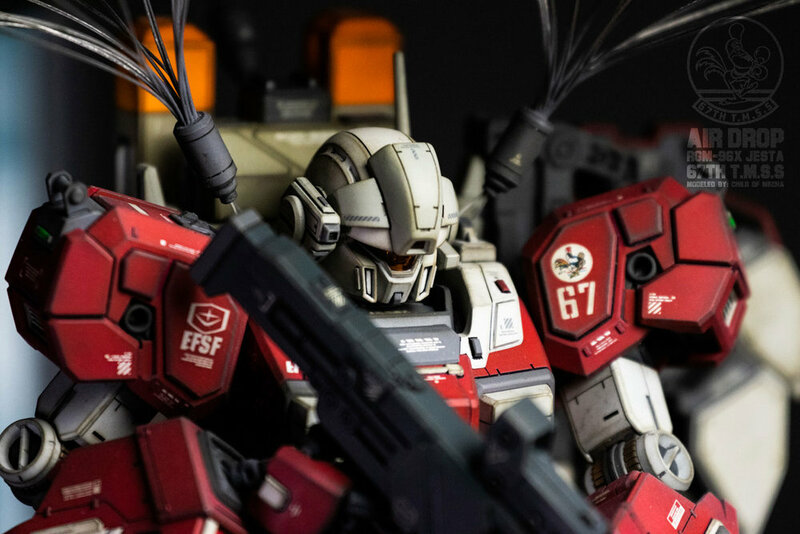 The inside has been plated with plastic sheet to achieve a heavily armored look. 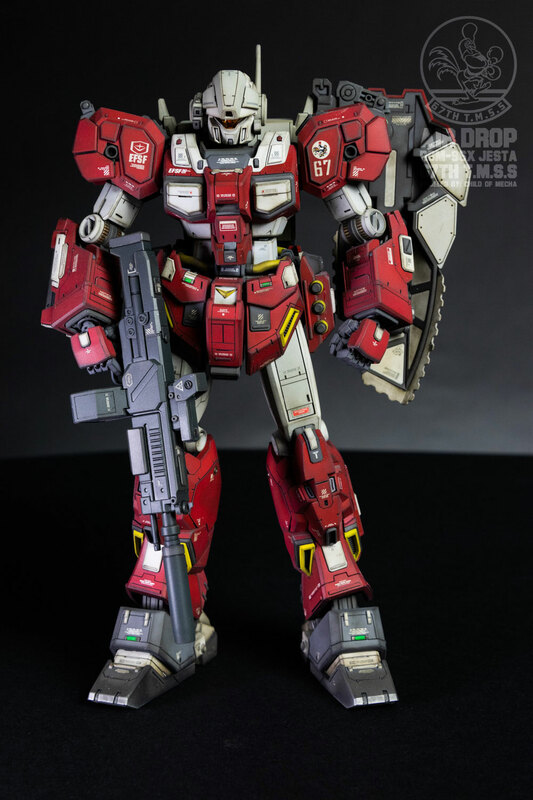 Option parts and scratch-built details were added as well. 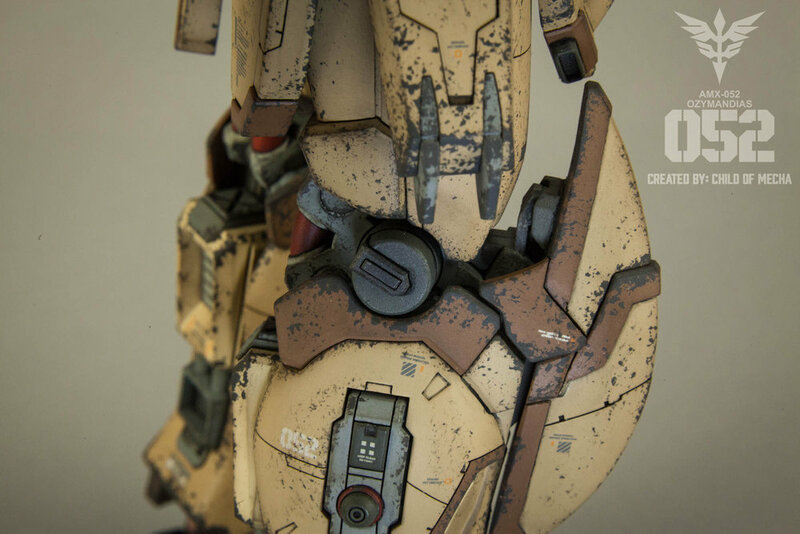 The sides feature added details down the side that were completely scratch-built. 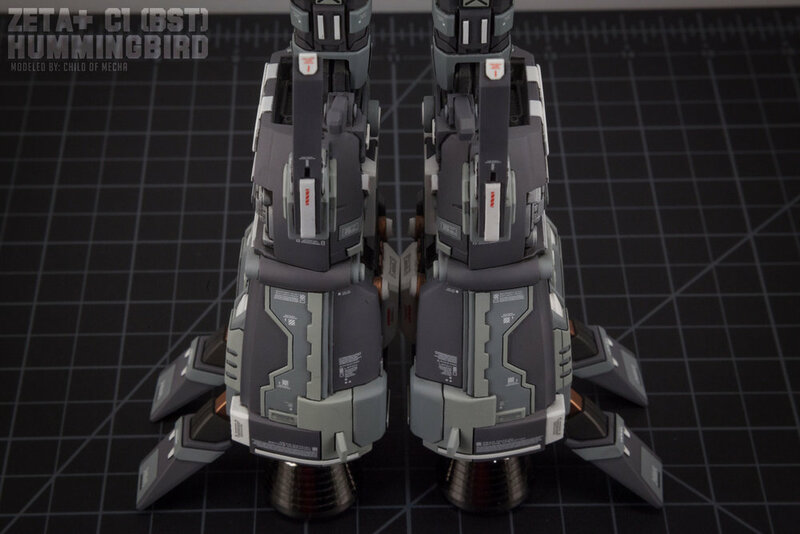 The front of each of the shoulder boosters has been detailed with option parts, metal details and more scratch-built detail. 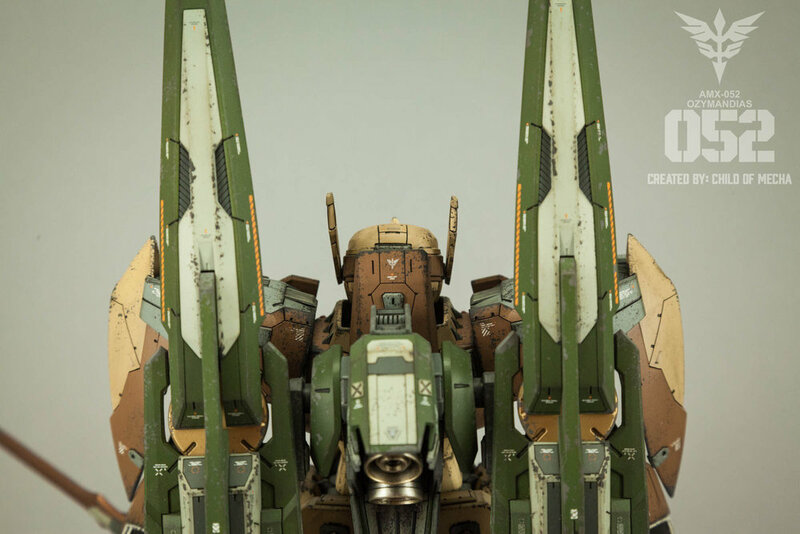 The original cannon barrels were scrapped and replaced with scratch-built barrels that are much longer. 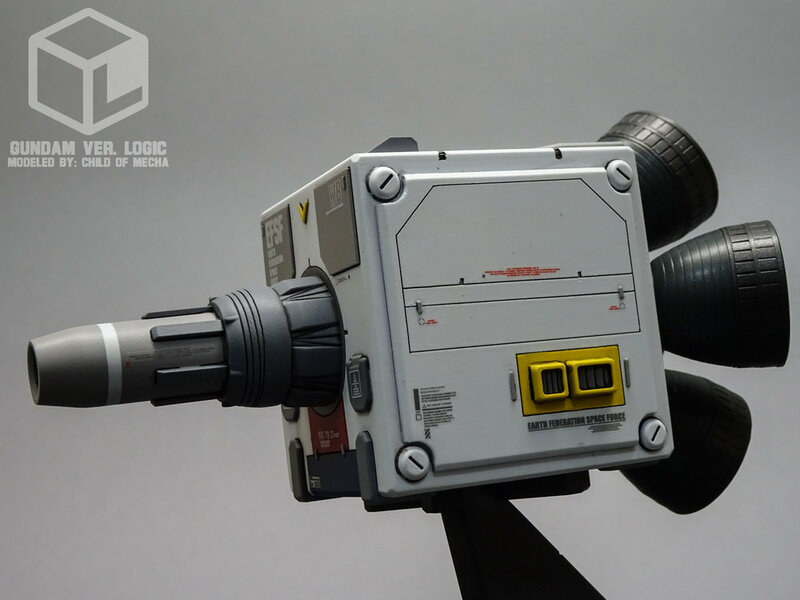 Aluminum thruster bells were also added. 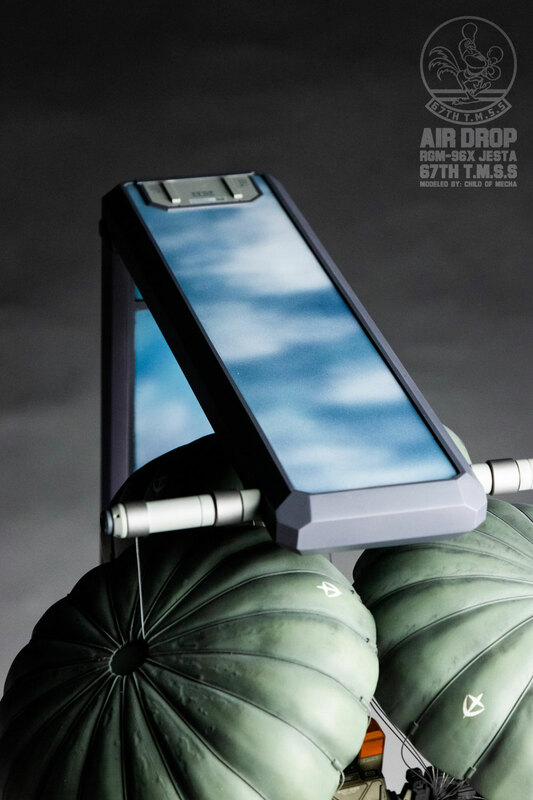 The back-stabilizing binder has been significantly modified from its original version. I cut a rectangular hole in the top of the binder and scratch built the detail to fill the void. I also plated and detailed the side of the binder as well. 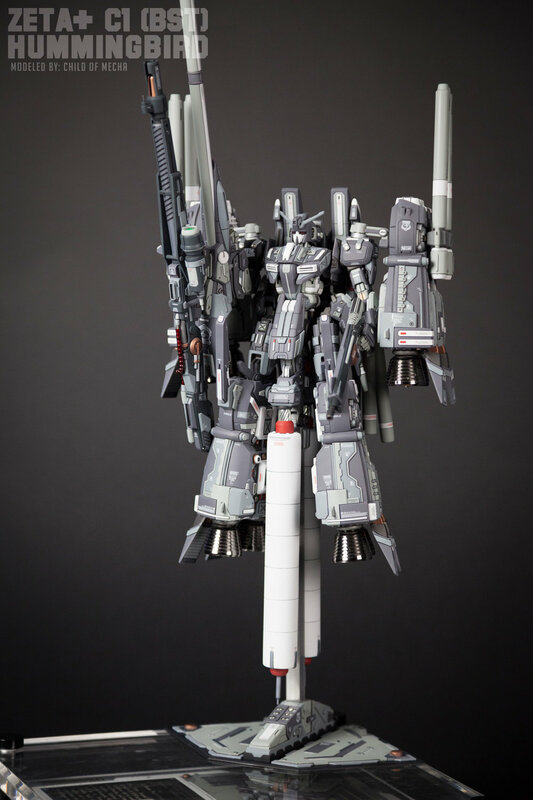 The back boosters were scrapped and replaced with two resin cast copies from a scratch-built original. 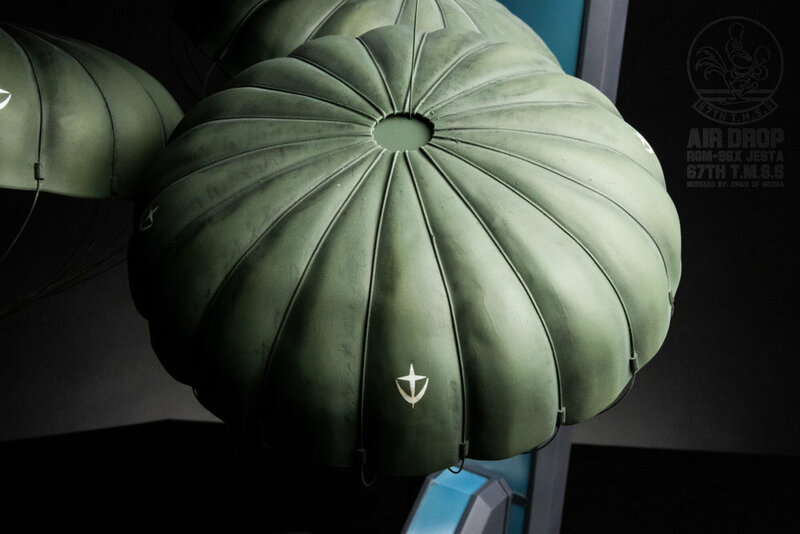 The thruster bells on the two back boosters are modified inflation needles (for inflating footballs). 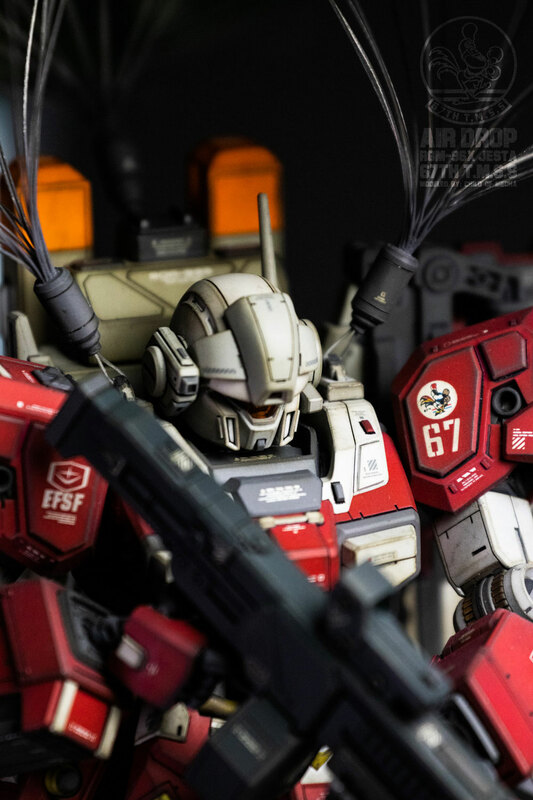 Each has custom panel lines and scratch-built details. 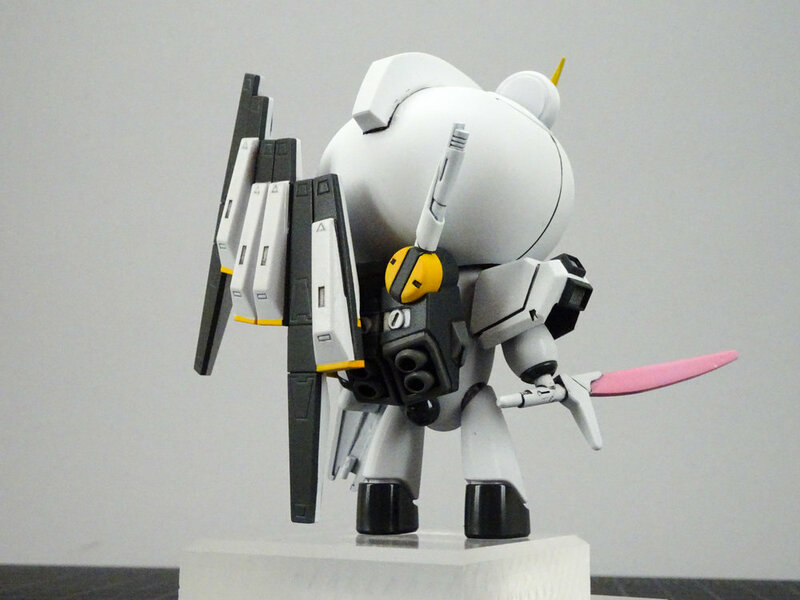 The wings also have new panel lines, option parts, and metal details. 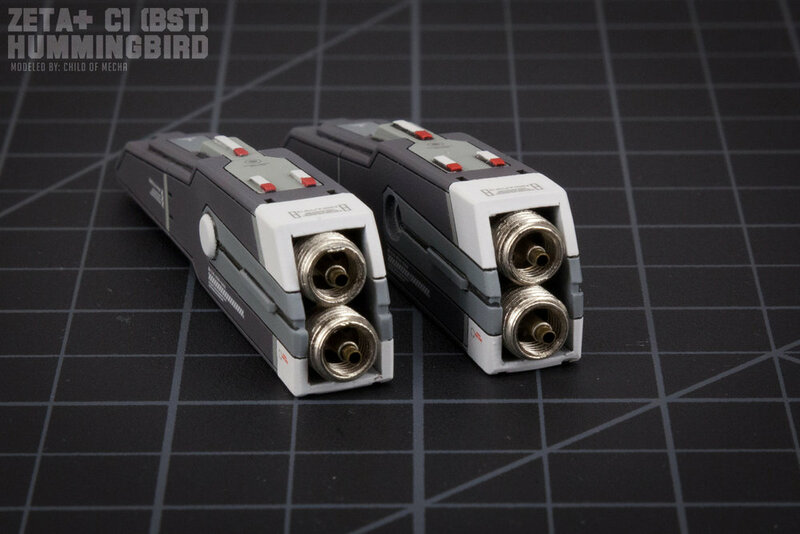 The lower parts of the wings are from High Grade 1/00 Freedom Gundam and are fully detailed. The wing mounted fuel tanks were replaced with aftermarket fuel tanks that are longer and have been customized and detailed. 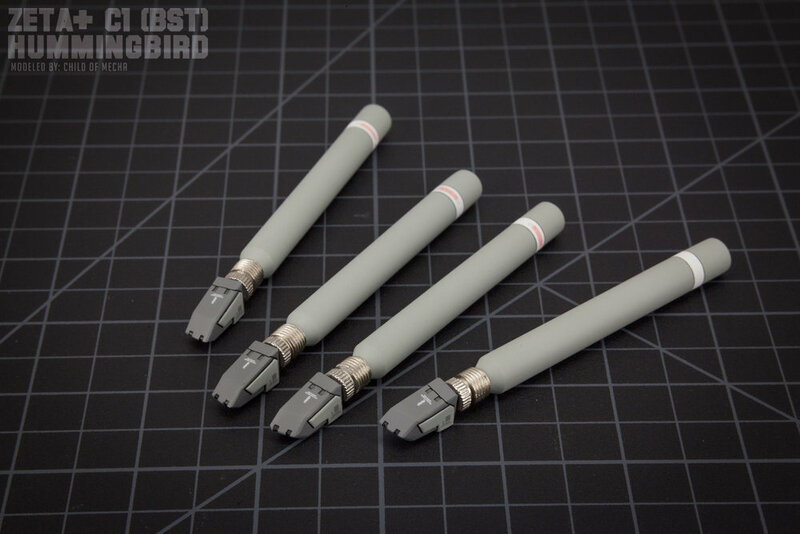 The connectors for the fuel tanks were scratch built and resin cast for 4 duplicates for each side (8 in all) and the middle of the connectors are the threaded parts from inflation needles. 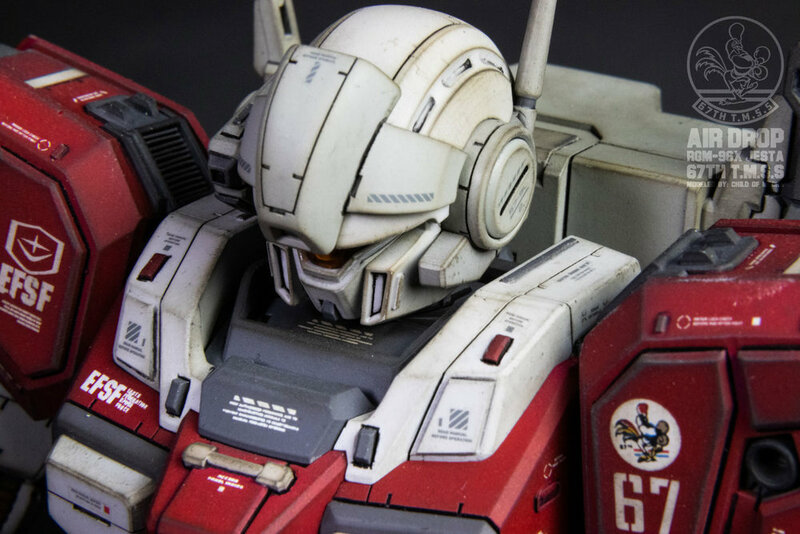 The upper chest has been heavily modified to add custom panel lines, plating, metal details and more scratch-built details. 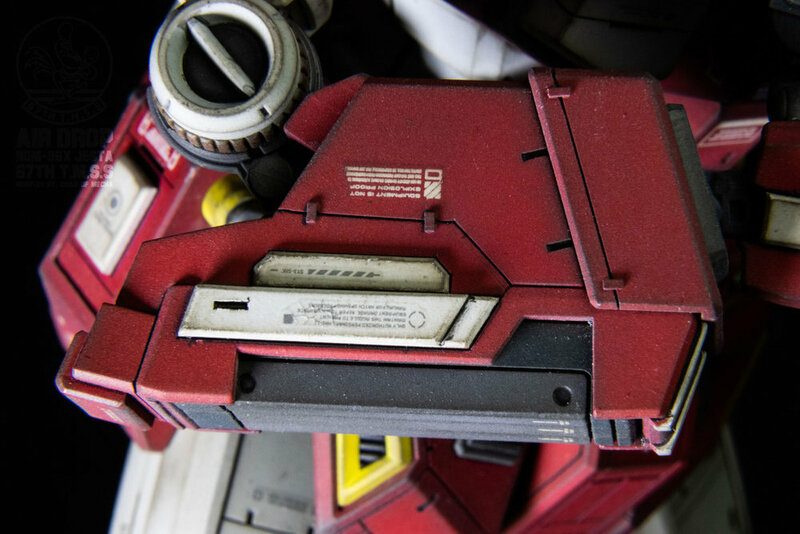 I’ve extended profile of the chest by using epoxy putty and plastic sheet. The cockpit hatch has been modified by adding panel lines and plastic accent strips. The chest vents have an added fin to the middle that was made out of plastic strip. 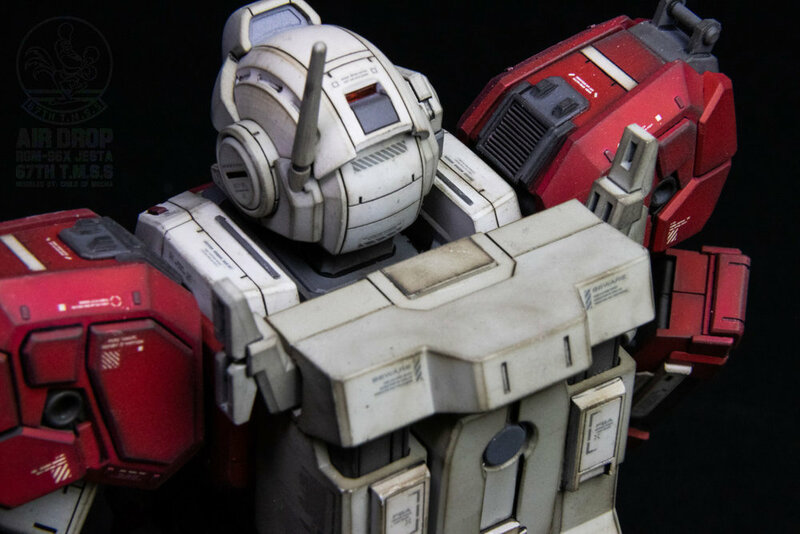 The upper torso (just below the chest) that used to be in two halves has been fused into one piece and features custom panel lines, plating, metal details, and scratch-built details. 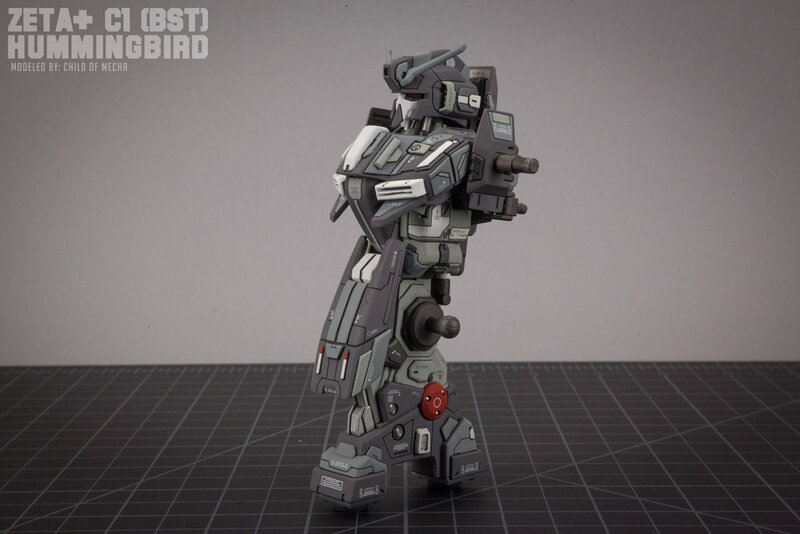 The lower torso has been semi-scratch built and modified from the original Zeta+ lower torso to accommodate the fuel tanks and replicate the elongated look of the Hummingbird line art. 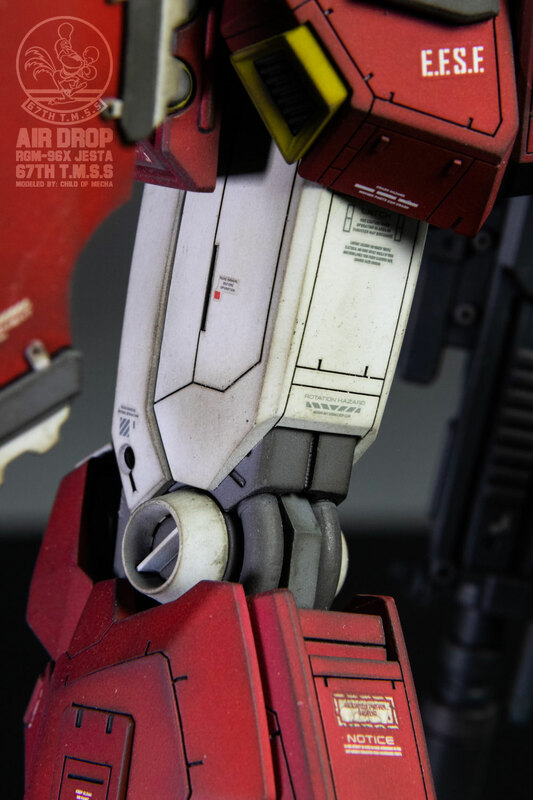 The leg posts were cut from the Master Grade RGM-79G and installed on to the lower torso to match up to the new upper legs. 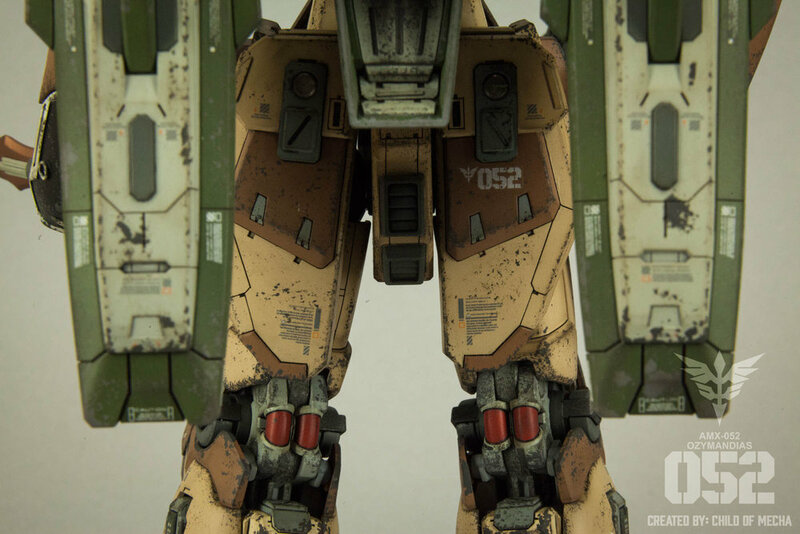 Machine threaded inserts were embedded into the bottom posts of the lower torso to screw the fuel tanks into. 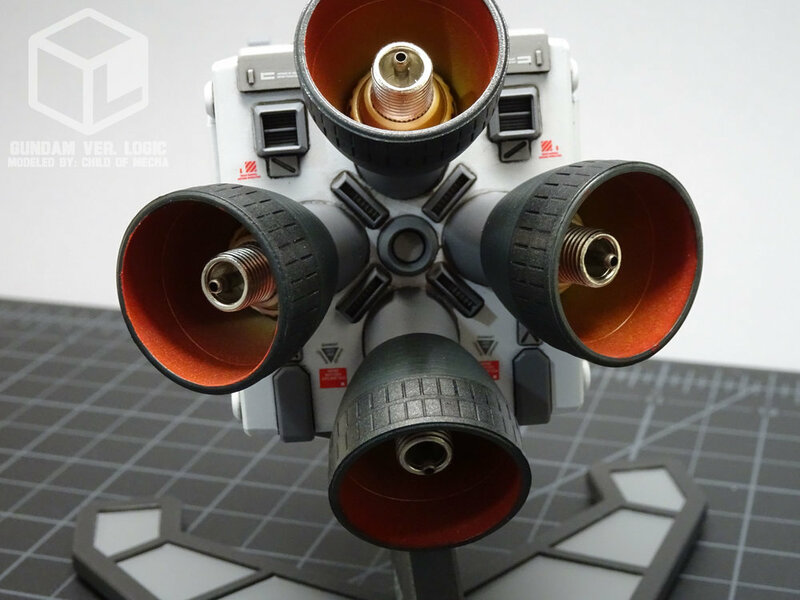 The fuel tanks are completely scratch built using PVC pipe. I fixed a machine screw into the top of each fuel tank to screw into the threaded inserts located at the bottom of the lower torso. 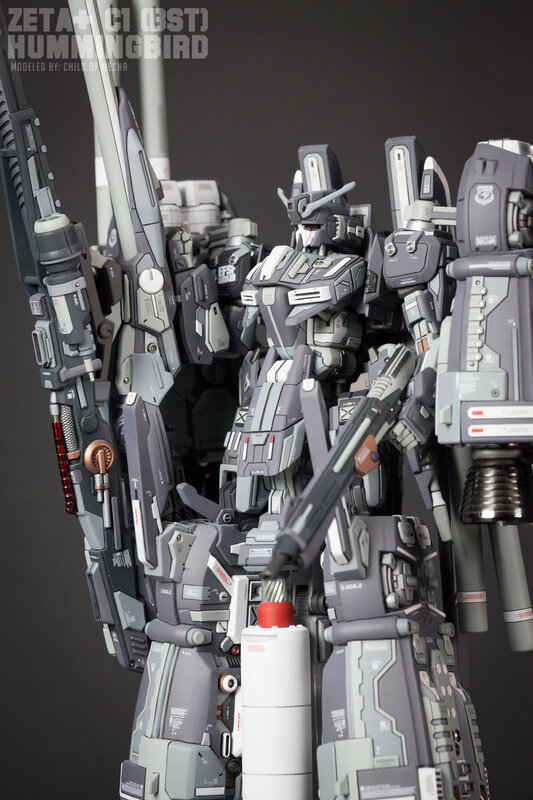 Plastic sheet, option parts and metal parts were added to complete the aesthetic. 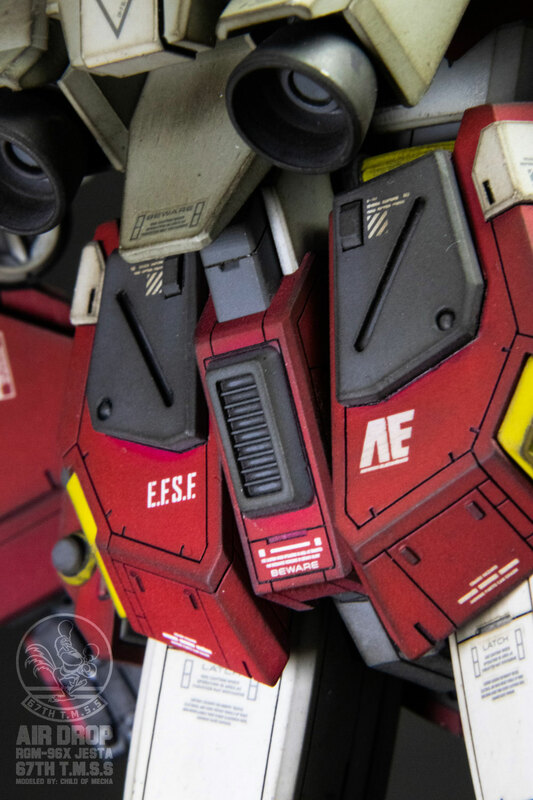 The lower torso armor located on the front of the piece is originally from the Master Grade Zeta 2.0 shield, and has been heavily modified on the outside and features new panel lines and scratch-built details. 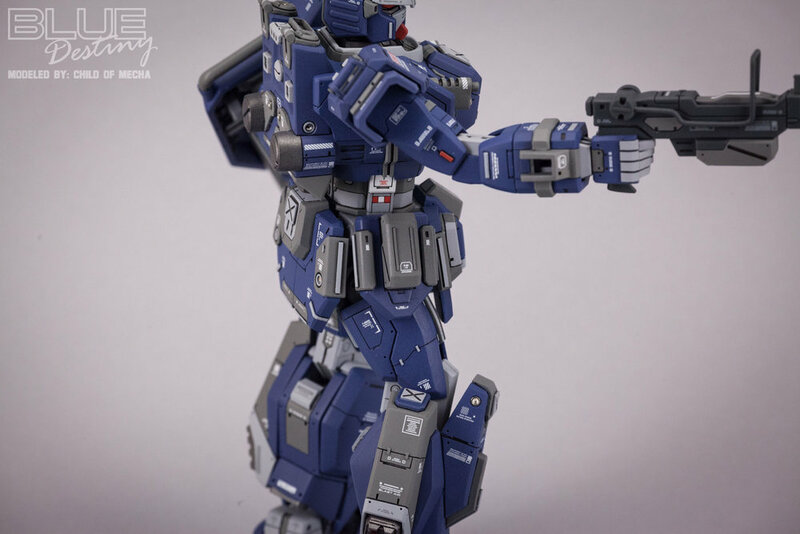 It was also extensively modified on the inside to mount to the existing connection points on the Master Grade Zeta+ torso. 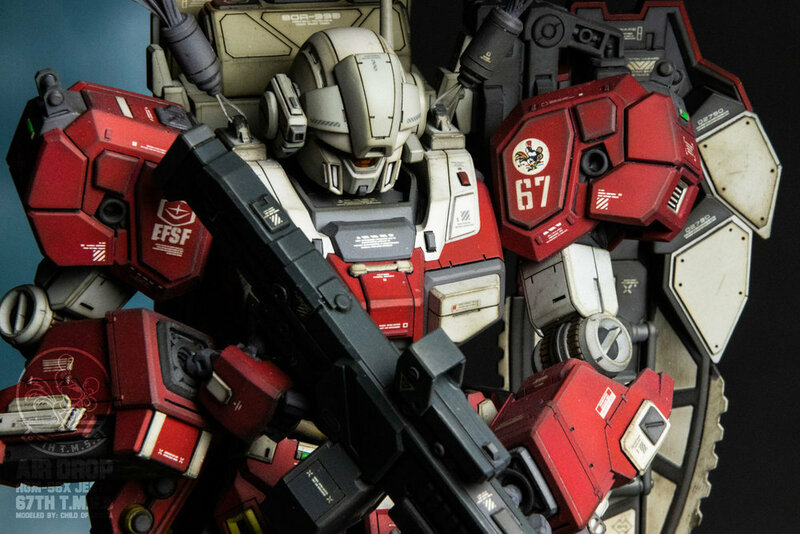 The arms have been customized with new panel lines and plating that changes the overall silhouette. 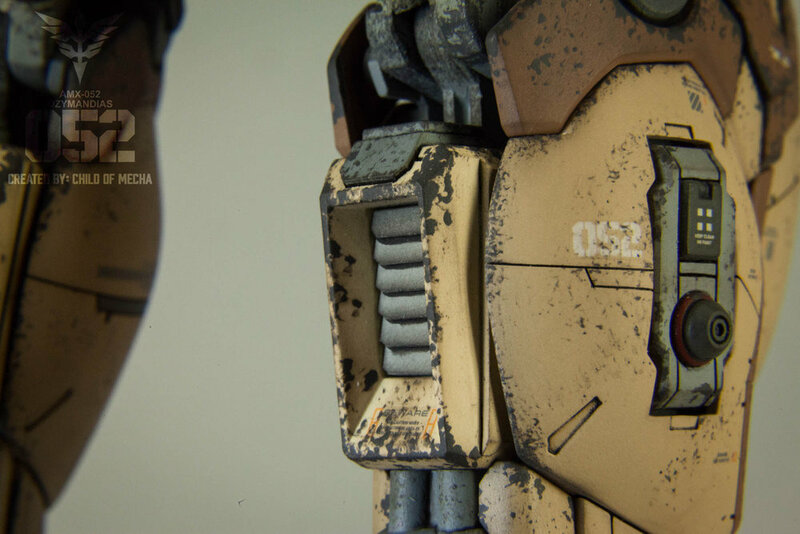 Mechanical details have been added to the top and bottom of each forearm. 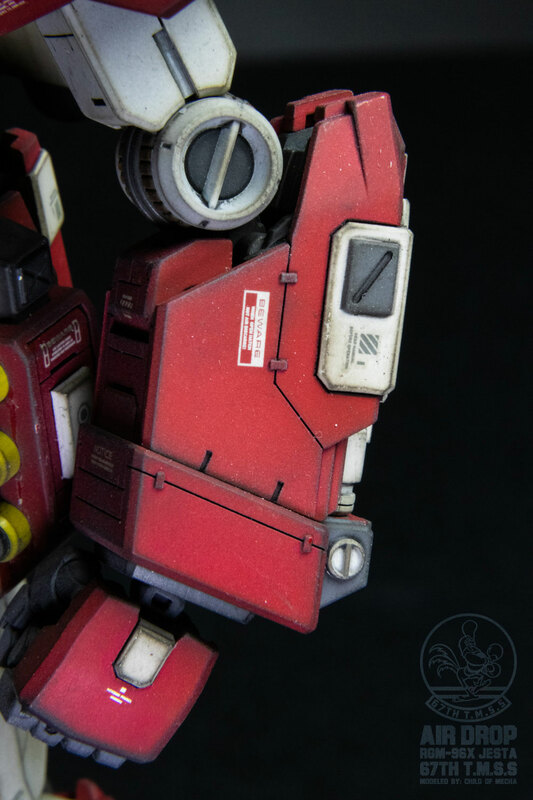 The stock hands have been swapped out for fixed posed hands and the hand armor has been customized to fit and detailed. 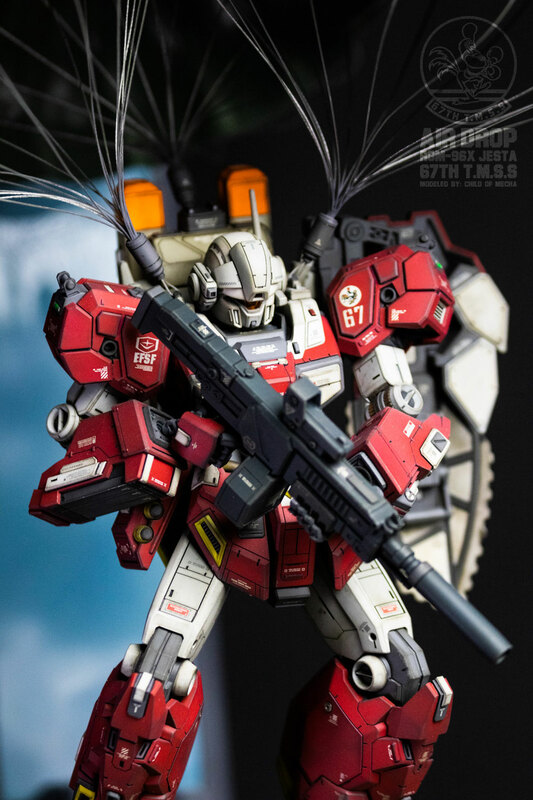 The upper legs are originally from the Master Grade RGM-79G and have been heavily plated for a unique look. 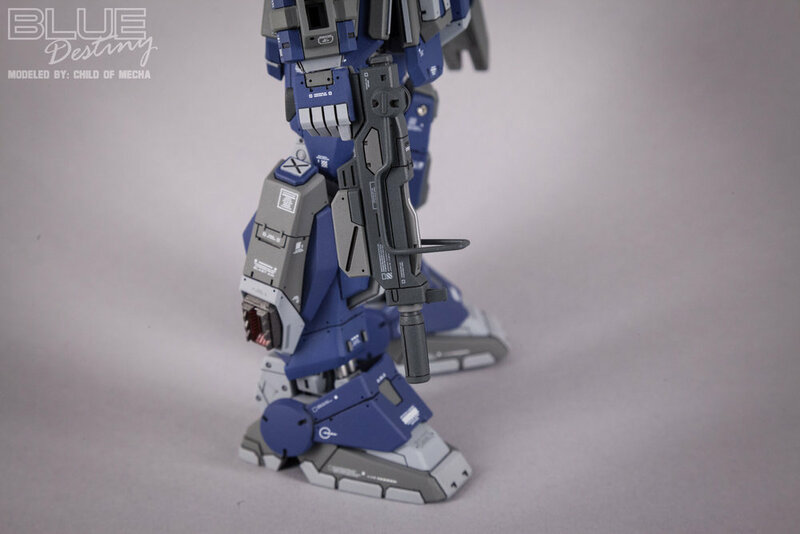 The leg boosters have been significantly bulked up using plastic sheet to get the overall form and further refined to achieve the heavily armored look. 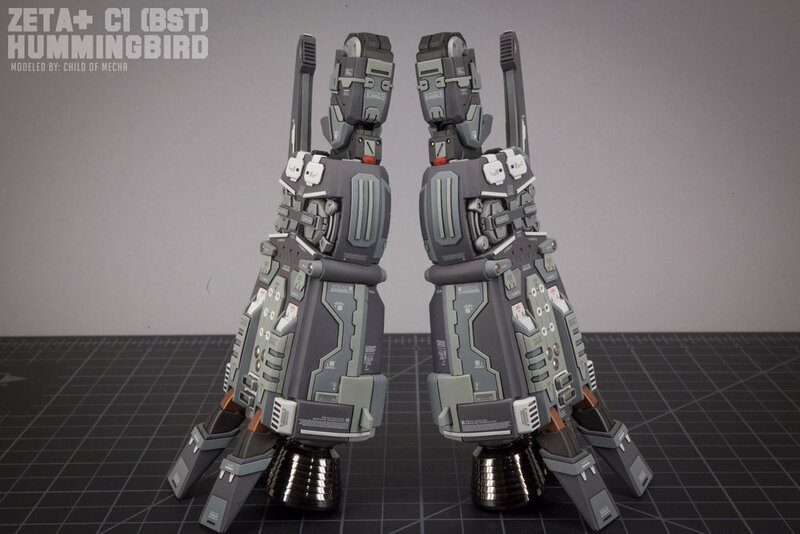 Many details were added to the leg boosters on all sides. 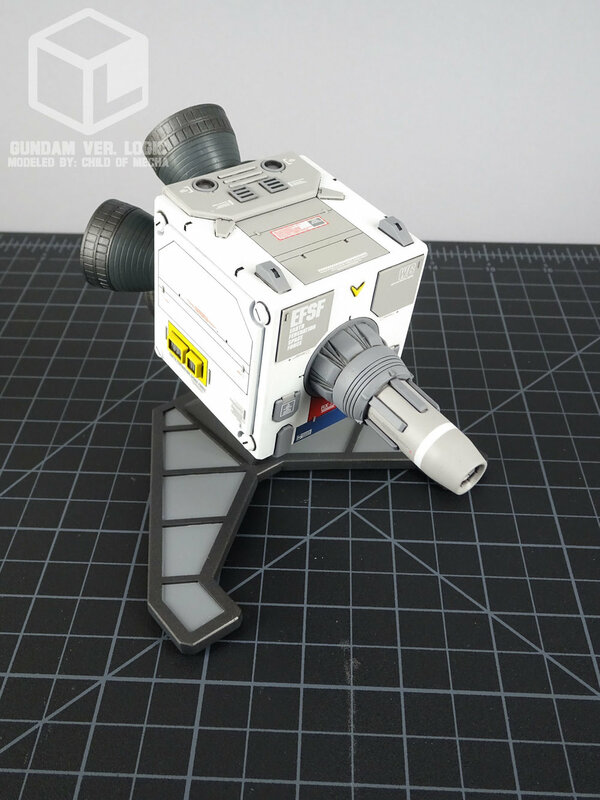 On the inside I’ve added option parts, metal details, parts from other models (including the large central vent that is from the Master Grade Full Armor ZZ Gundam), and other scratch-built details. 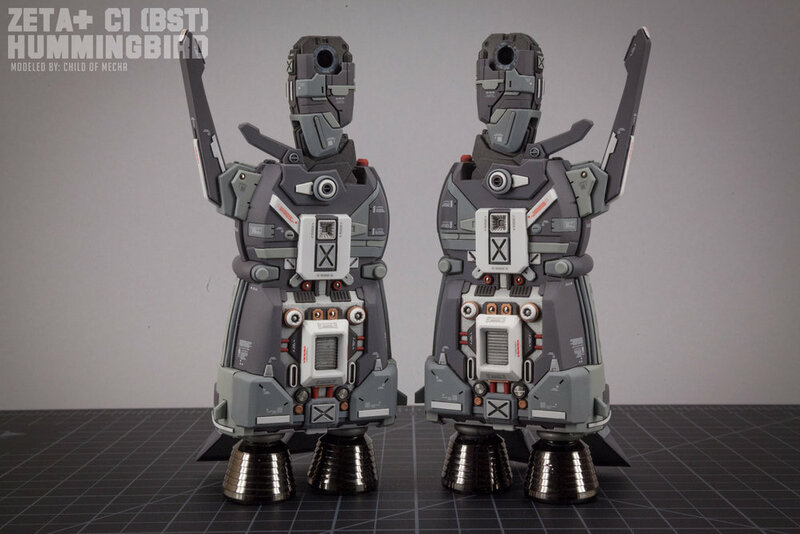 Aluminum thruster bells were added to the boosters to complete the look. 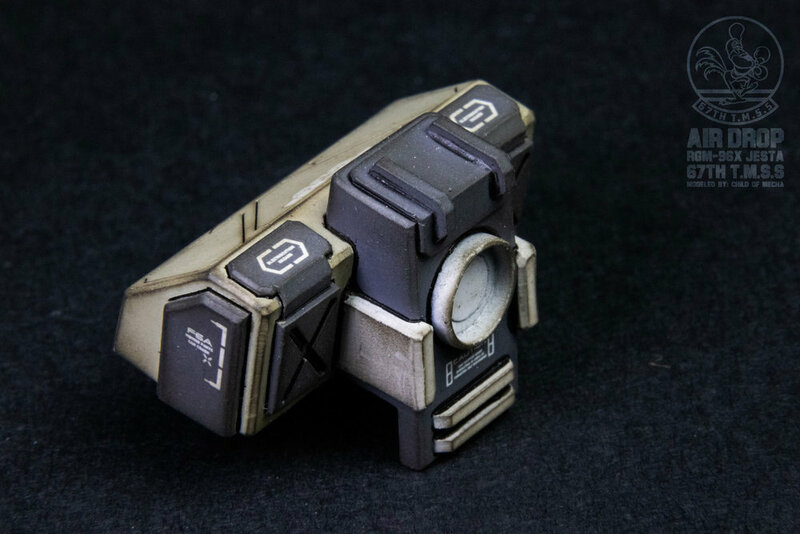 The connection for the thruster bells had to be scratch built and resin cast to make 8 copies. 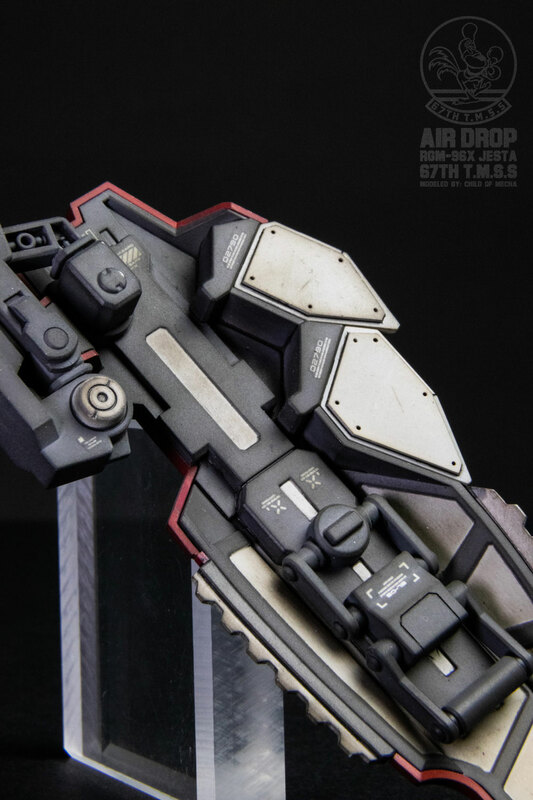 The large front “knee spike” was also fully scratch built and resin cast to get two identical pieces. 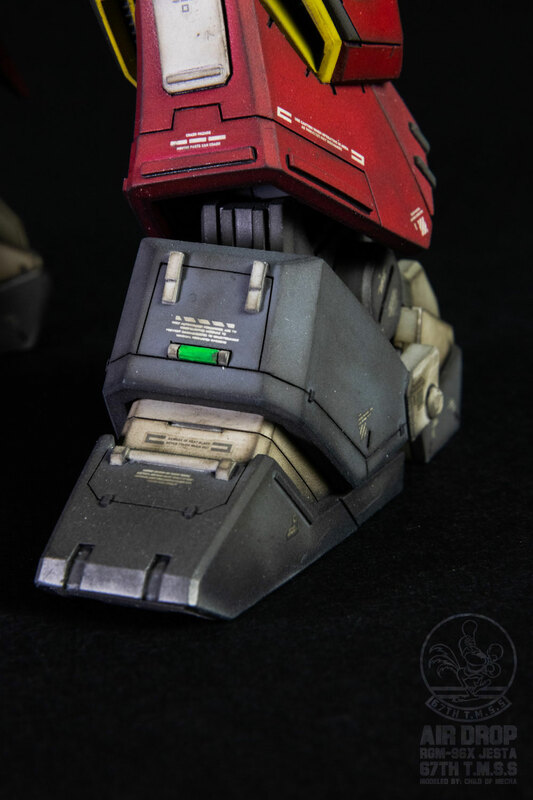 The connection point where the knee and leg booster come together was scratch built and fully detailed. 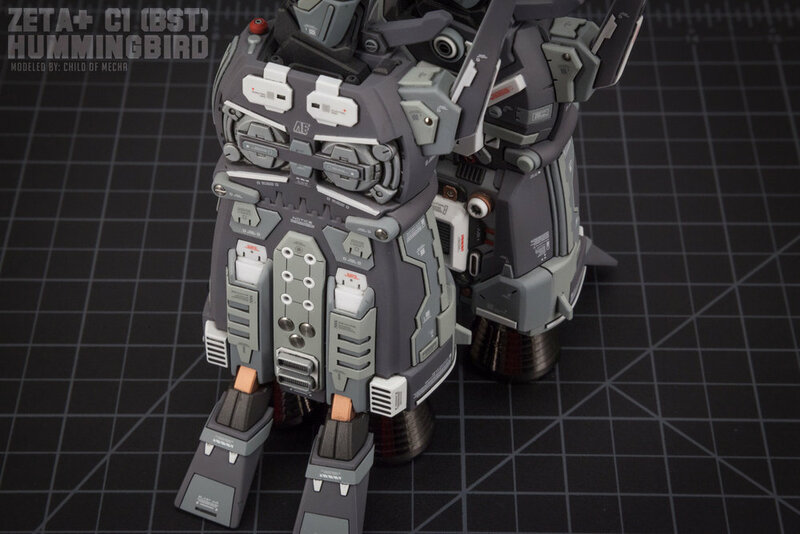 The Hummingbird’s cannon/shield has added plating and custom panel lines as well as a completely remodeled Radome and support assembly that was taken from the Master Grade Ex-S Gundam. 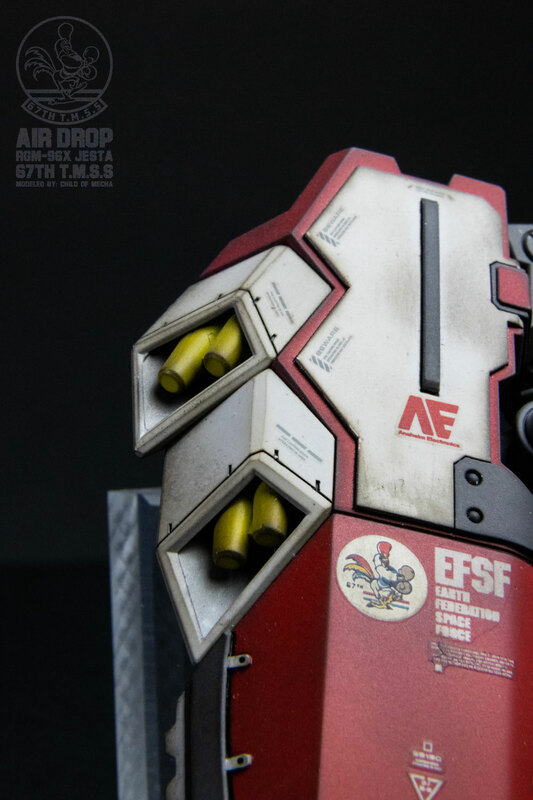 The support mechanism that connects the cannon/shield to the Beam Smart Gun below it was scratch built. 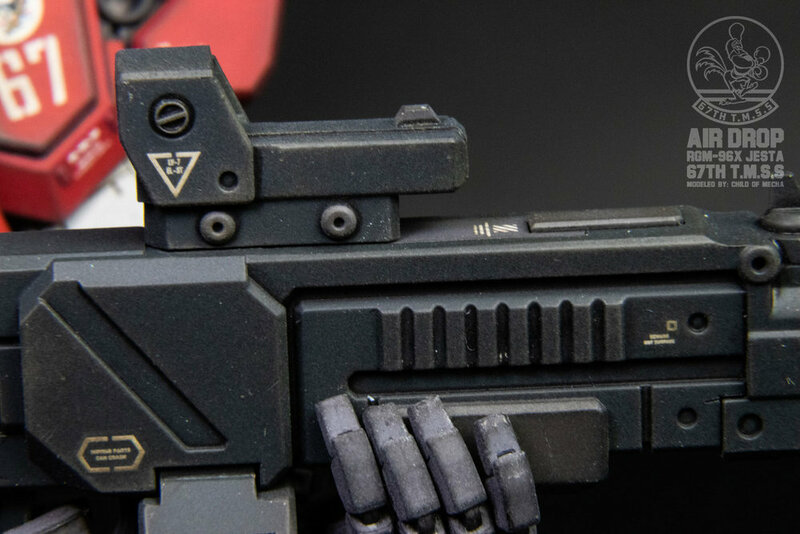 The Beam Smart Gun has added plastic plating along with custom panel lines, option parts, and metal detail parts. 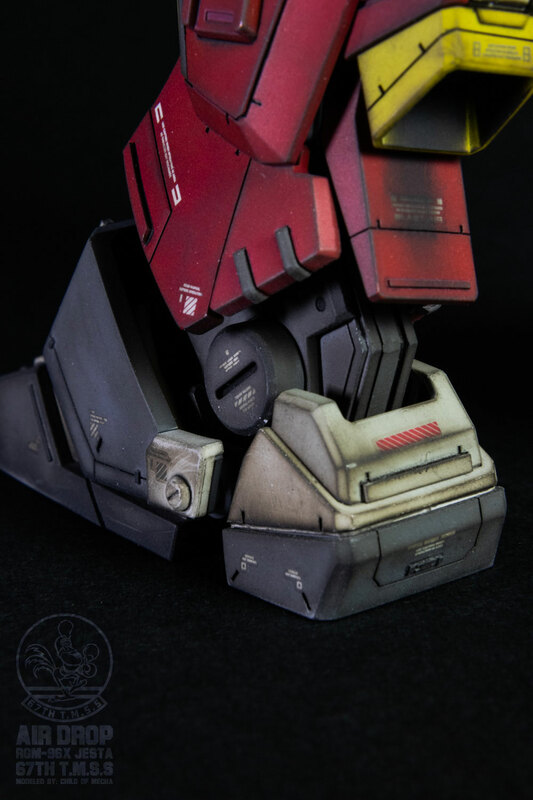 The base is completely scratch built. 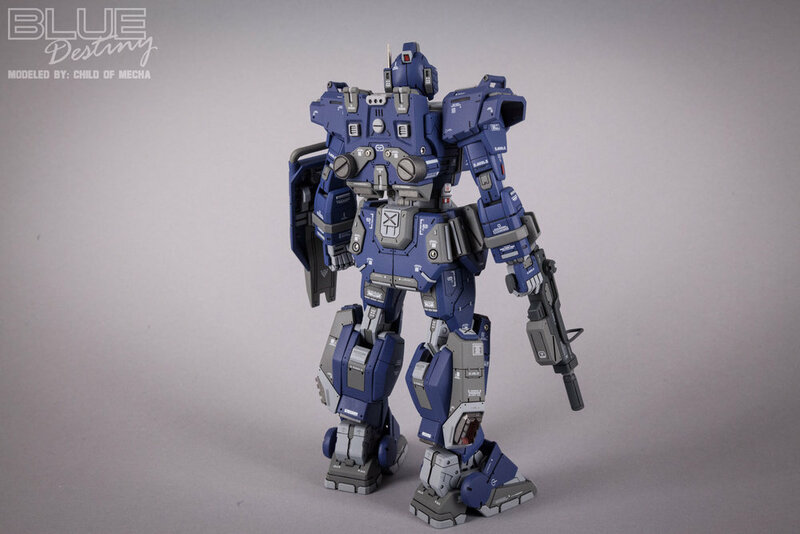 Its core is 3/4-inch Medium Density Fiberboard (MDF) laminated with 1.5mm plastic sheet. 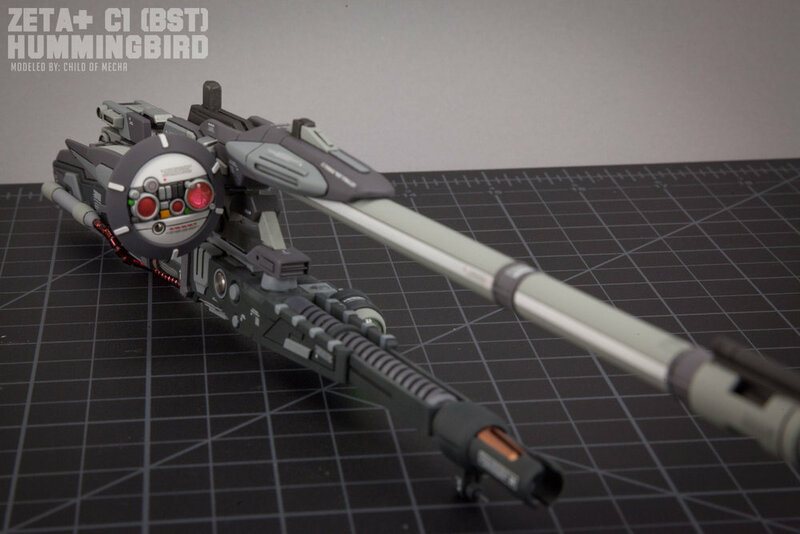 I then heavily customized and detailed it to fit the styling of the Hummingbird. I hand cut all the lettering out of 1mm plastic sheet and the decorative plates and shield were laser engraved. 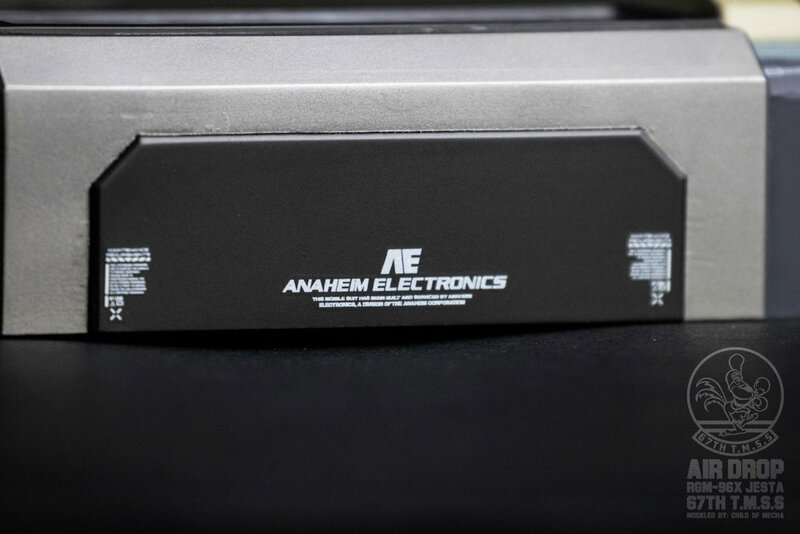 The upper base is a sheet of clear acrylic that is supported by display sign stand-offs. 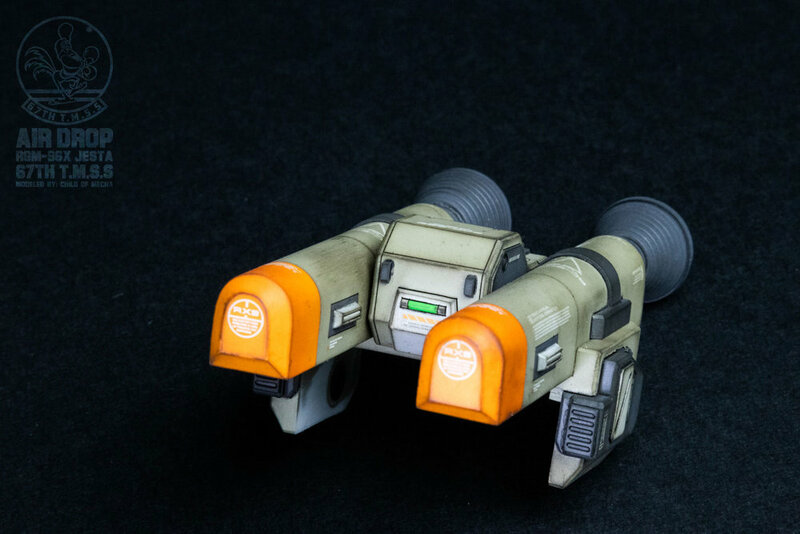 The upper based details have all be completely scratch built out of styrene sheet. Option parts, metal detail parts, and other details were built up to complete the display. 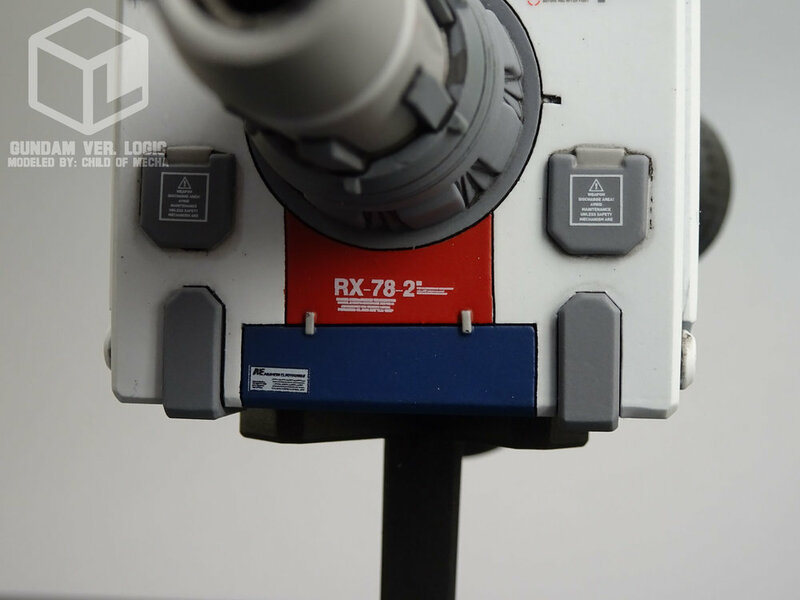 The support arm is square aluminum rod. 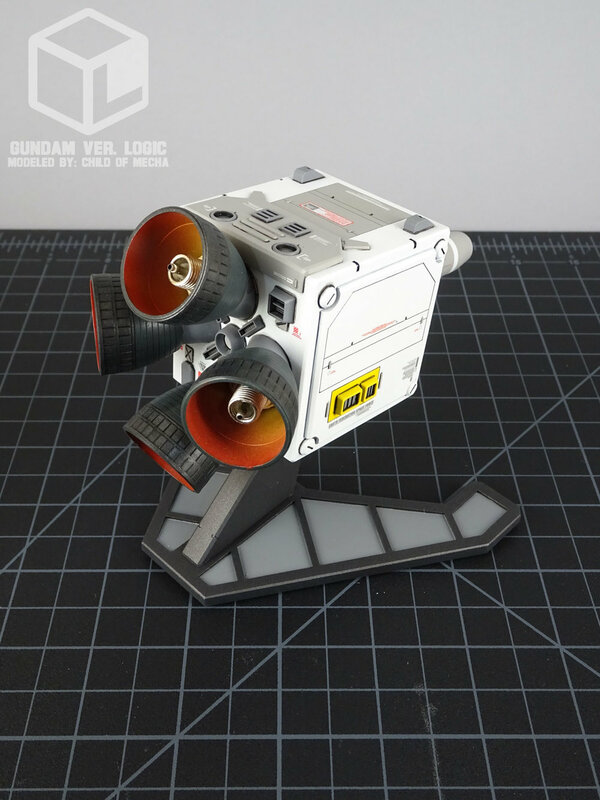 I had to use that to support the weight of the model and to accommodate the length and angle of the fuel tanks. The entire project was cleaned and then primed with Mr. Surfacer and painstakingly masked off and painted with Mr. Color and Alclad paints. 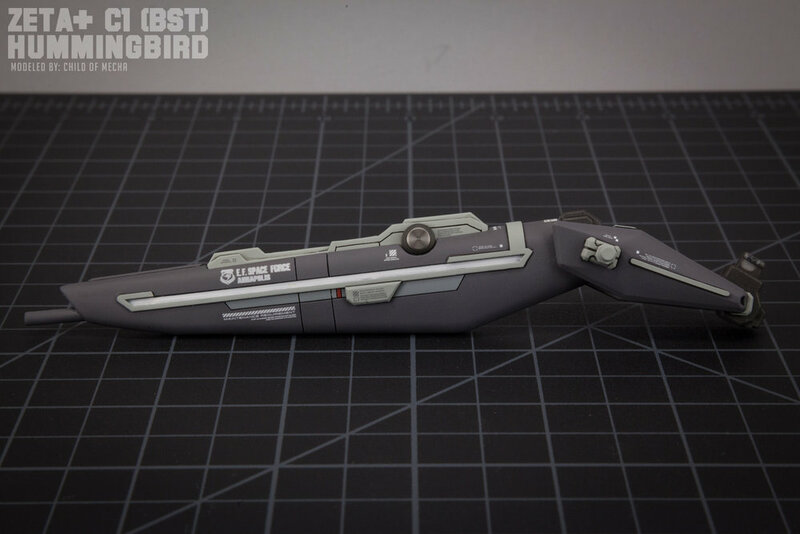 Tamiya Panel Line Accent Color was used for the panel lines and the piece was sealed with Mr. Super Clear. 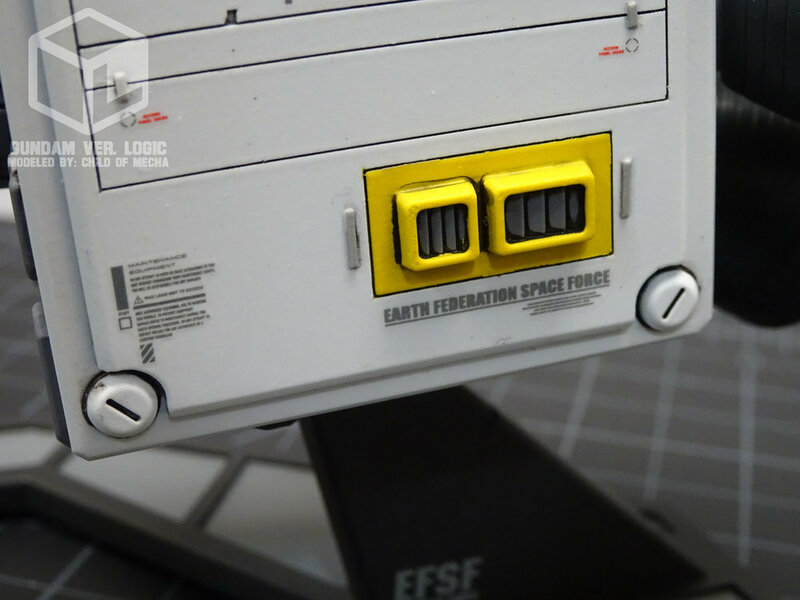 Some of the decals were custom made on my ALPS MD-1300 printer. 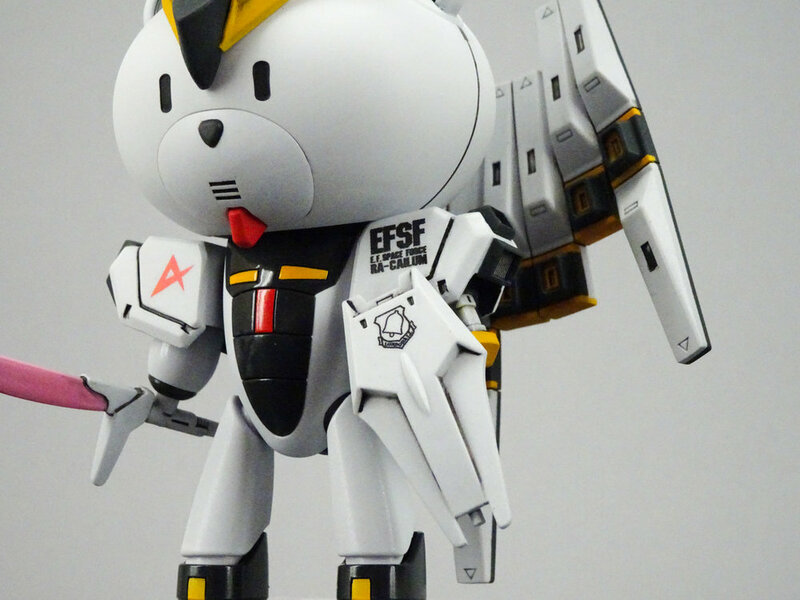 Most of the maintenance marks are aftermarket decals from Hi-Q. 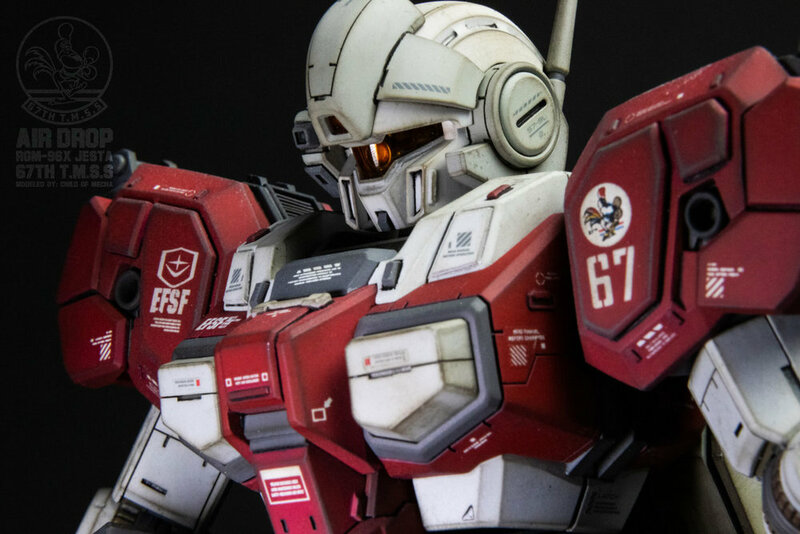 Overall, I believe the model is an excellent example of how a wide range of skill sets, materials, and passion can go into creating something that has never actually been made into a production model. Hopefully my dedication and hard work are fully expressed when viewing the final project. 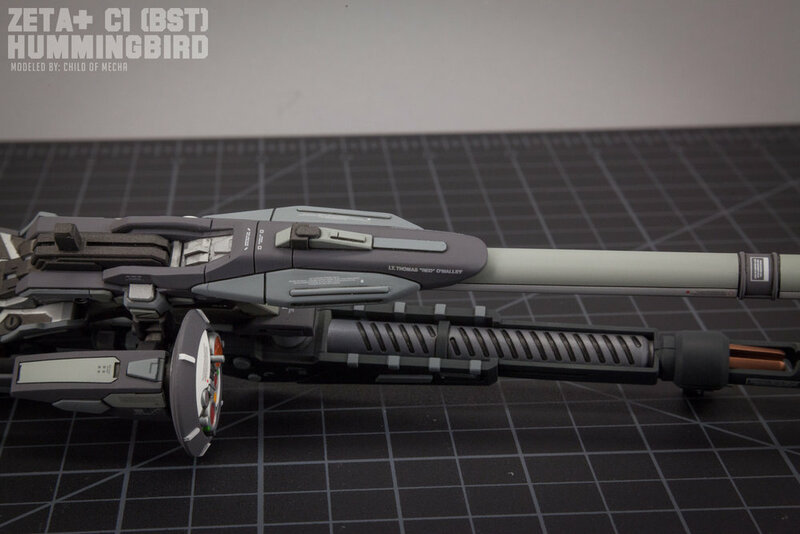 You can see the entire Hummingbird WIP gallery HERE. If you'd like purchase Grim Reapers apparel, accessories or poster sized prints to hang on your wall, you can buy them in various sizes in my online store!